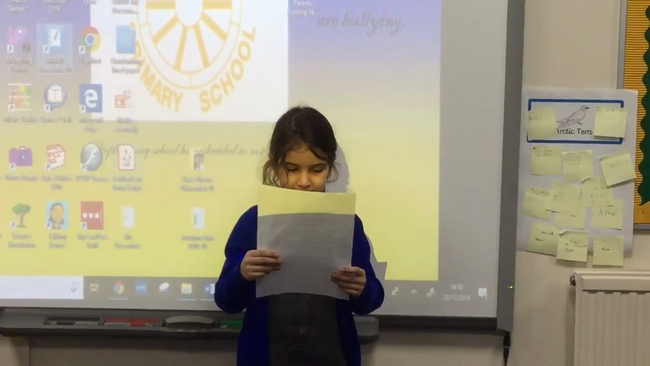 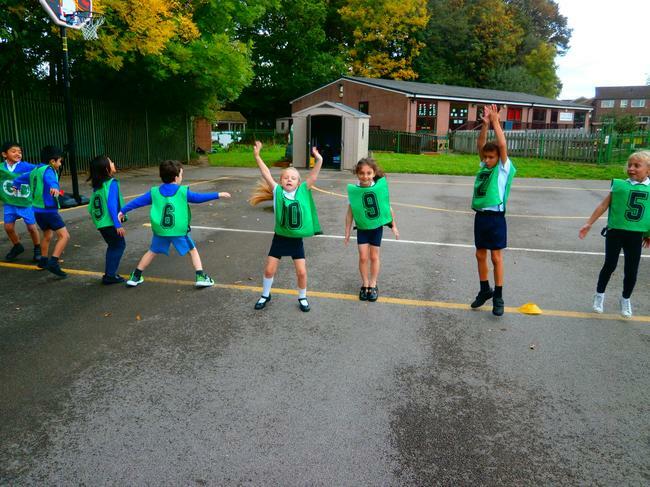 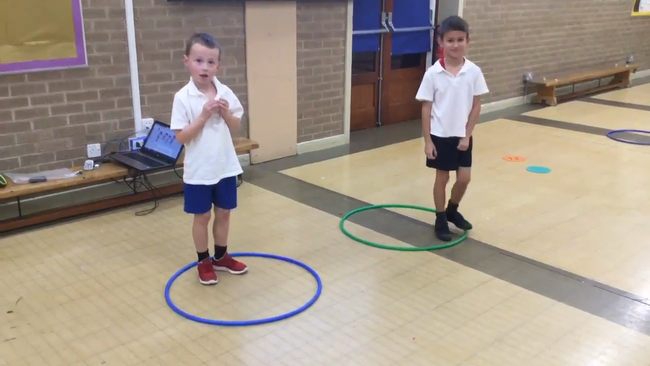 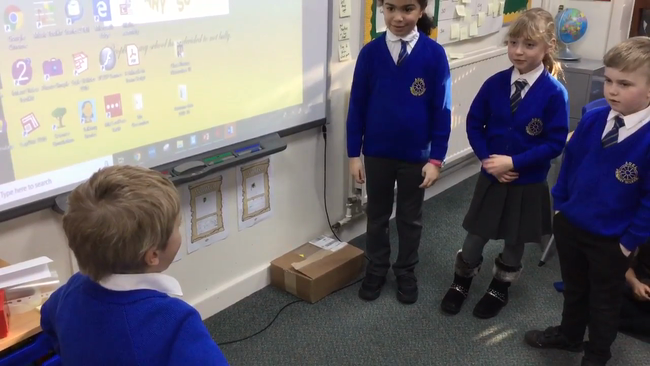 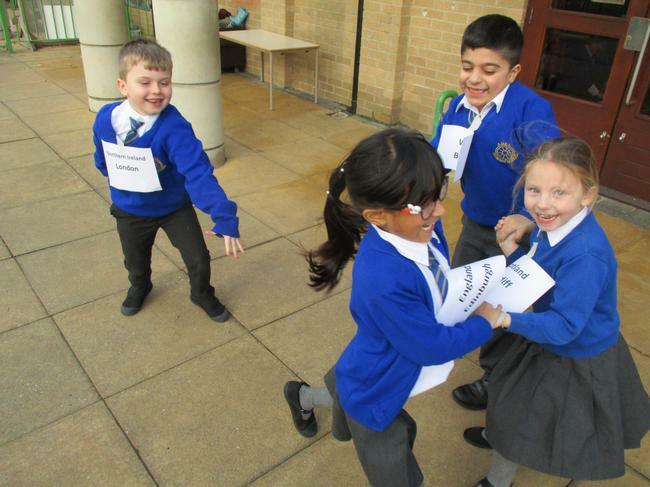 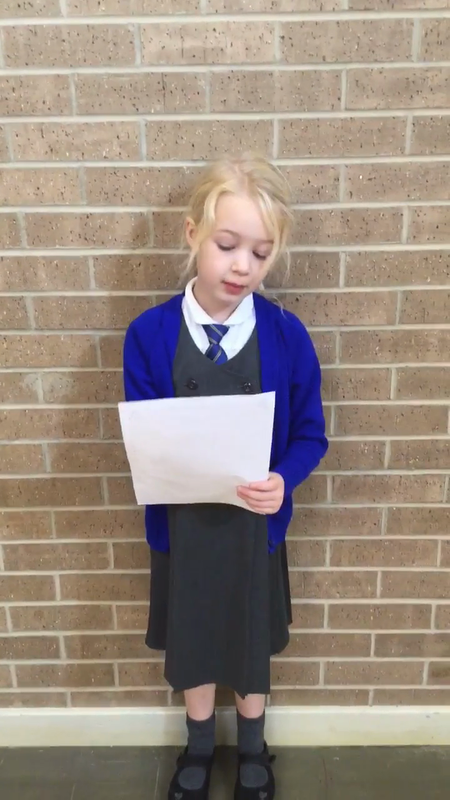 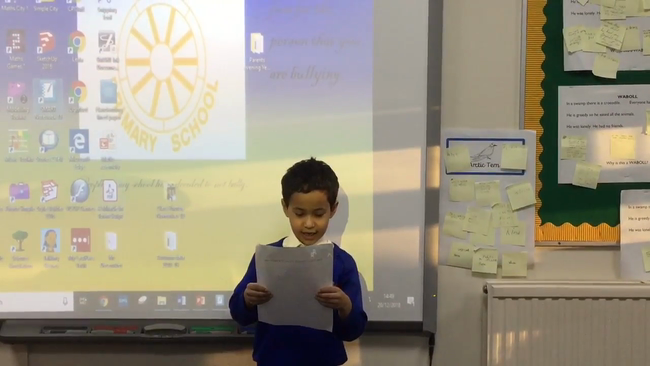 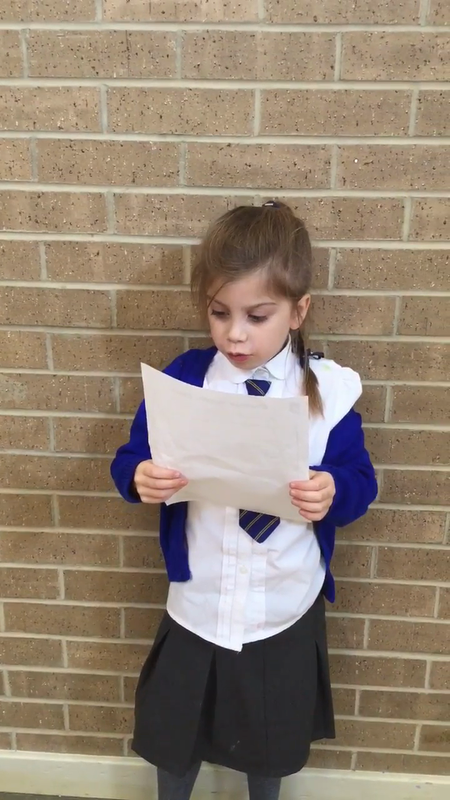 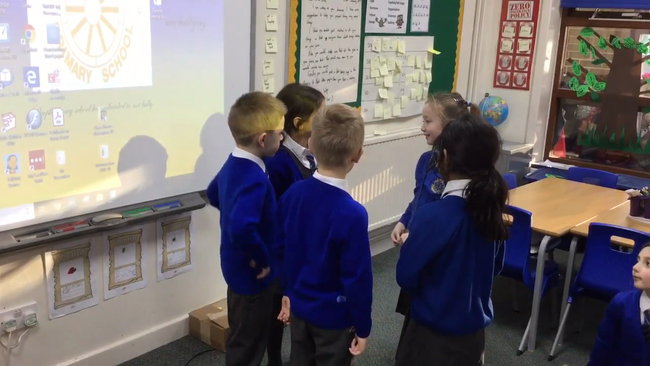 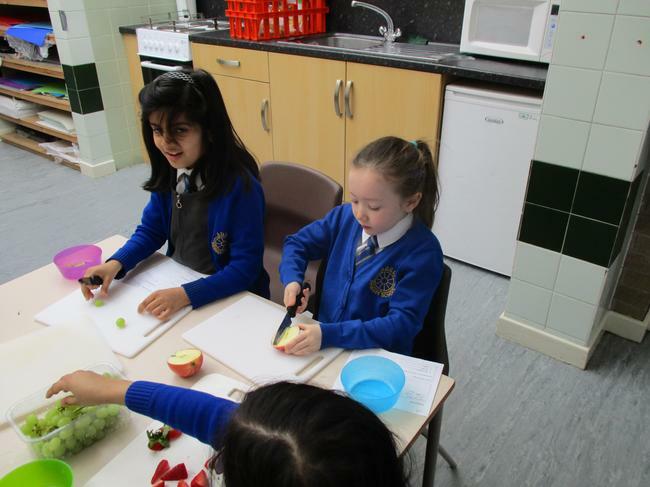 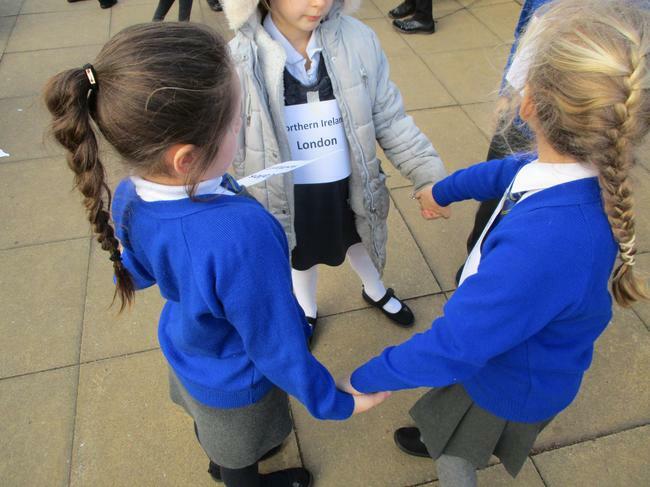 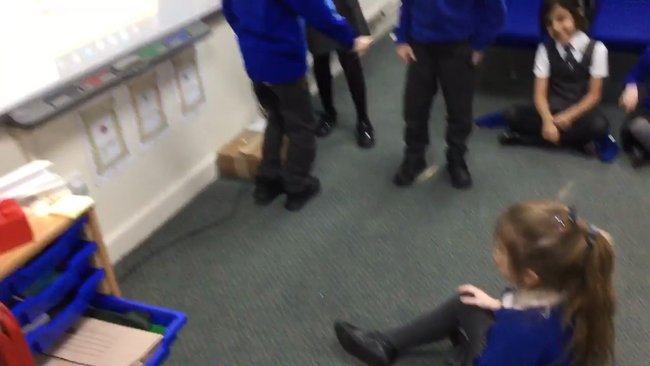 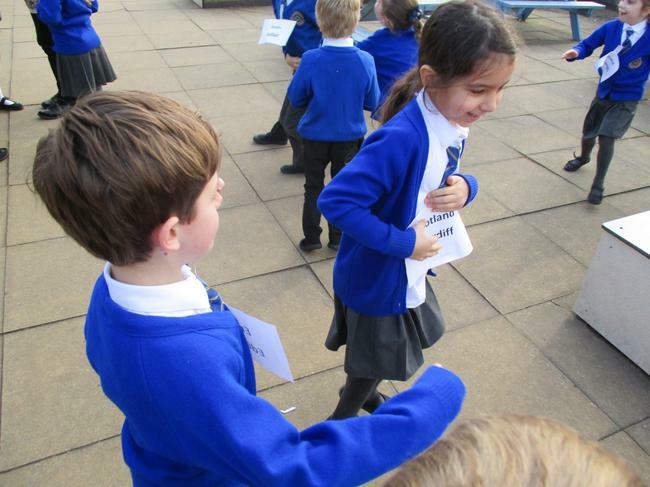 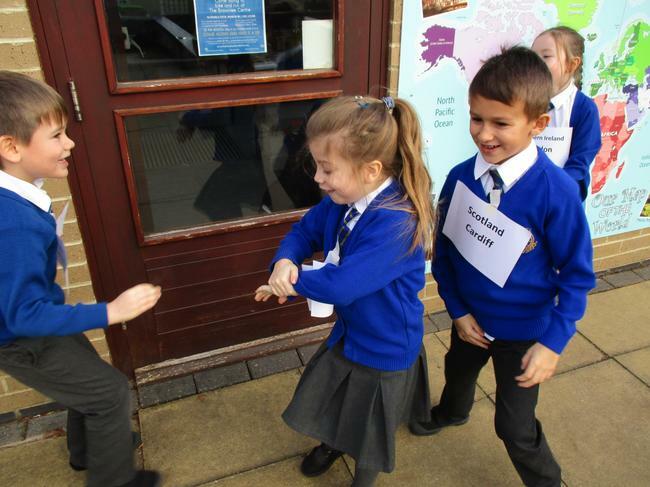 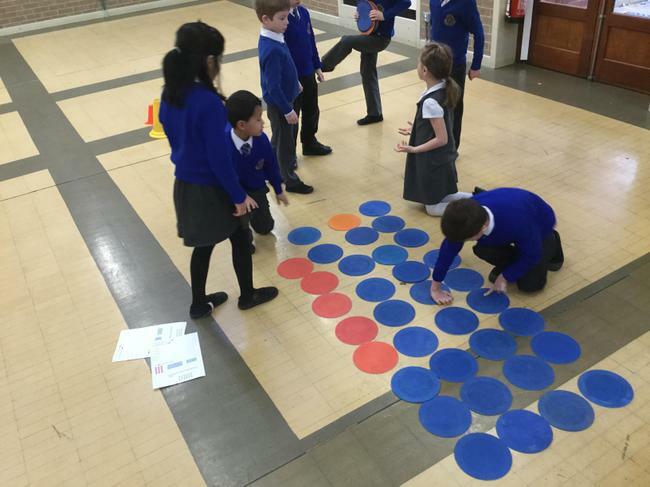 In PSHE Year 2 acted out scenarios to show why sometimes friendships break down. 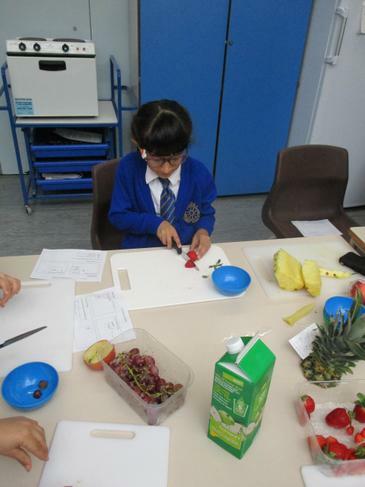 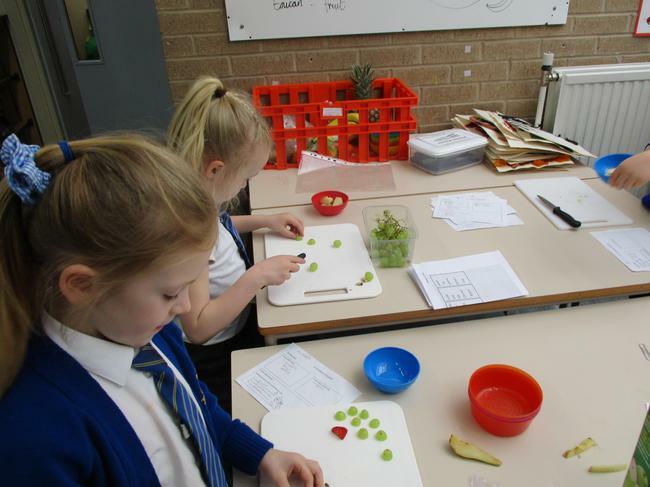 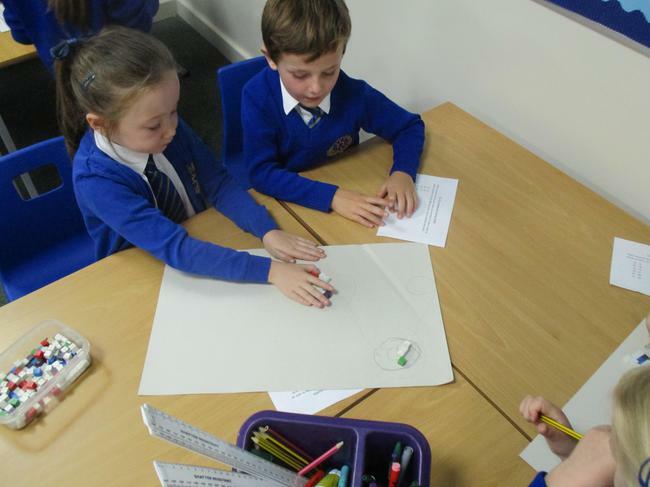 As a class they then came up with possible solutions to the problems. 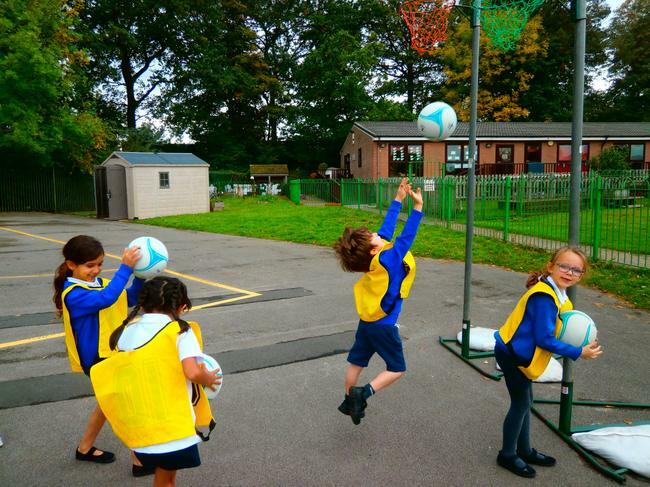 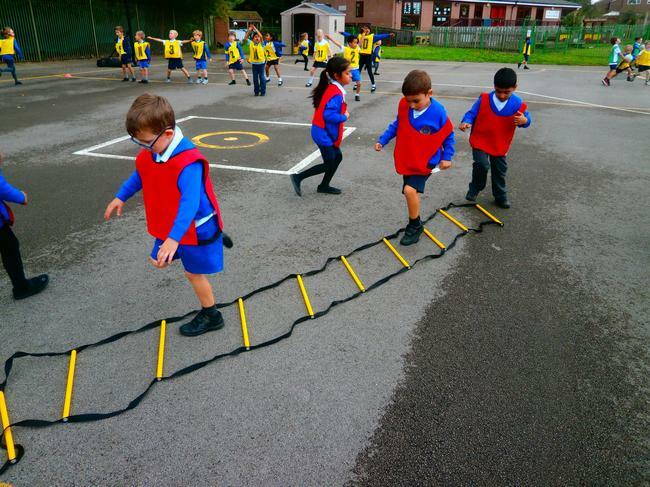 Scenario: Accident in the playground. 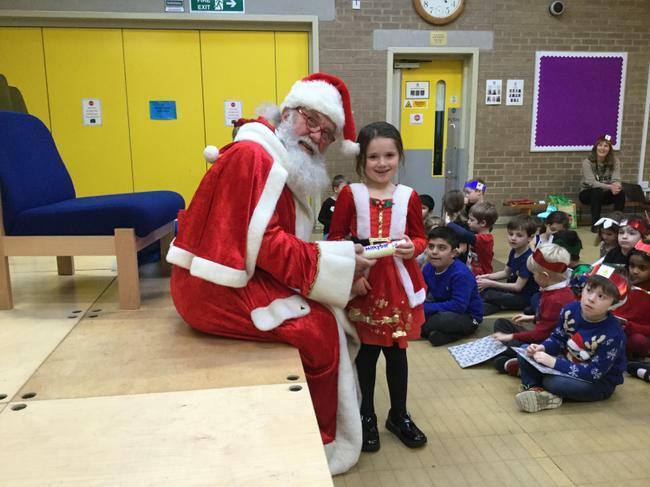 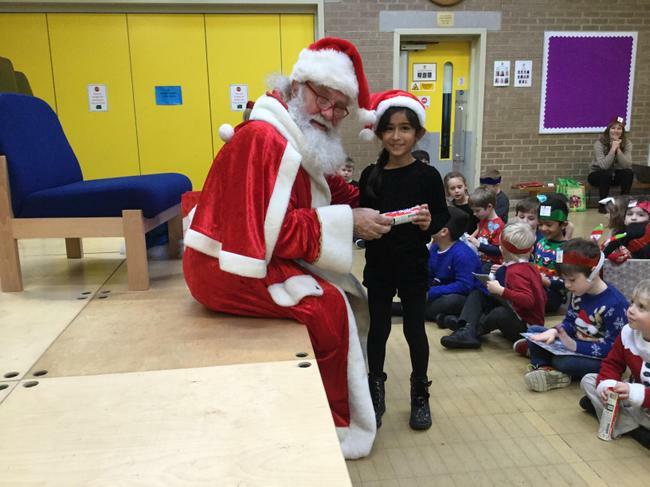 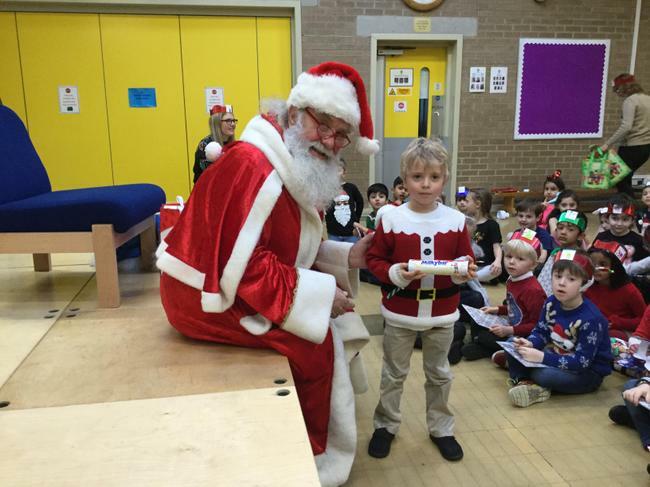 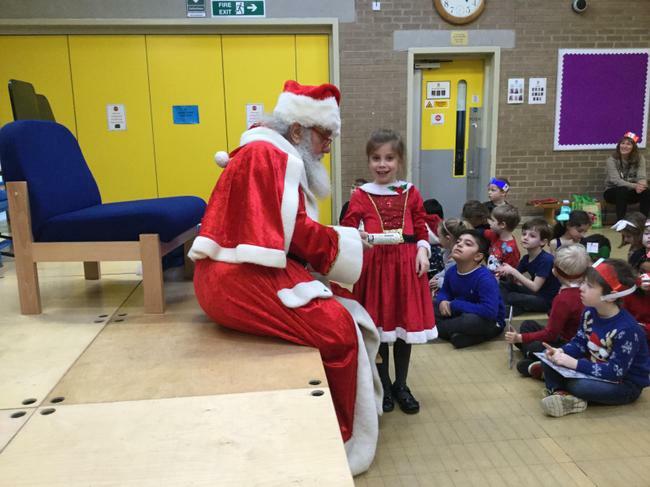 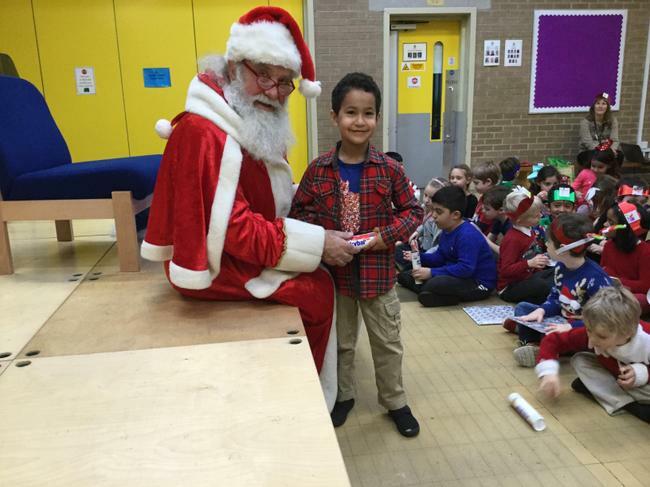 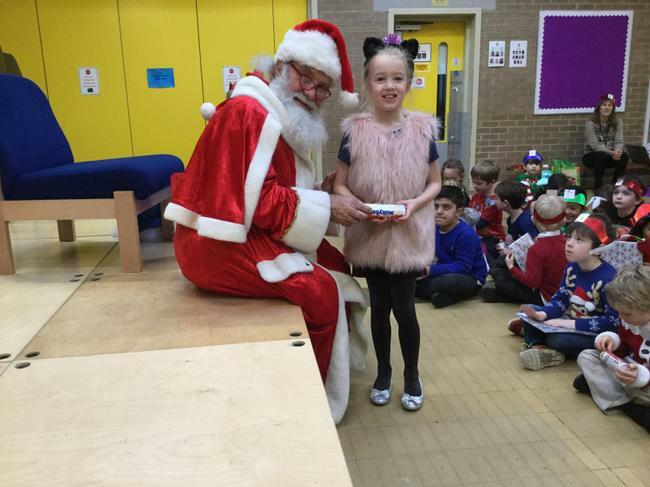 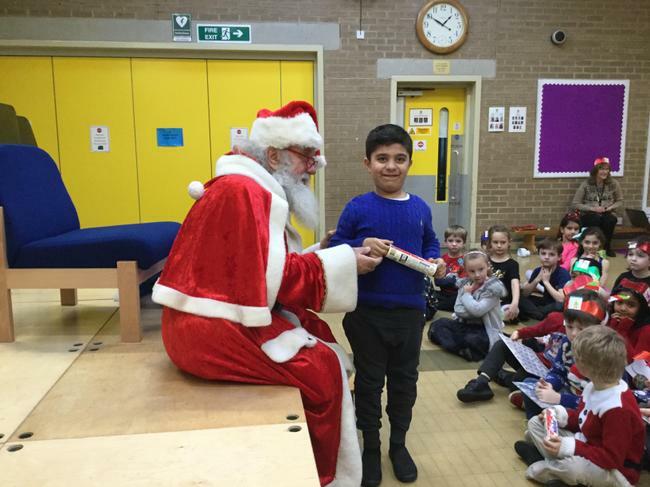 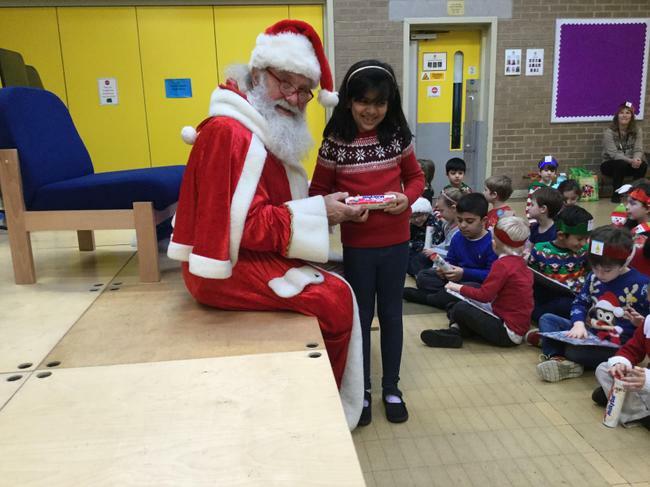 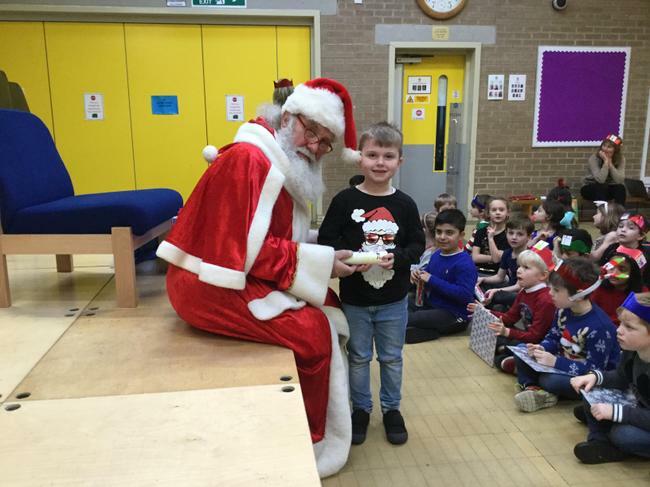 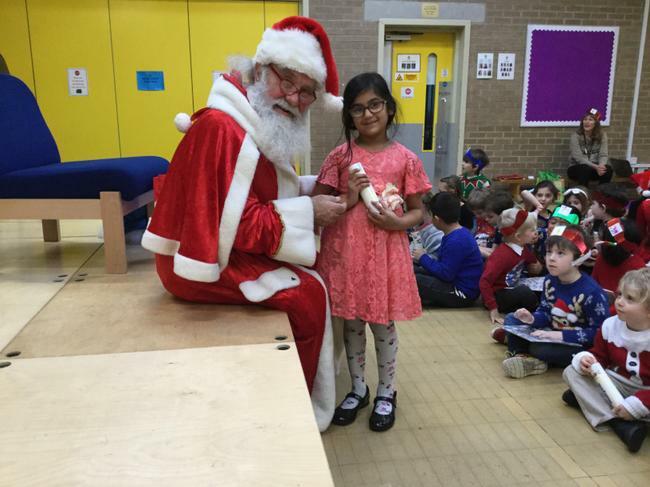 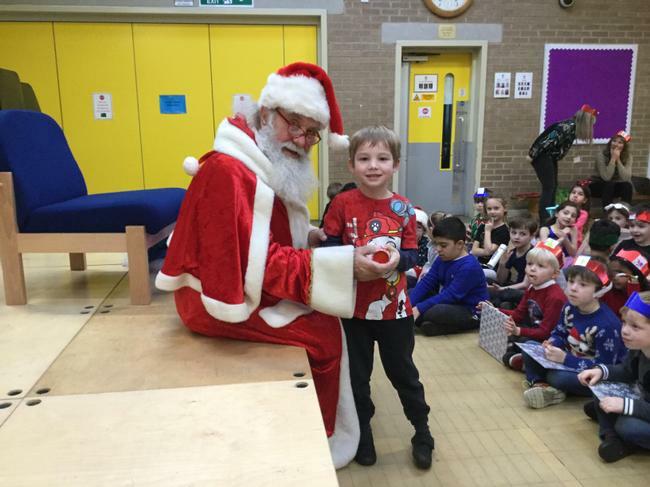 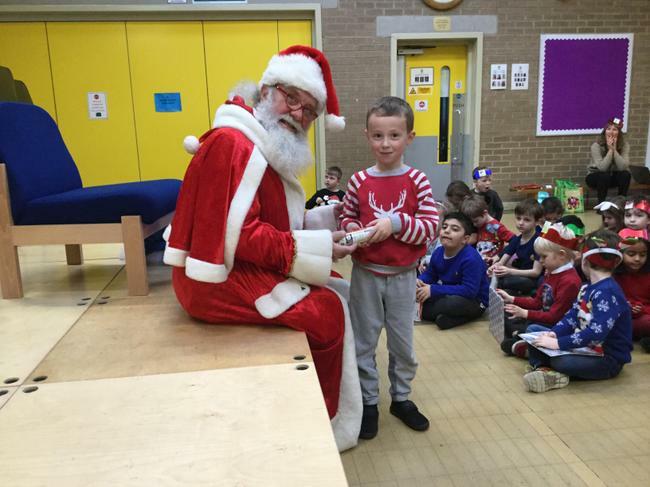 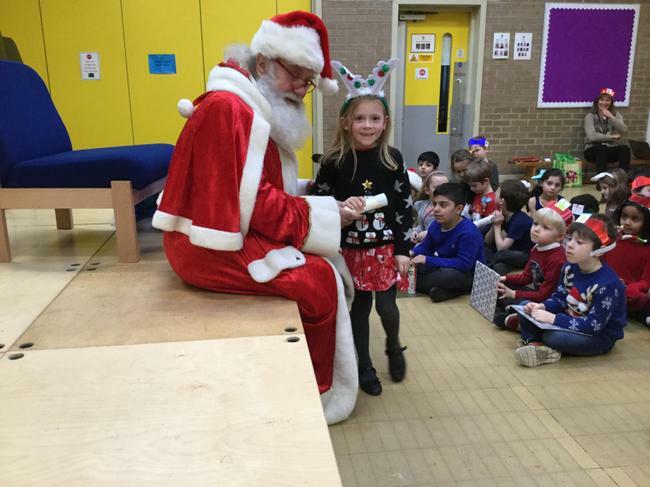 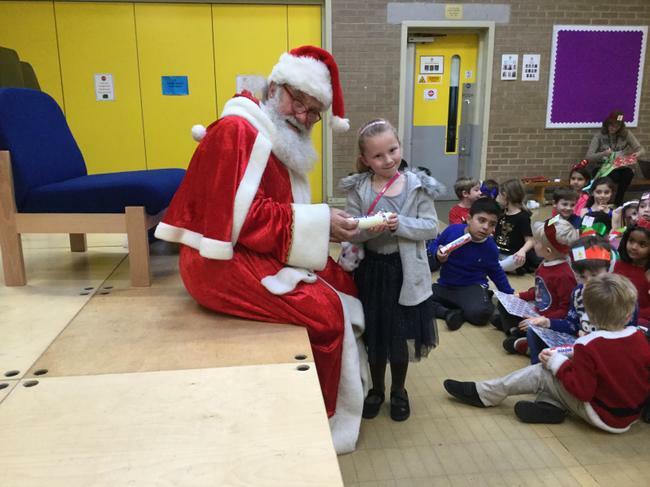 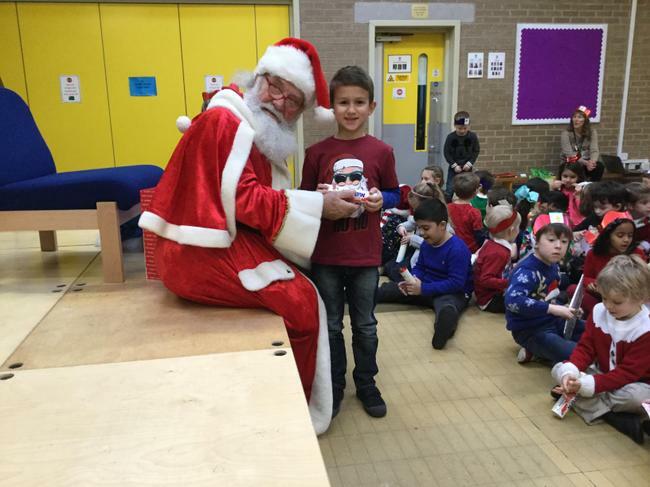 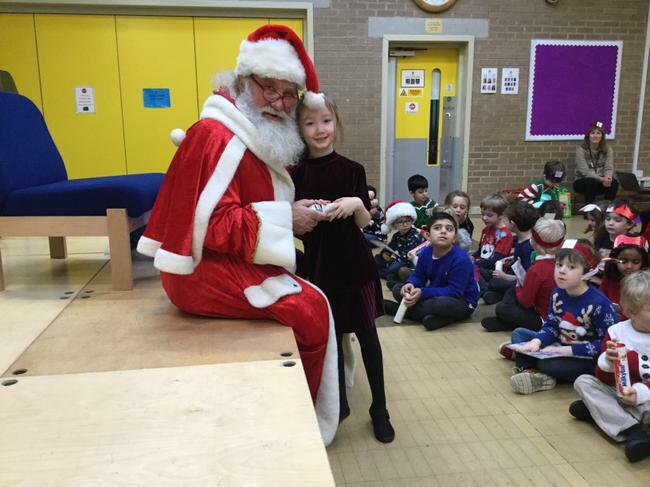 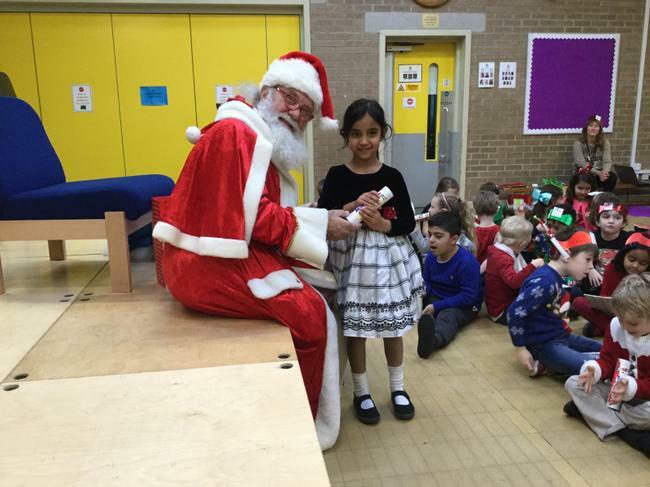 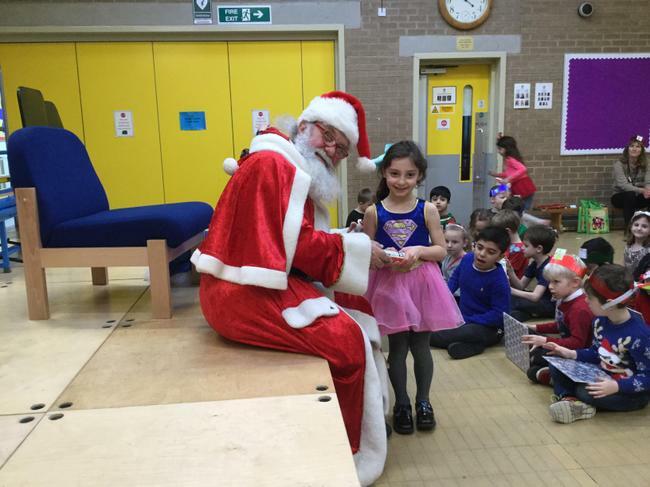 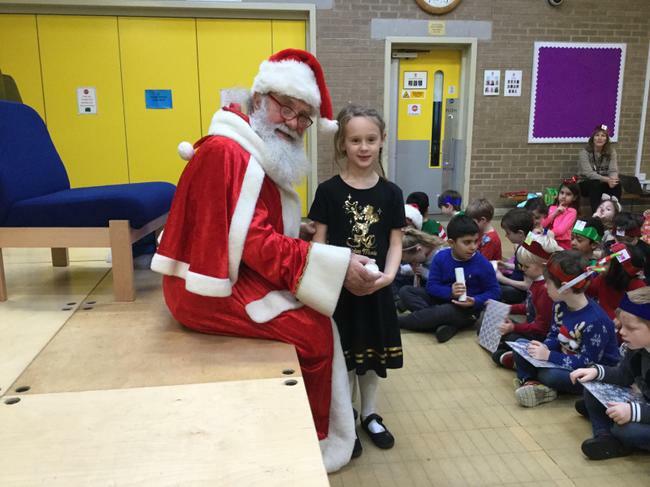 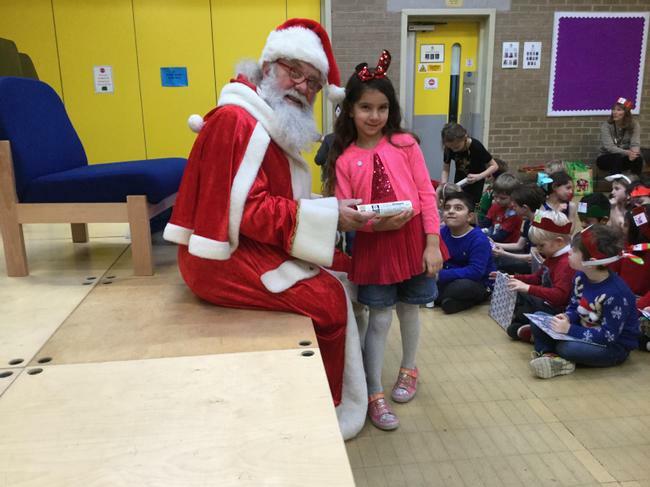 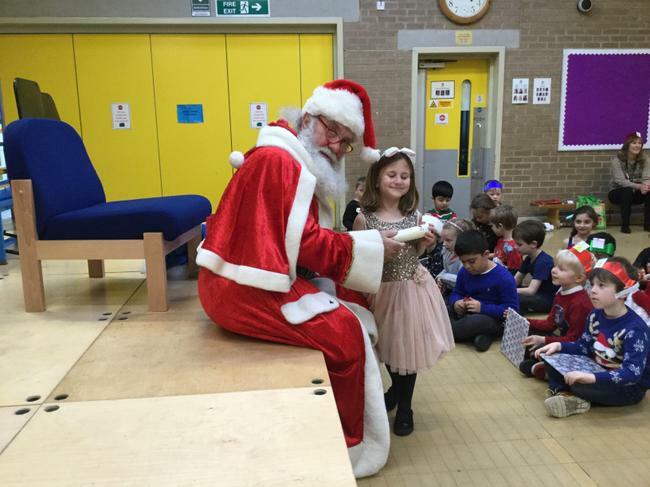 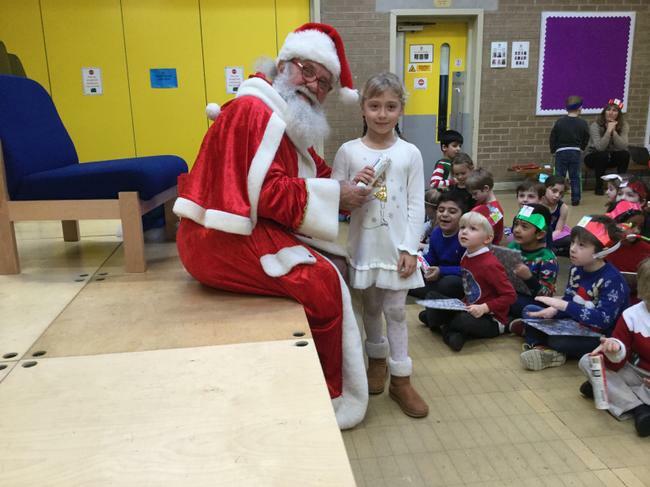 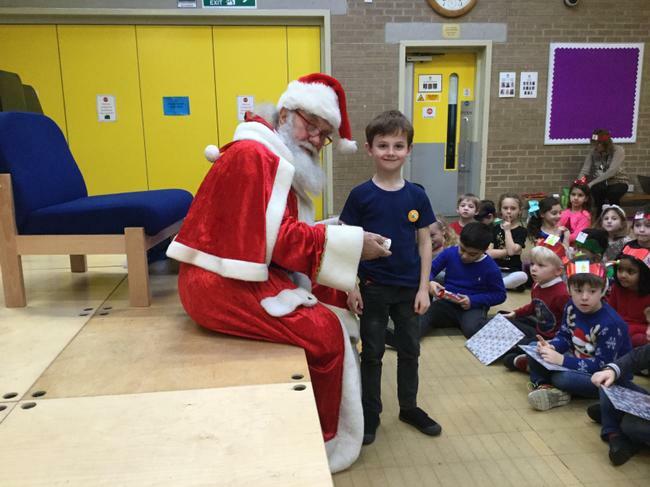 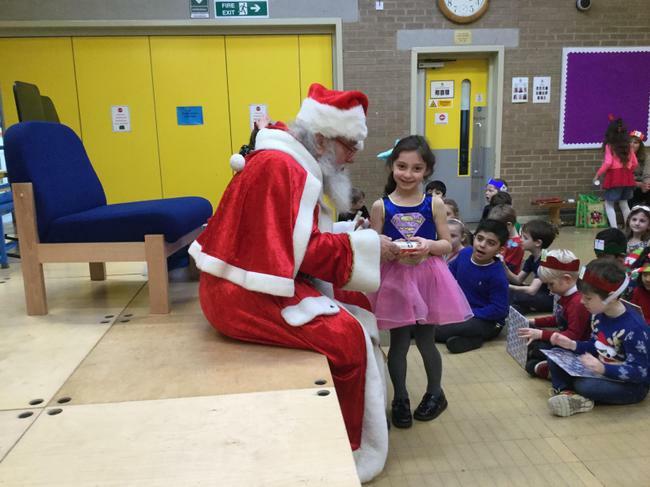 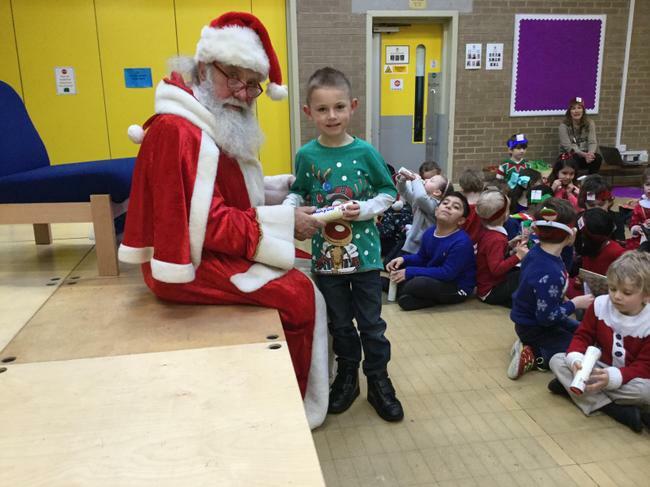 Santa came to visit Year 2! 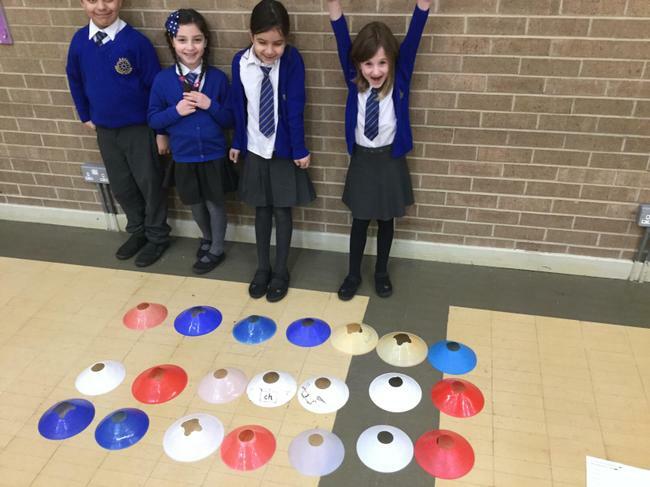 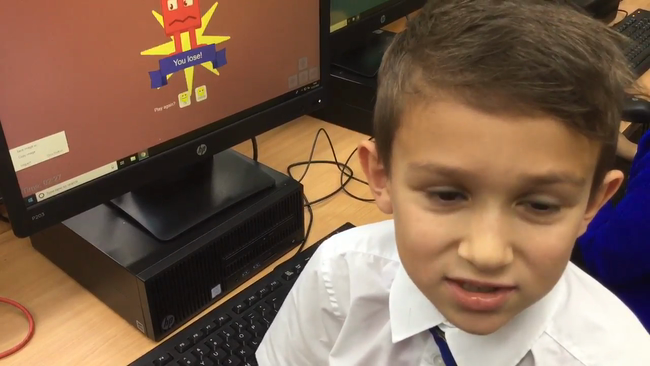 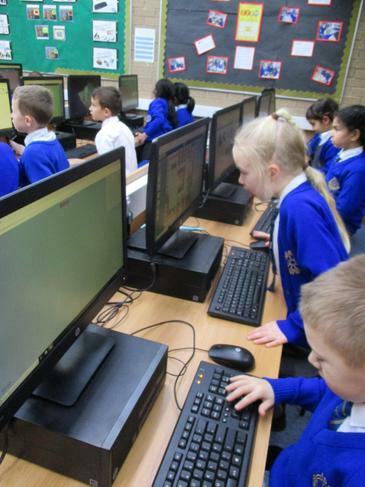 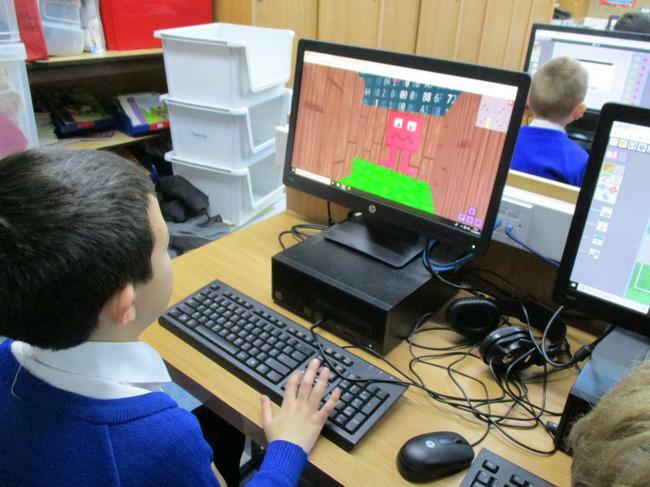 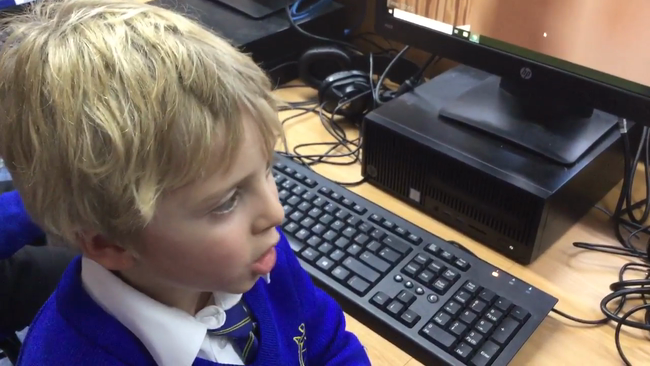 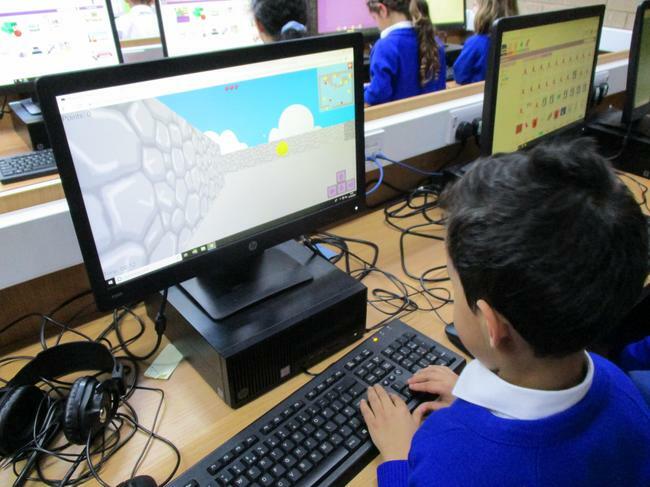 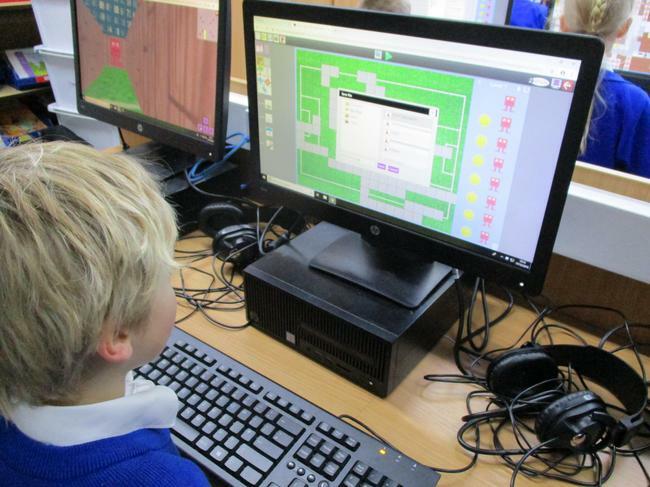 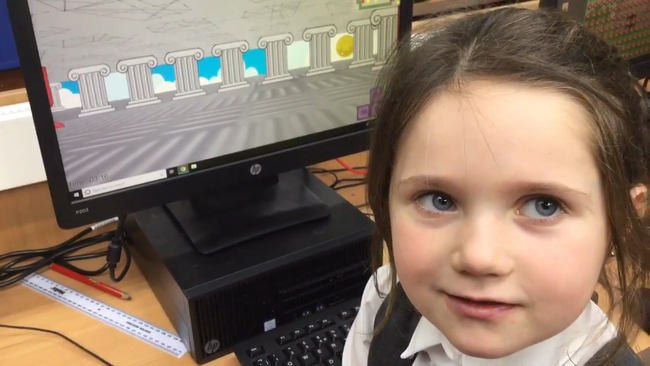 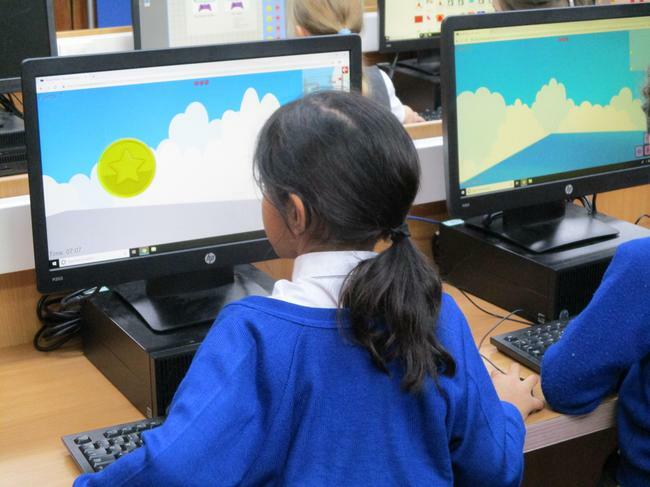 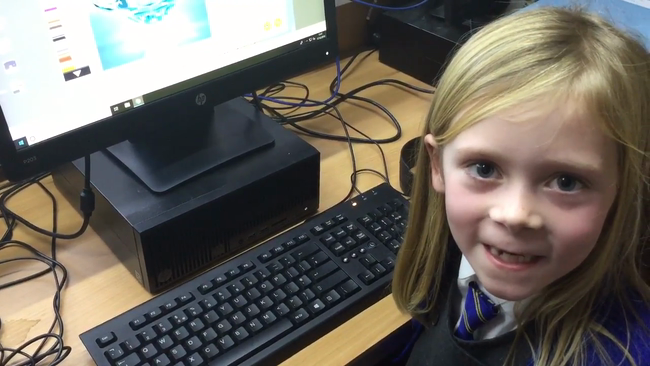 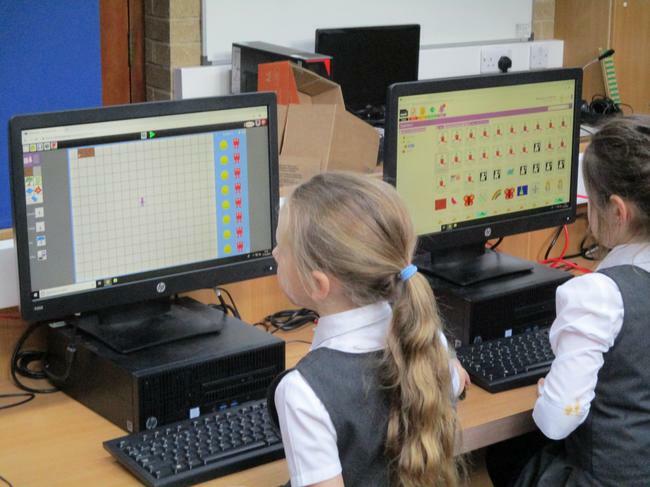 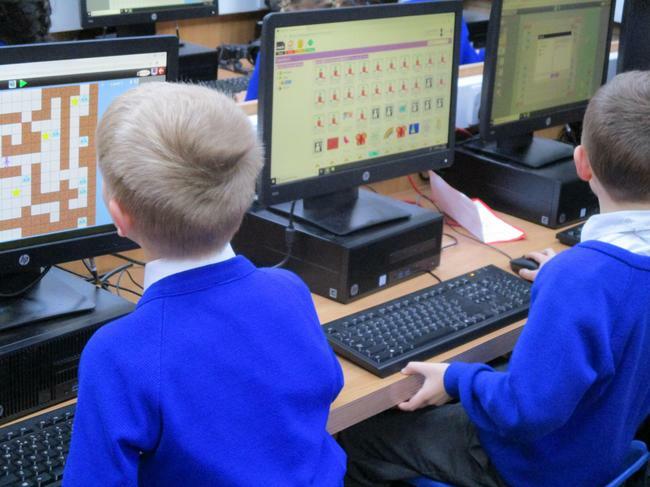 In Computing Year 2 made their own computer games. 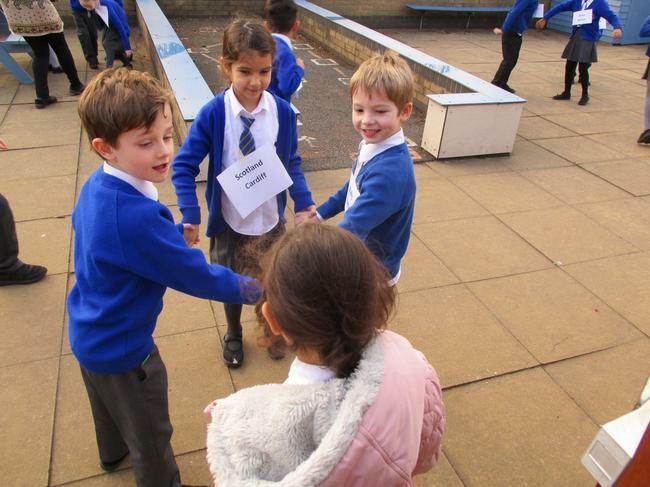 At the end of the topic they played each other's games and reviewed them. 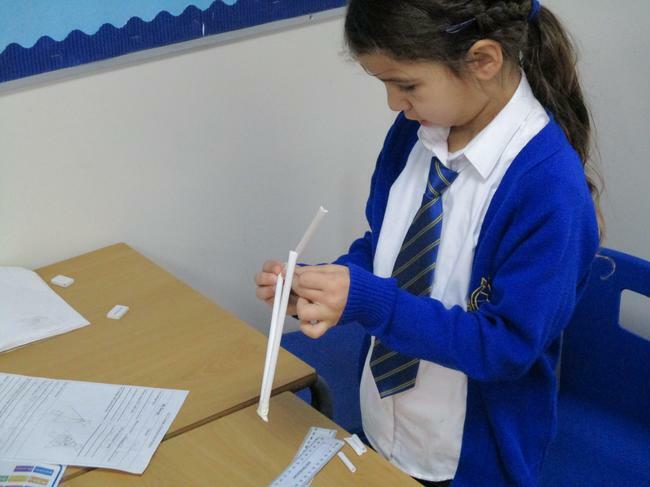 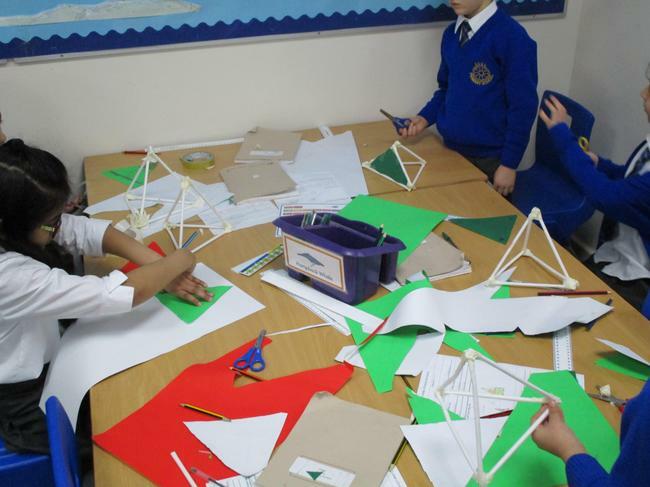 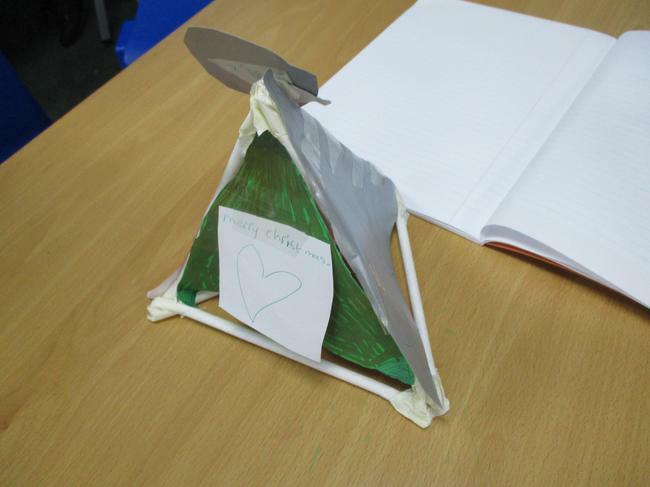 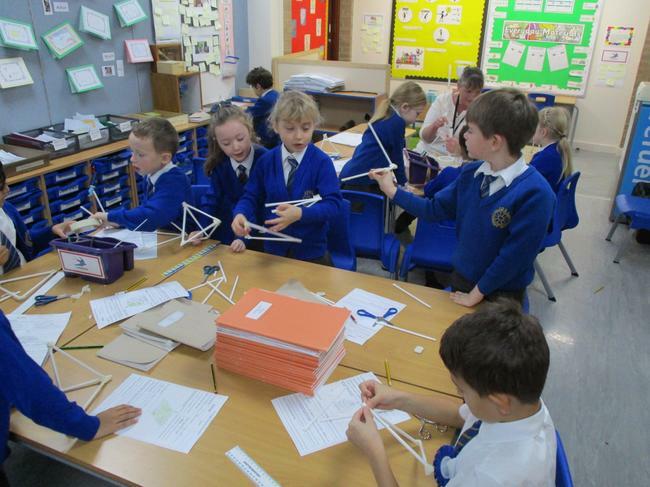 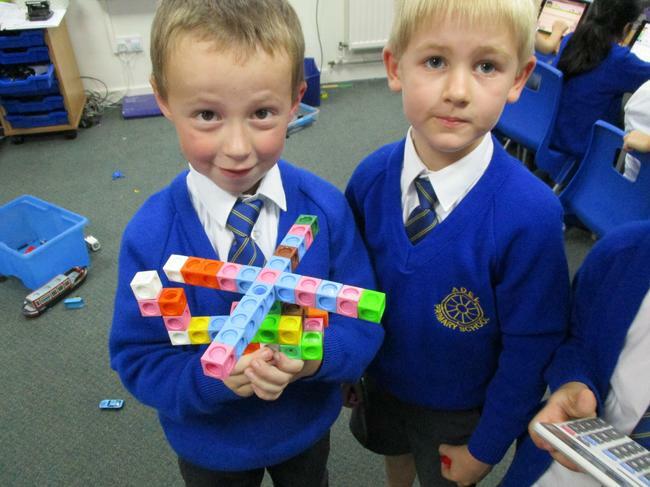 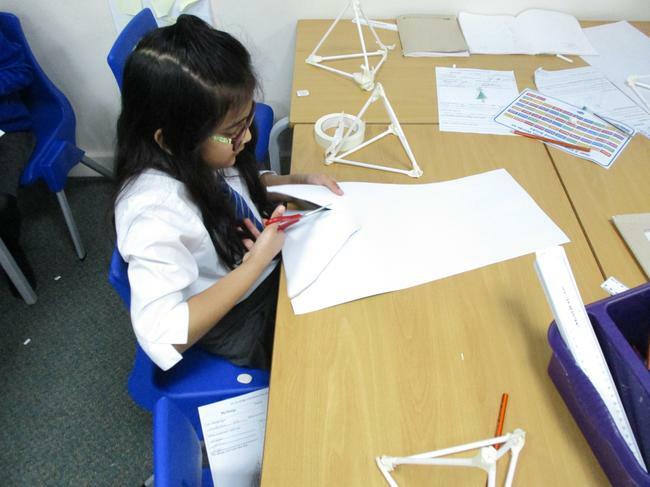 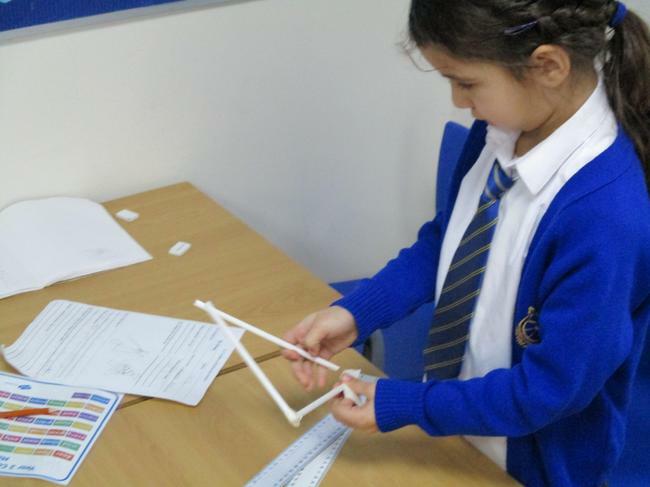 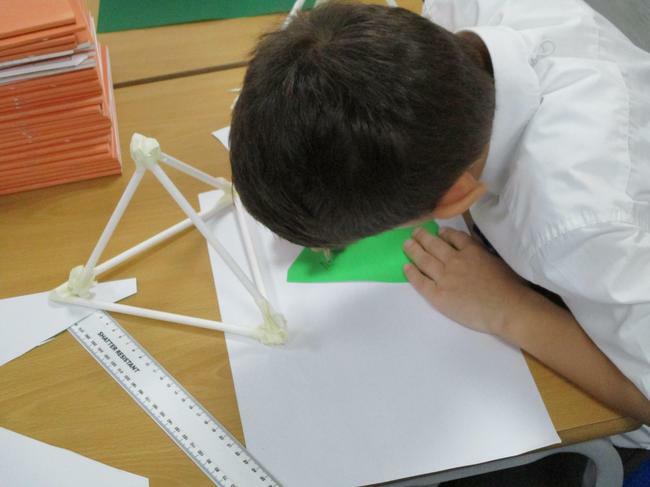 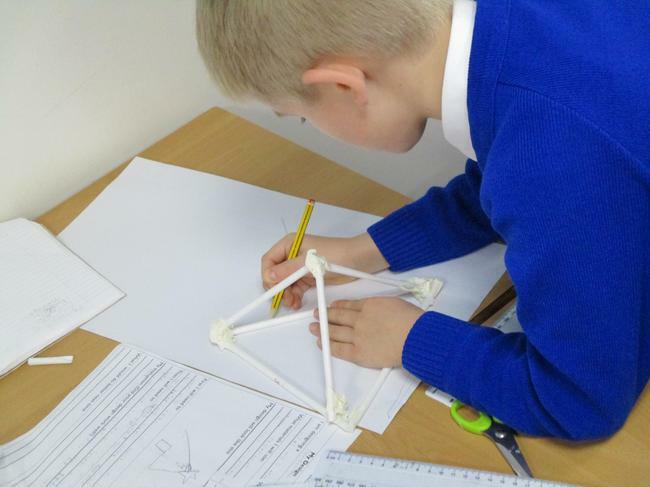 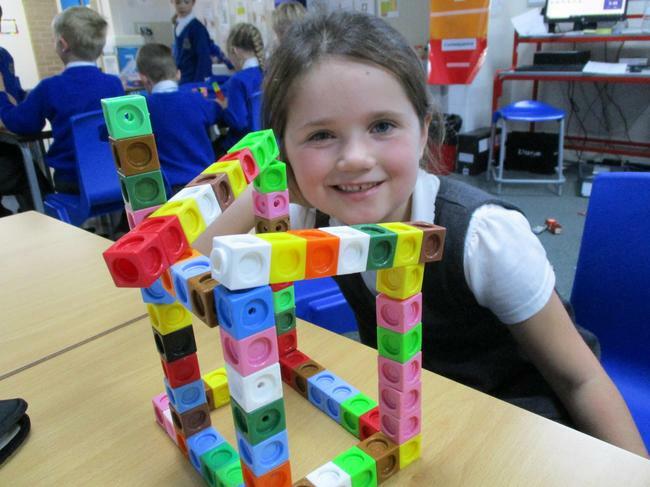 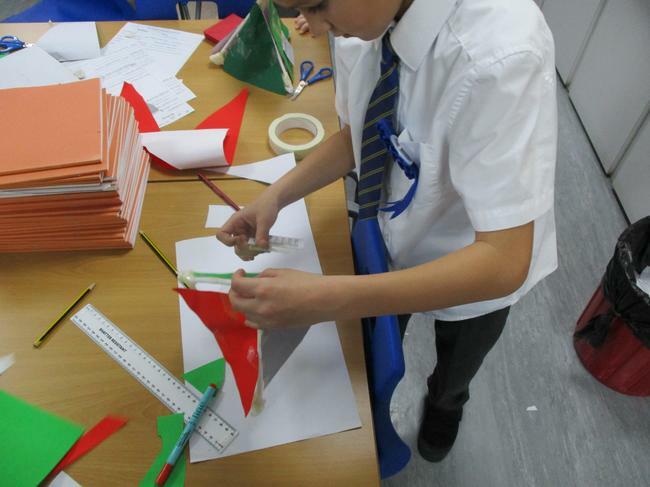 In Design Technology this half term Year 2 looked at freestanding structures. 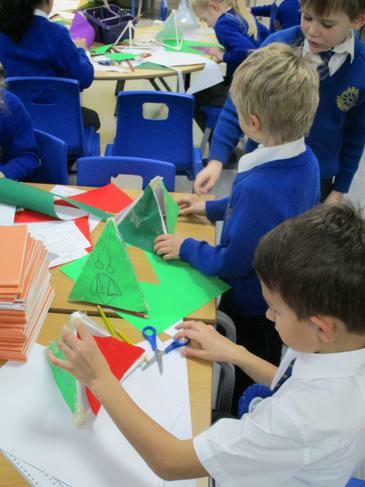 They designed and made a 3D Christmas Tree. 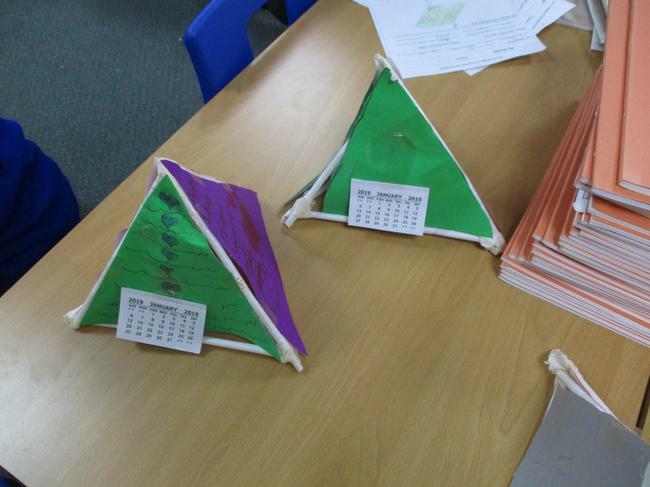 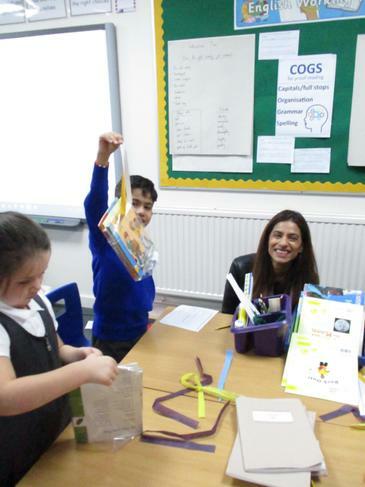 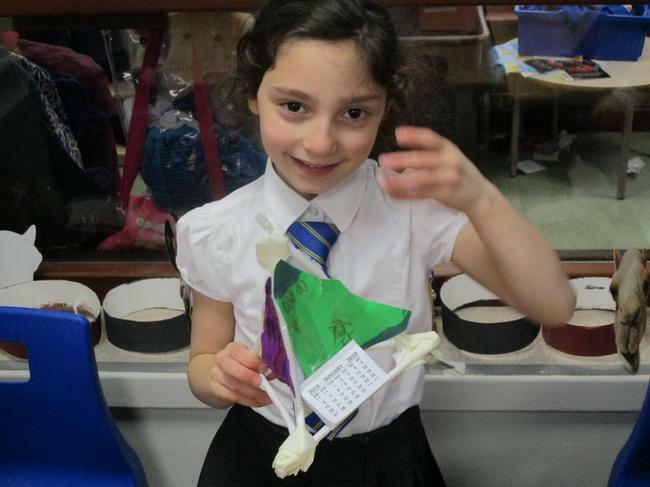 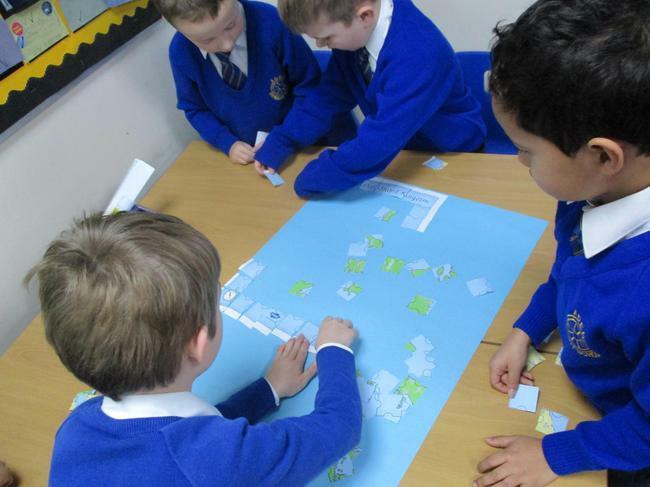 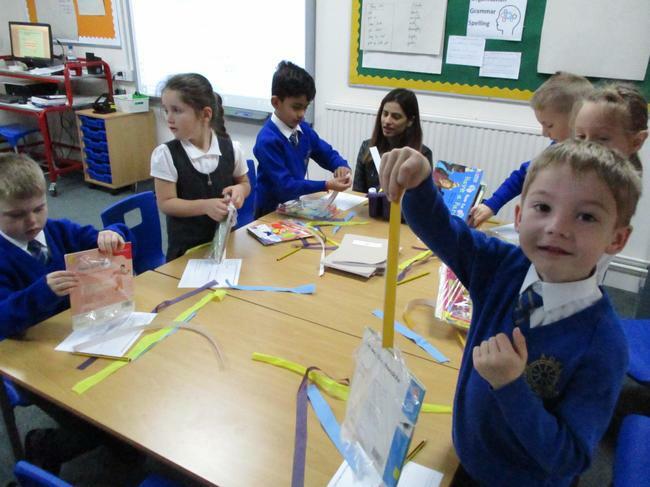 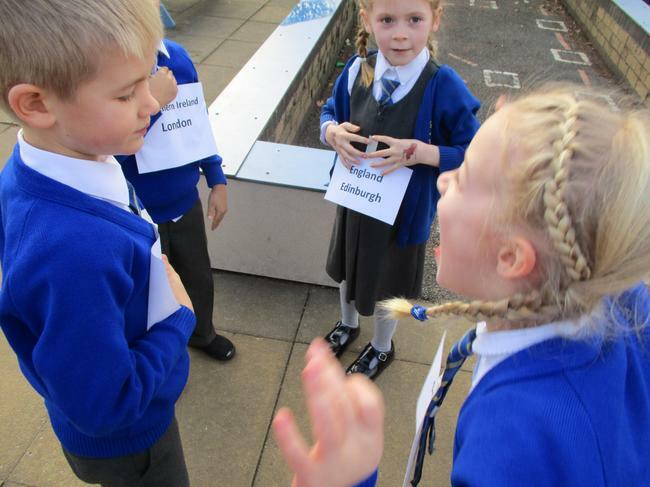 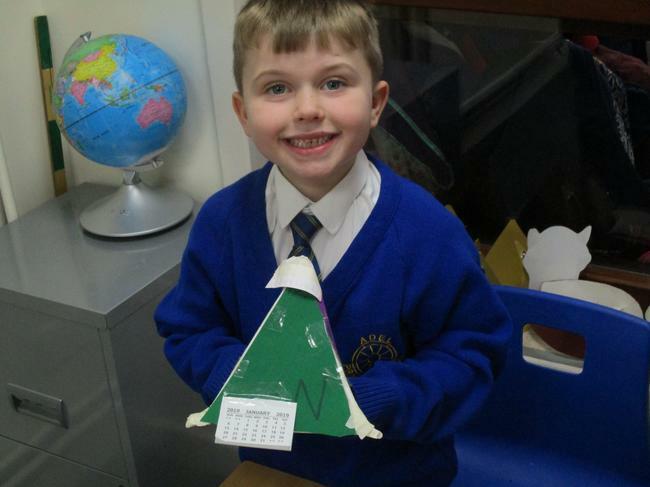 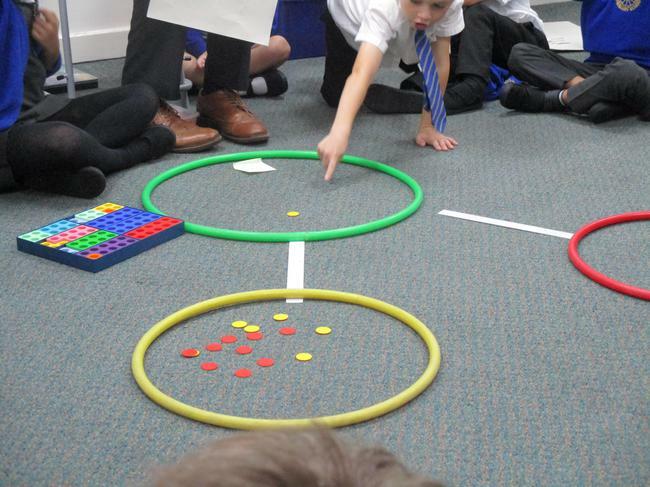 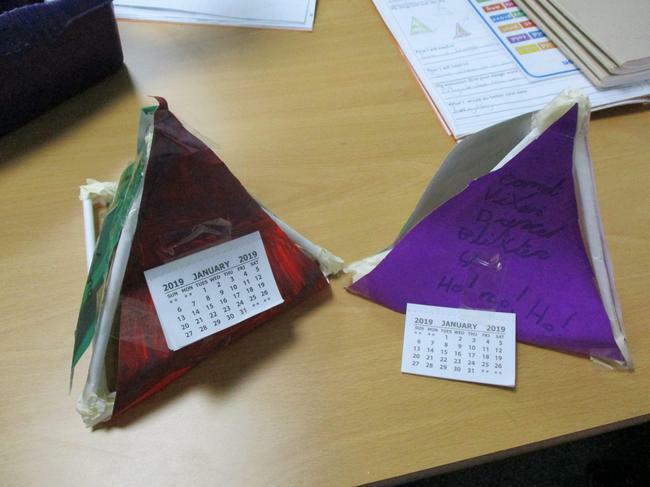 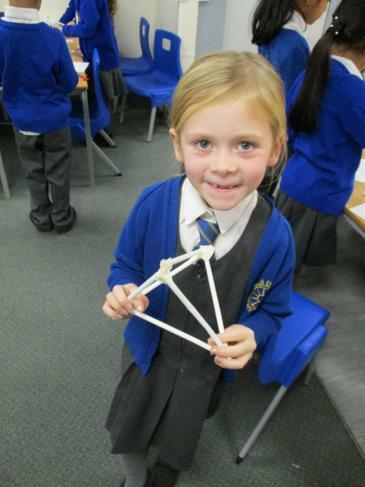 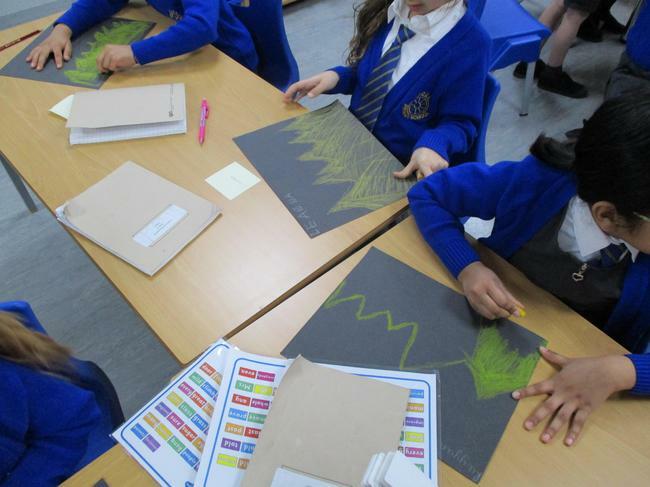 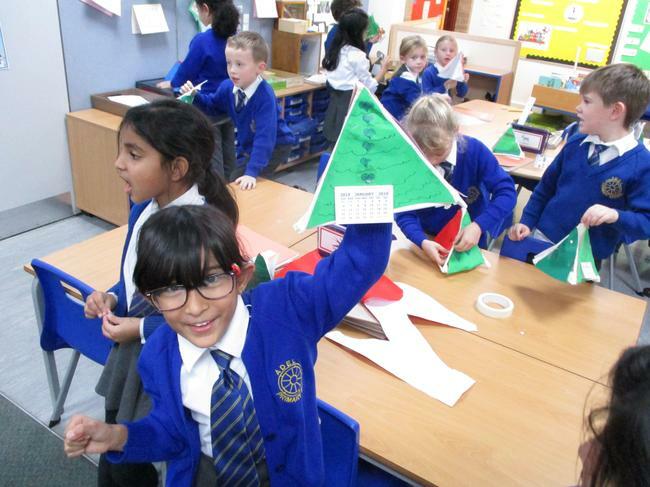 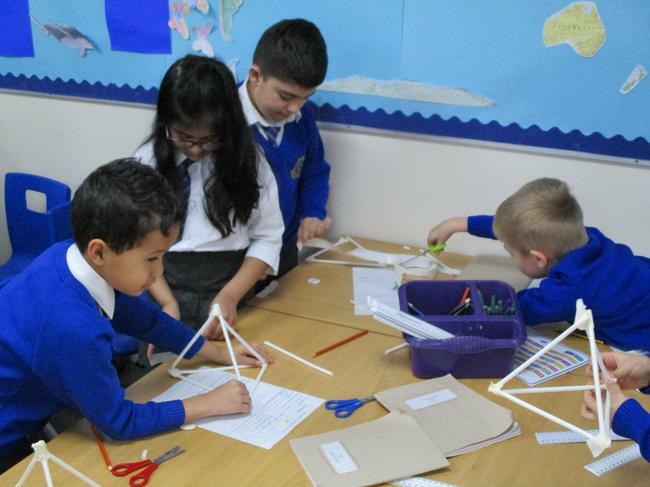 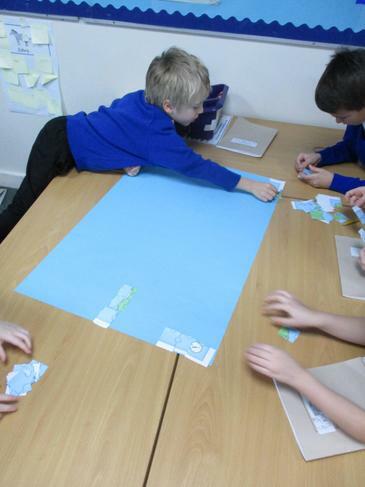 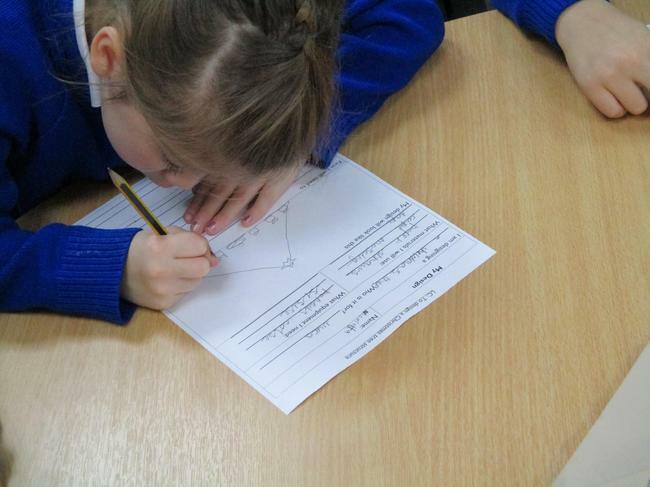 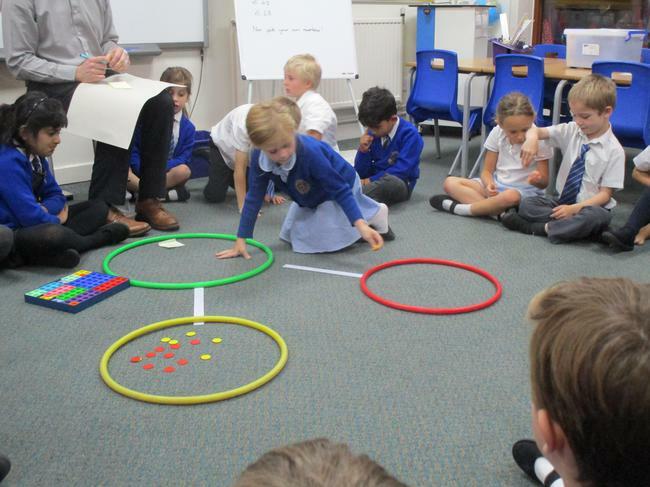 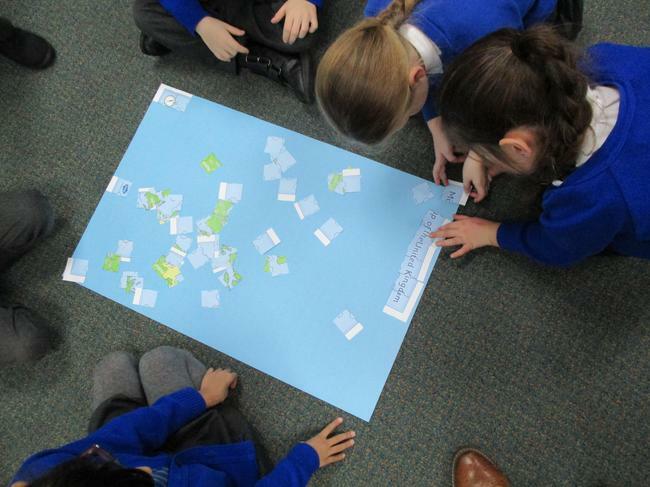 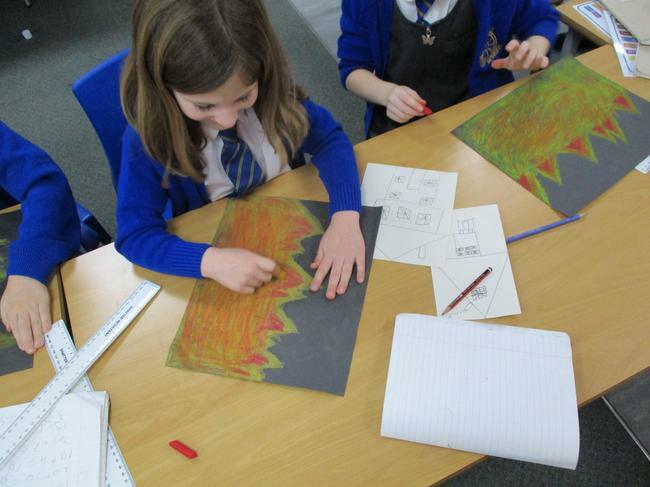 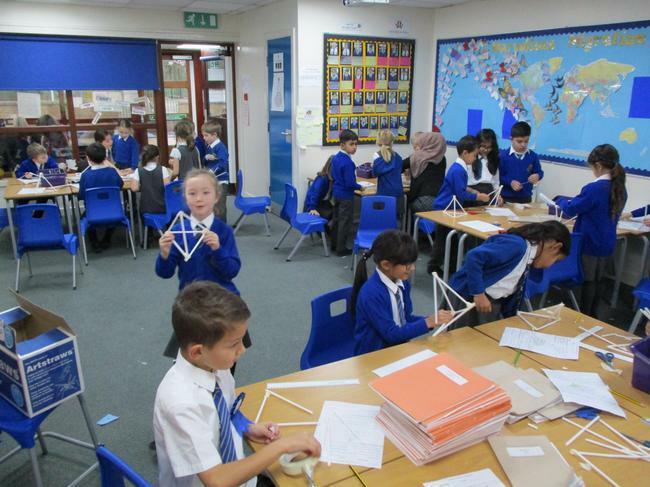 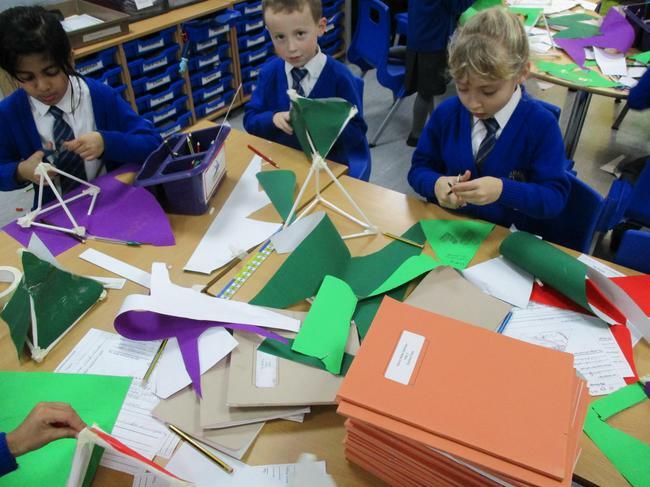 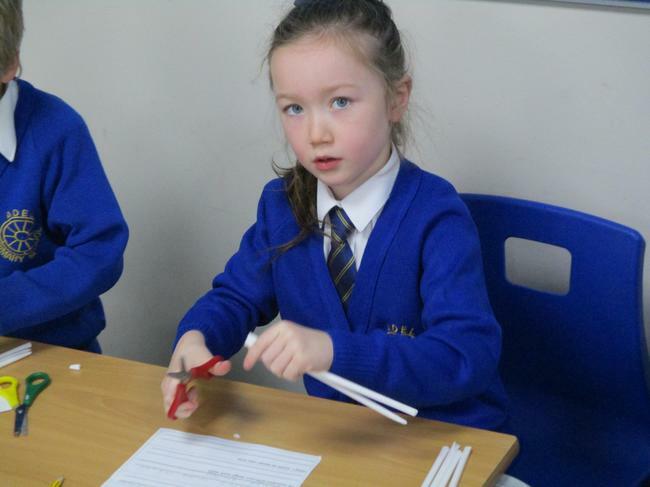 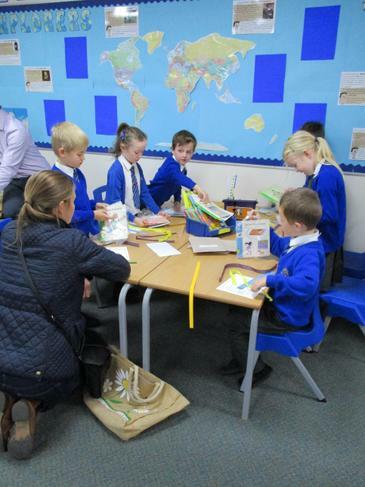 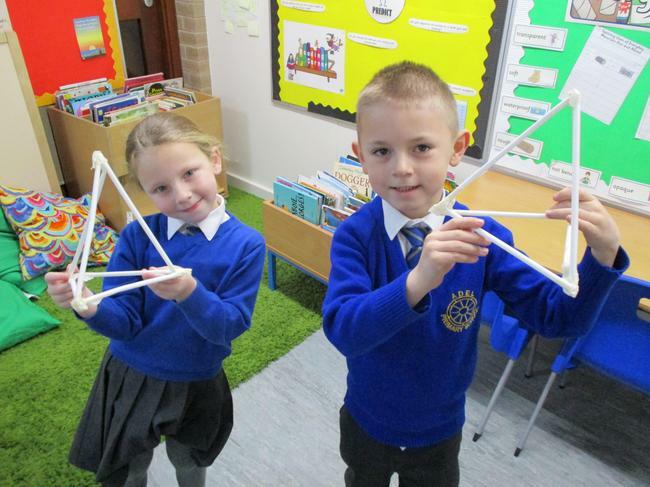 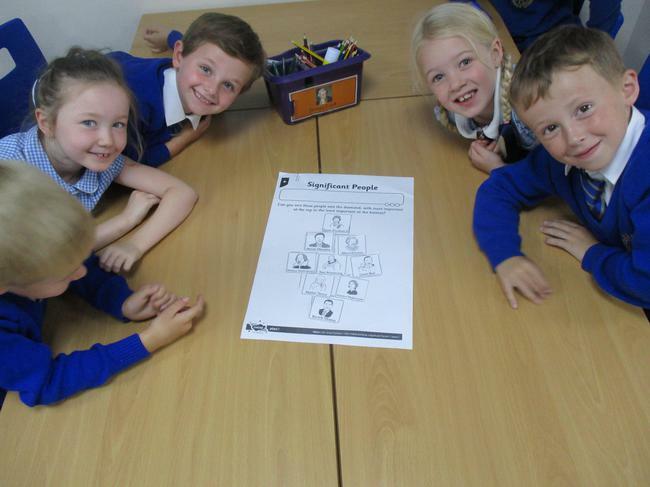 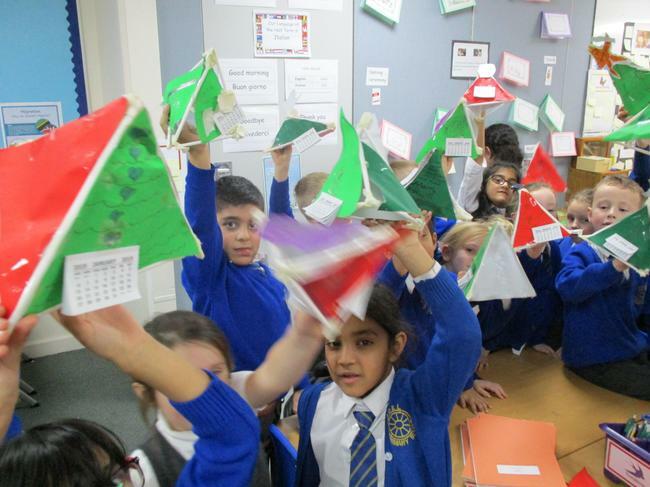 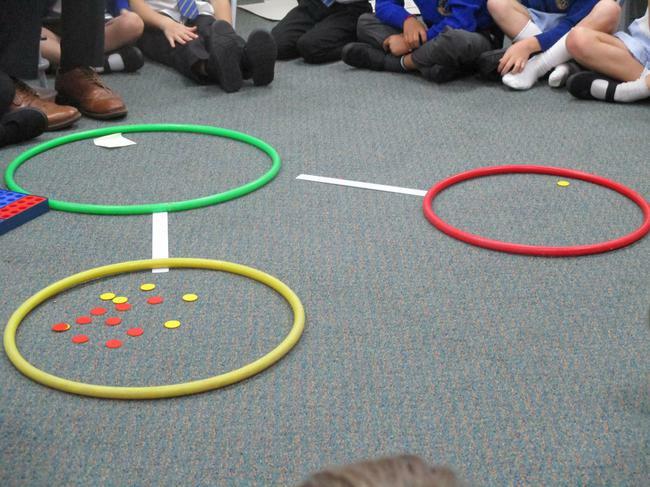 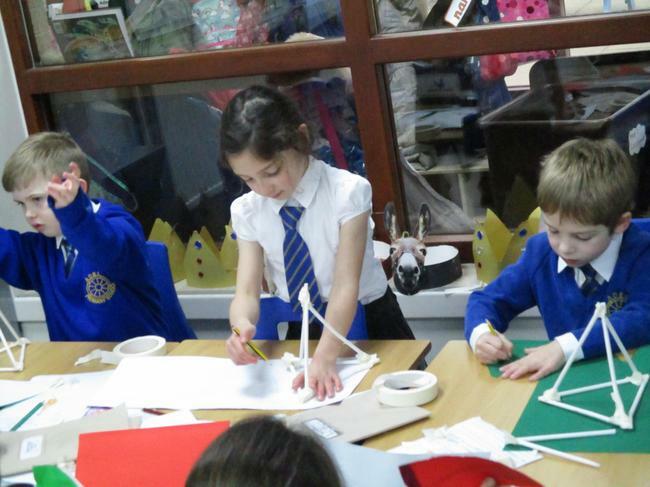 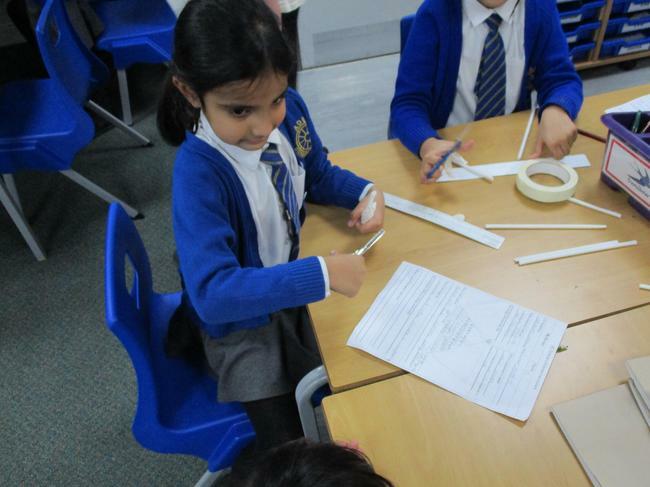 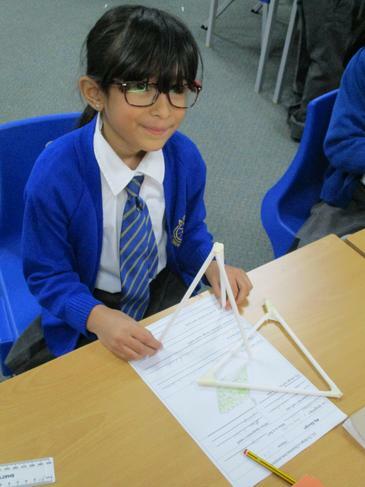 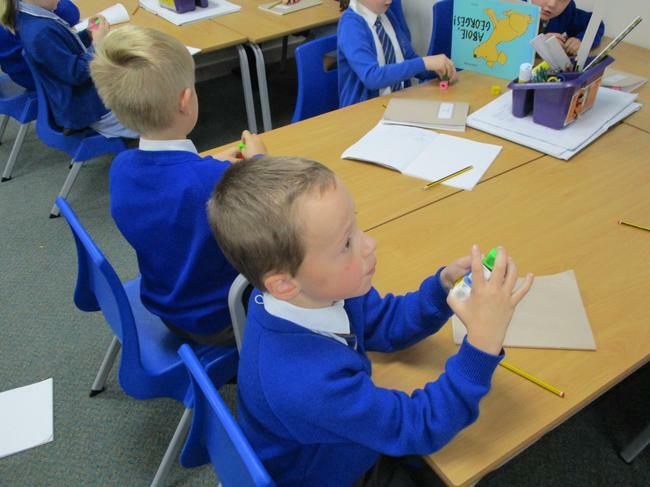 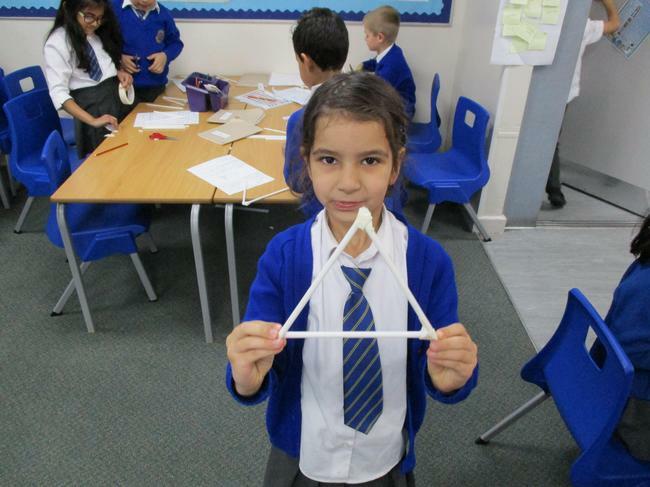 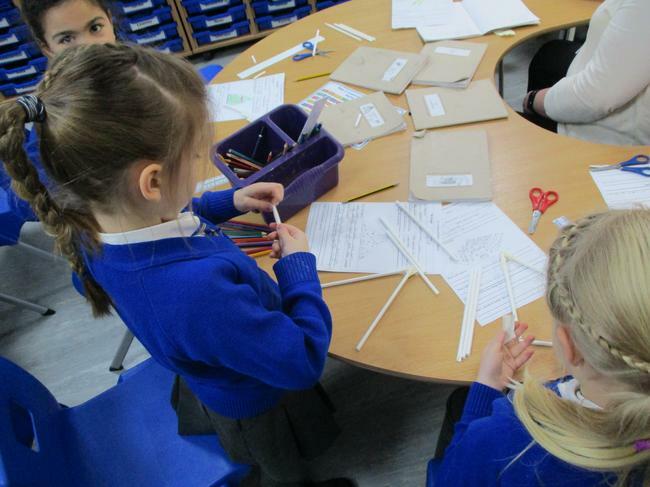 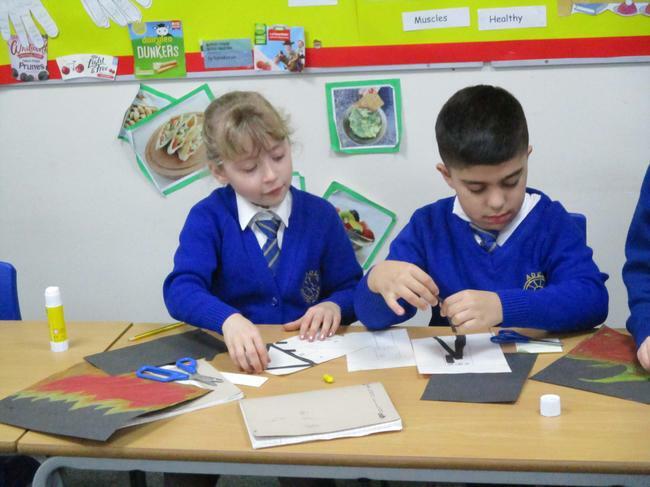 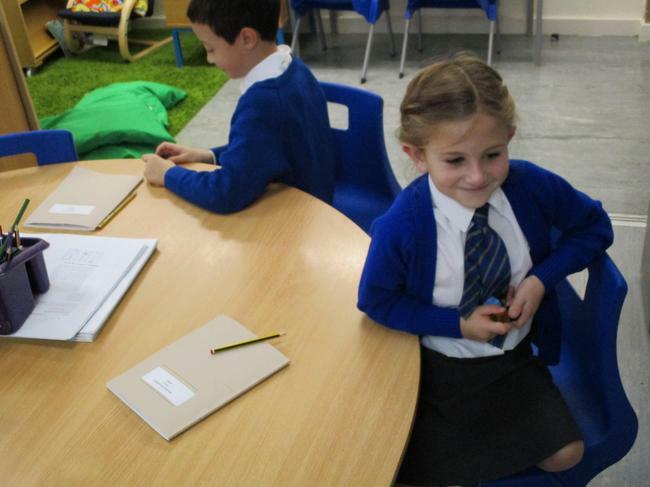 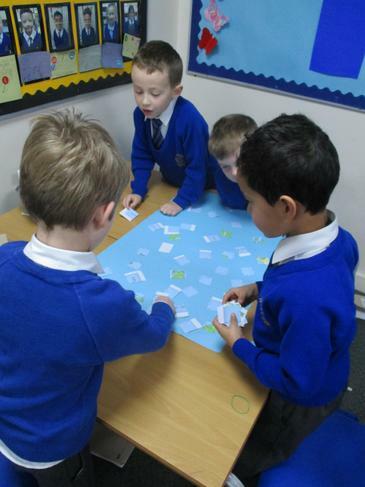 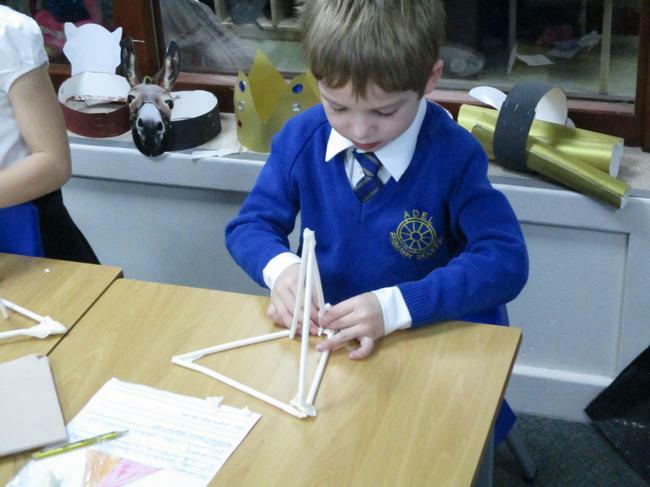 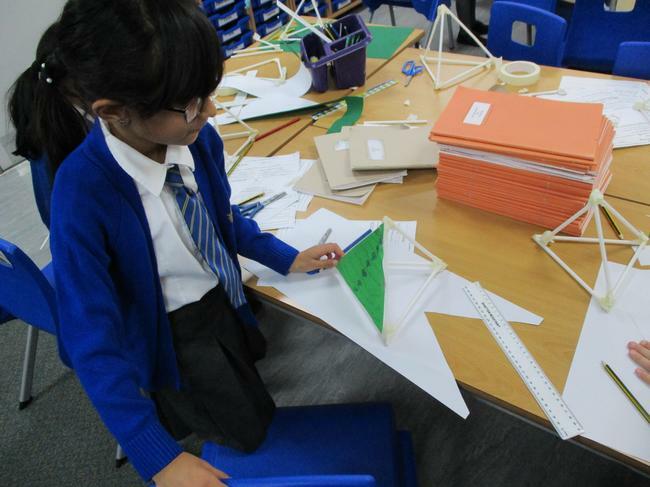 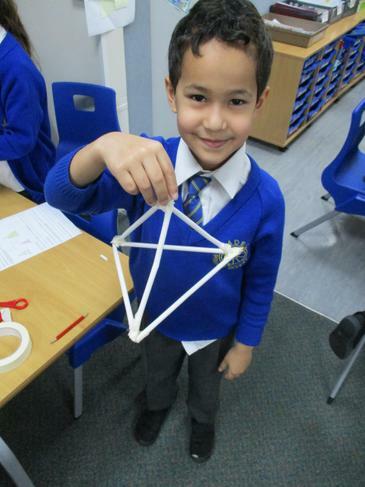 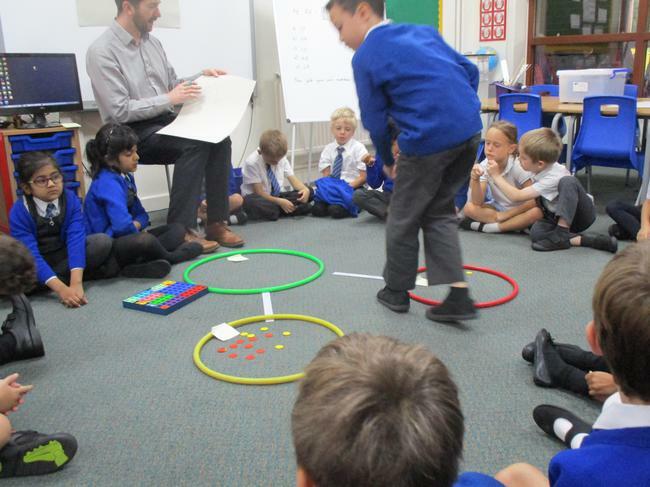 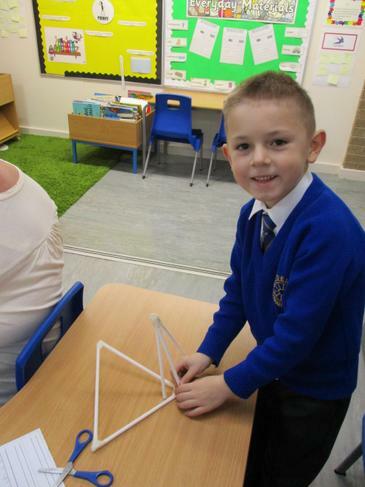 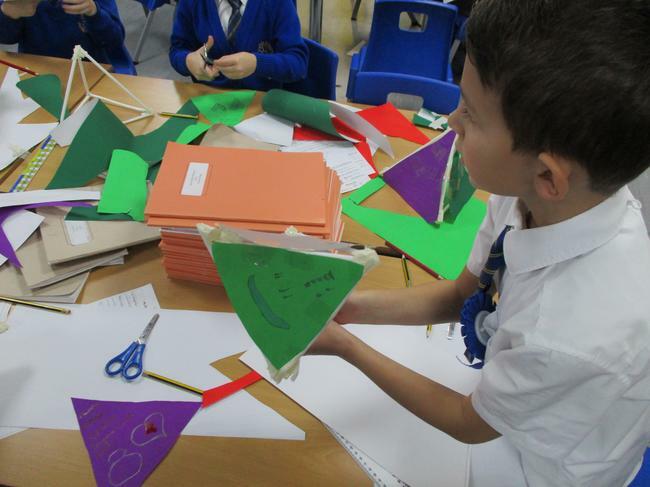 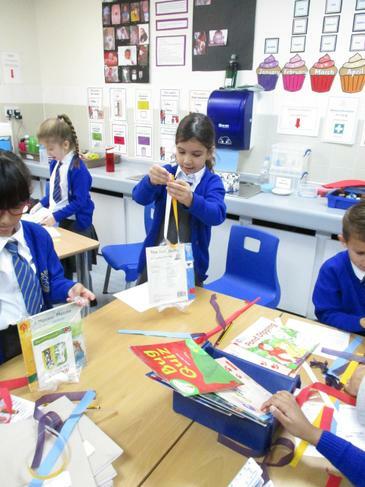 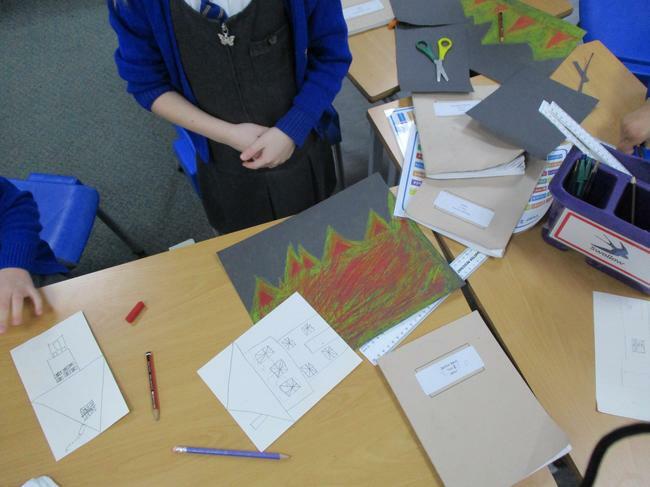 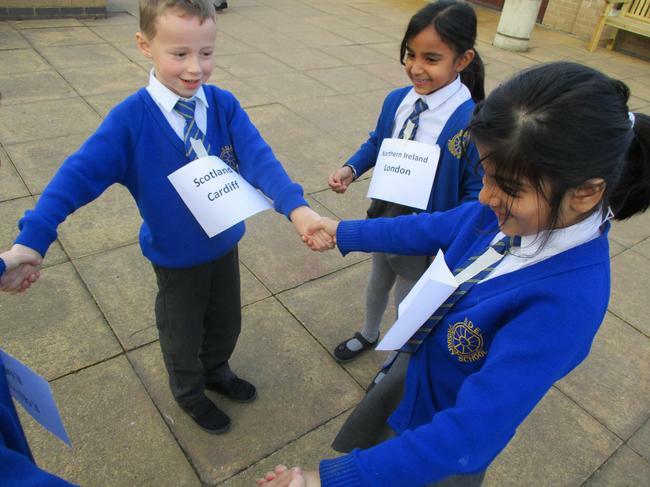 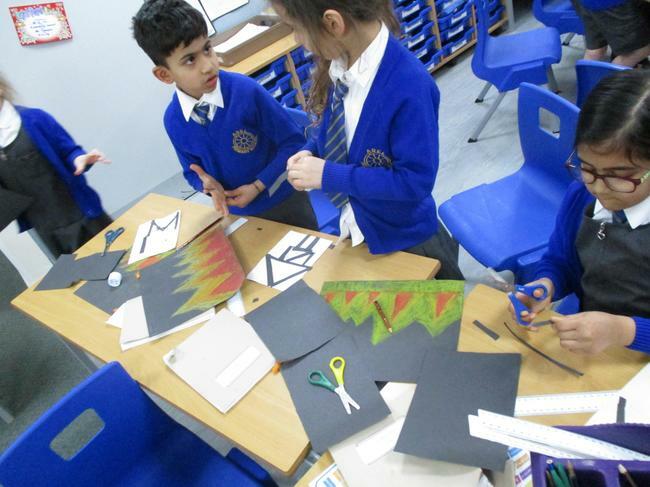 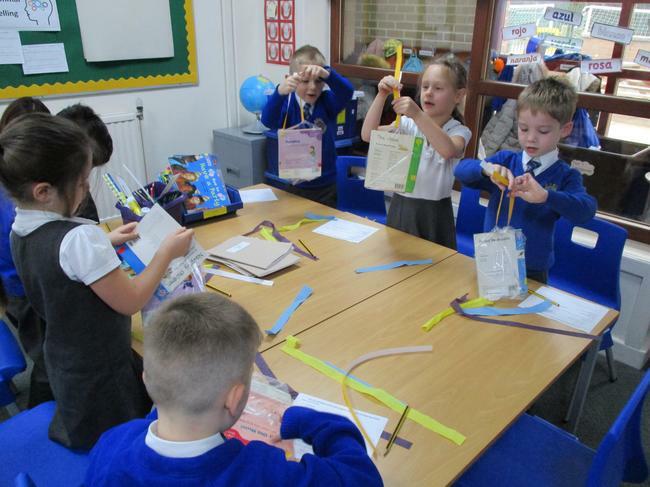 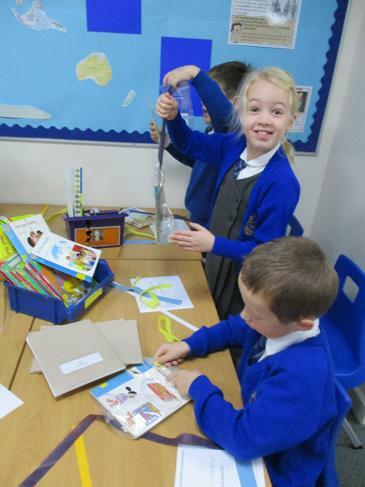 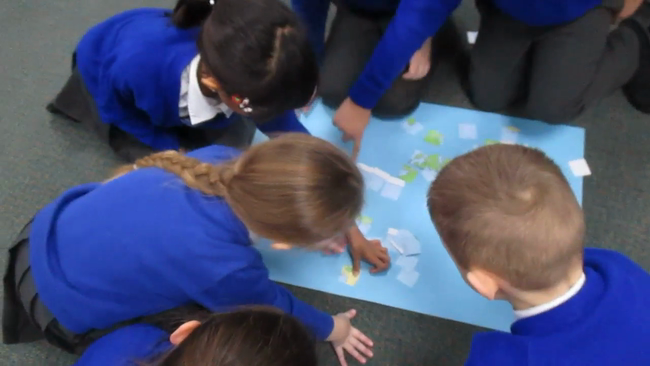 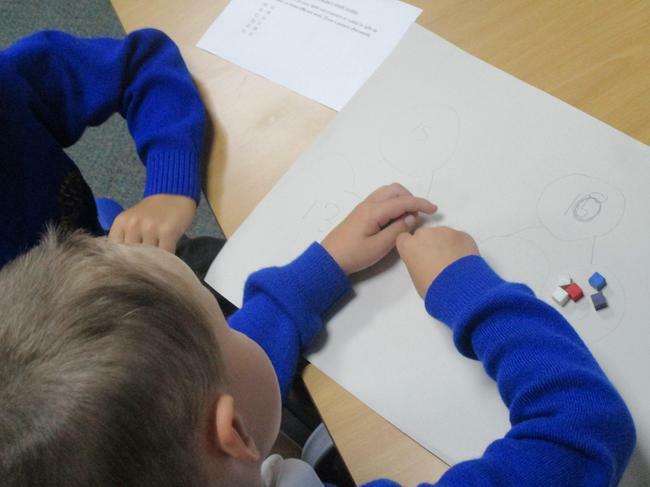 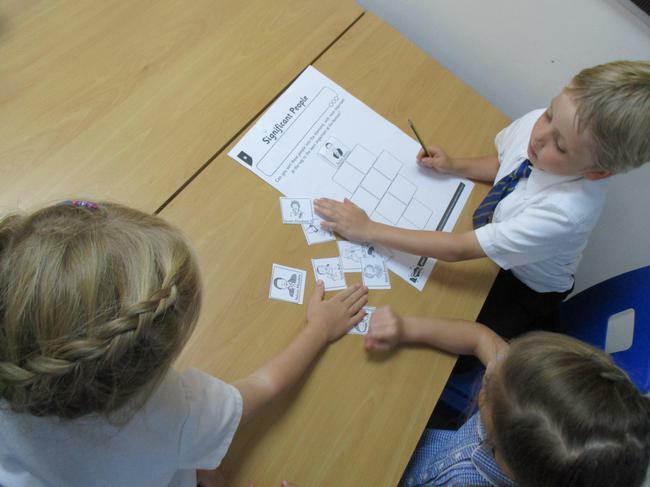 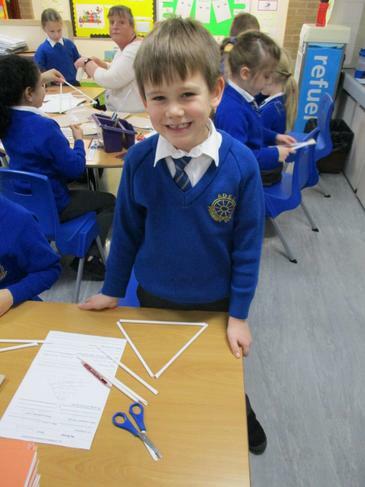 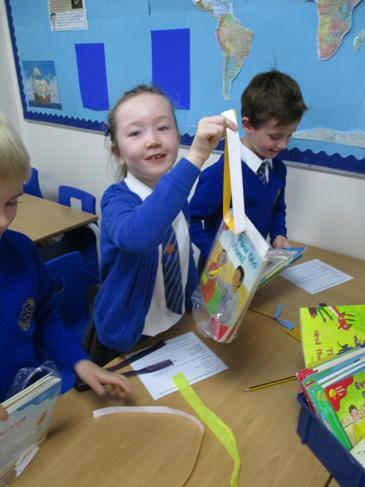 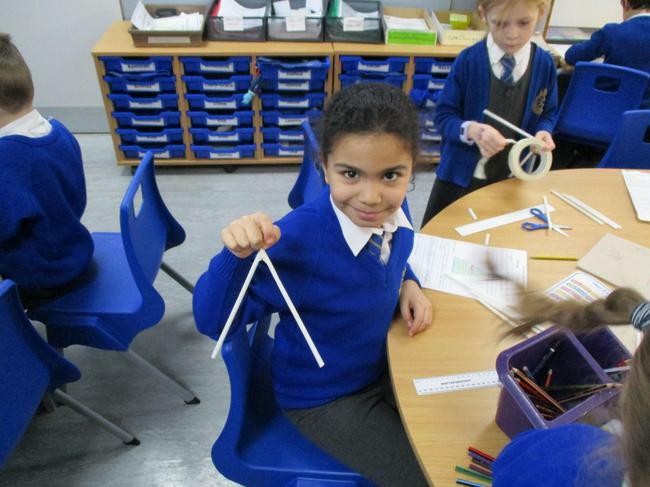 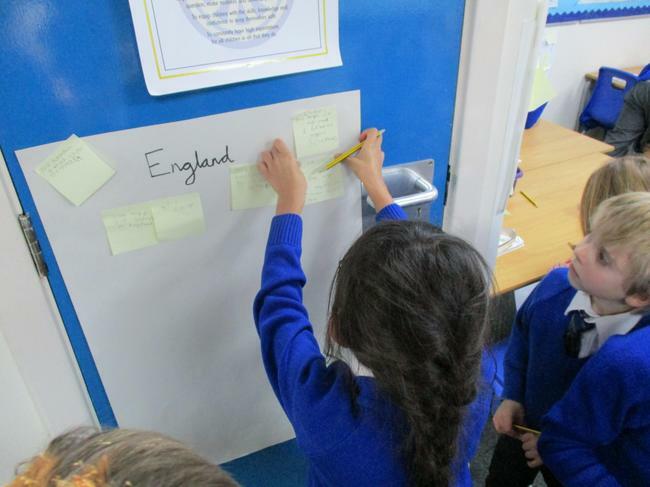 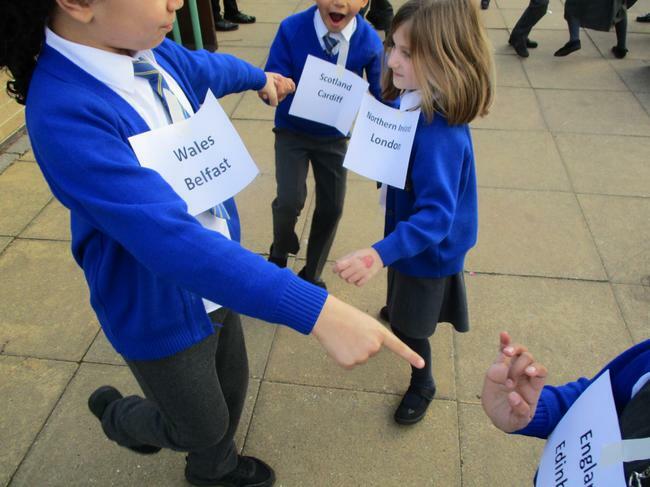 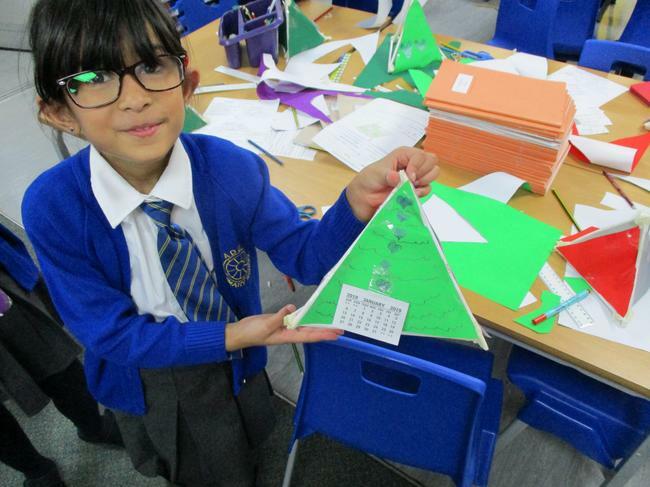 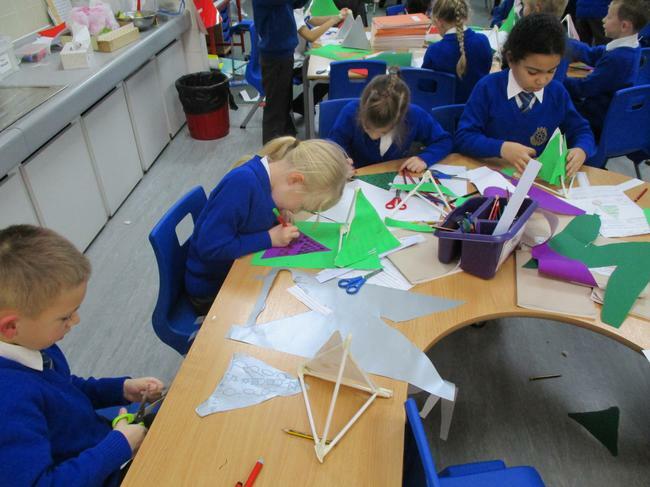 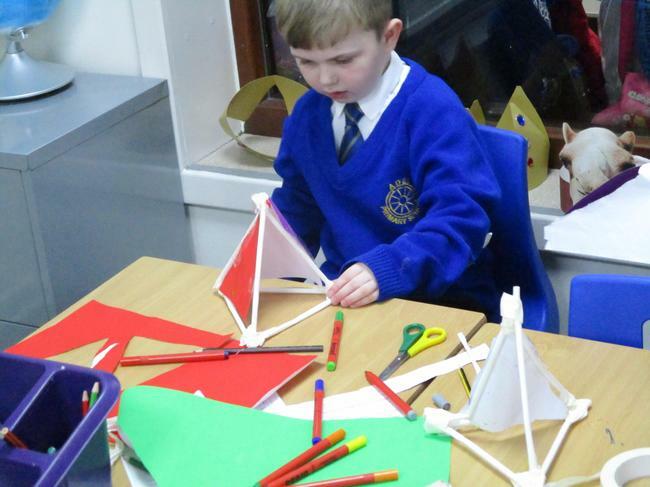 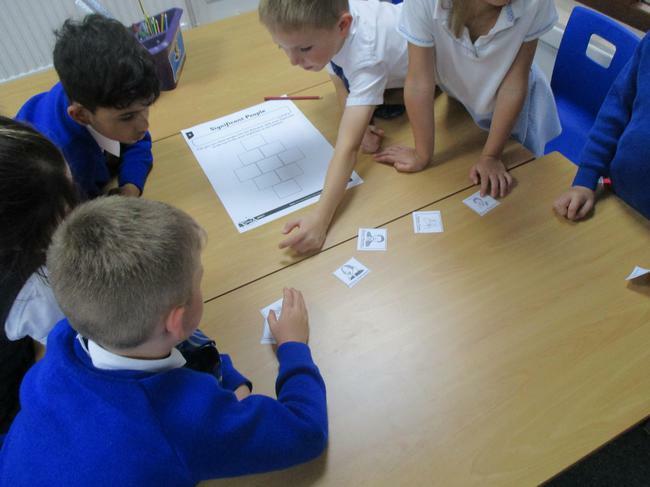 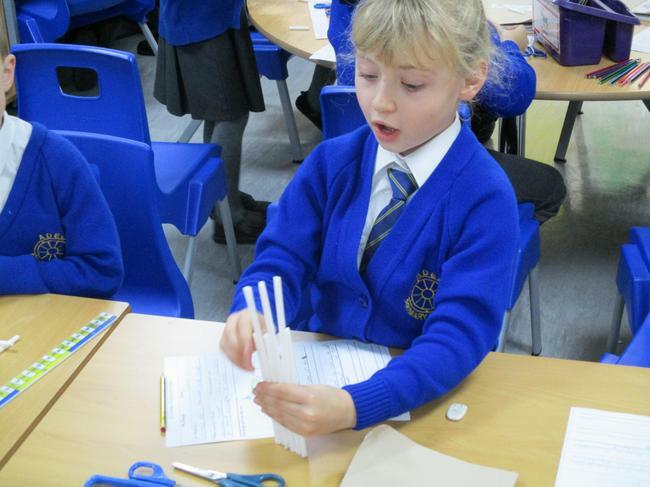 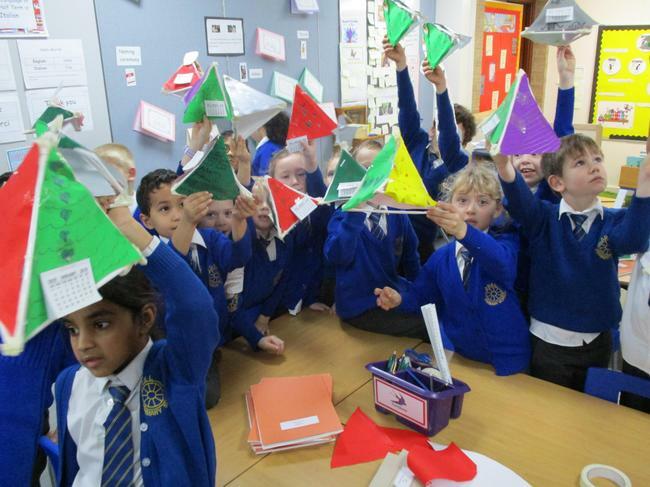 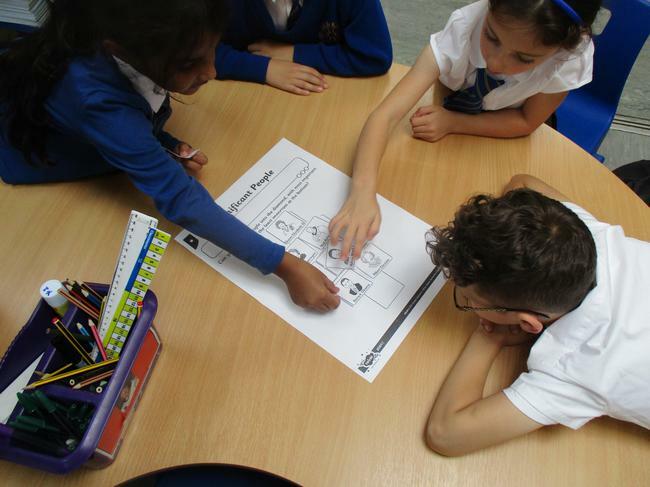 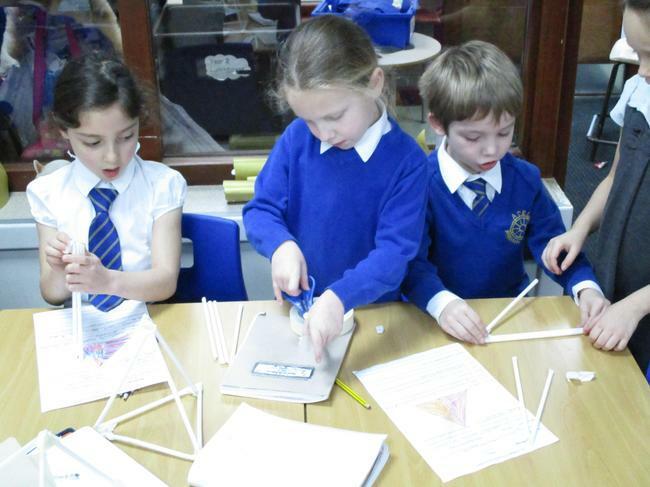 Year 2 played 'Tiggy Triangles' to quiz each other on the capital cities of the parts of the United Kingdom. 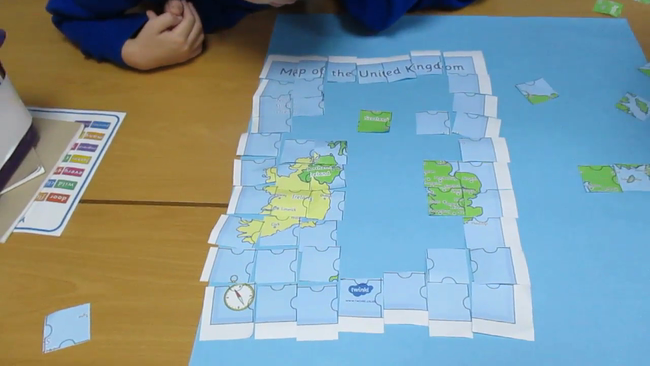 They each had a random combination of a country and a different capital. 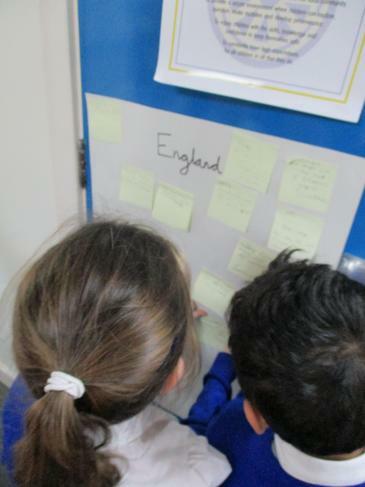 Learning about England, Scotland, Wales and Northern Ireland. 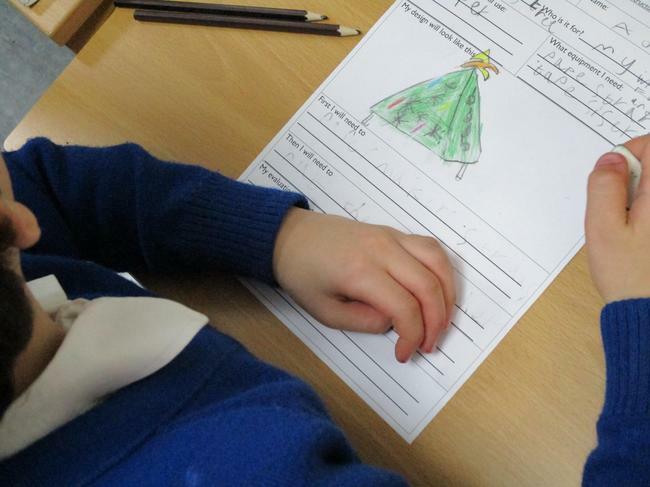 The Elf on the shelf was very naughty when he changed all the points on Year 2's behaviour system. 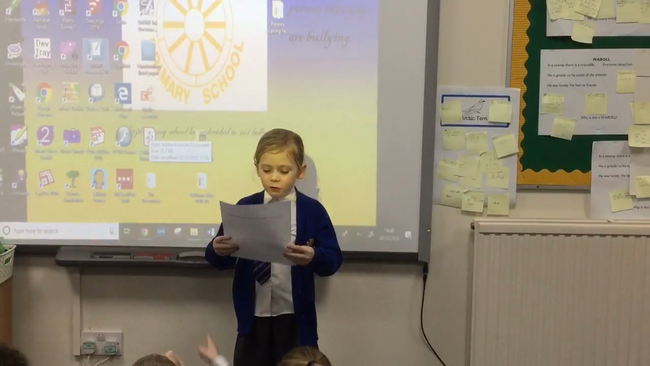 He had to write the class a letter of apology. 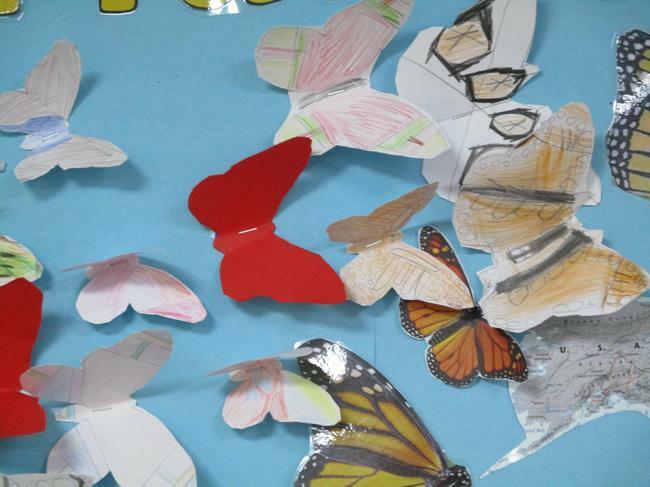 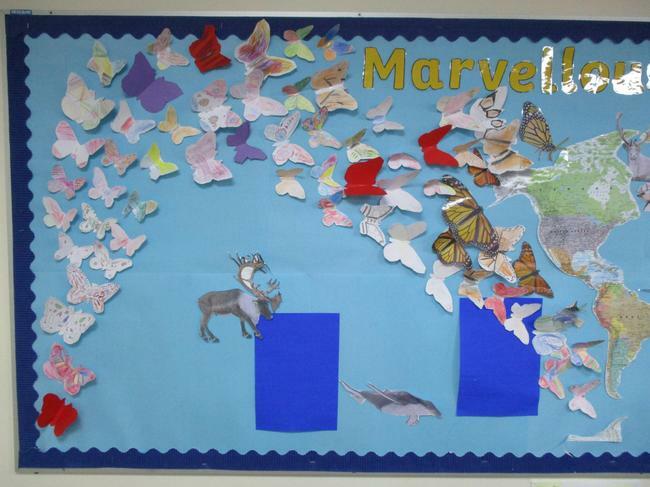 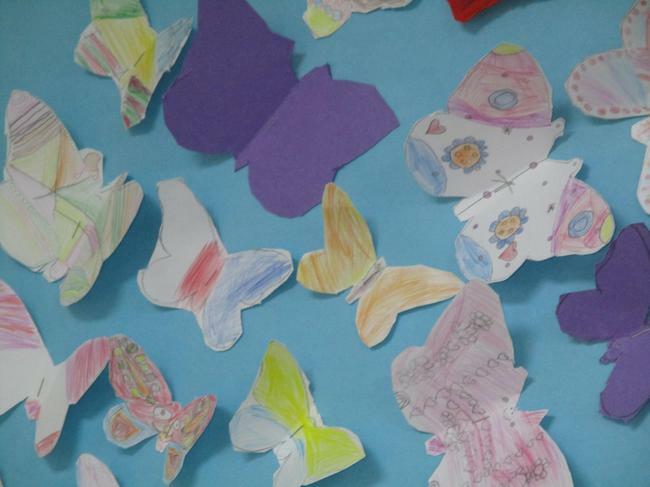 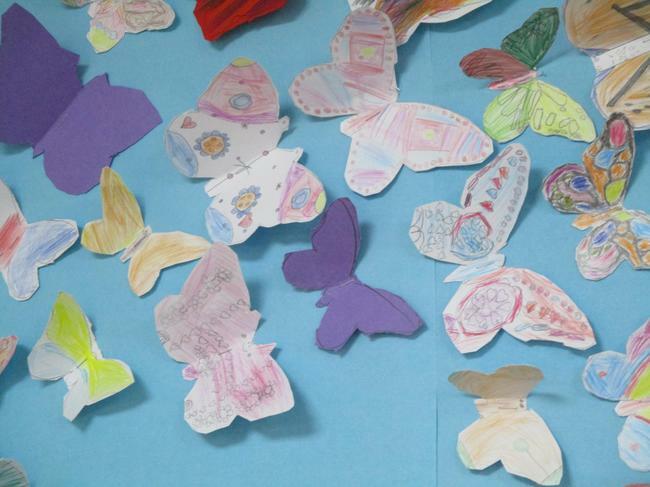 Our topic this half term is Marvellous Migration. 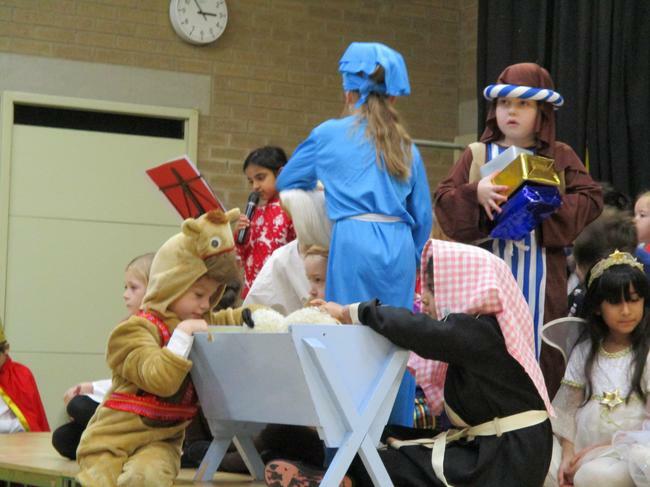 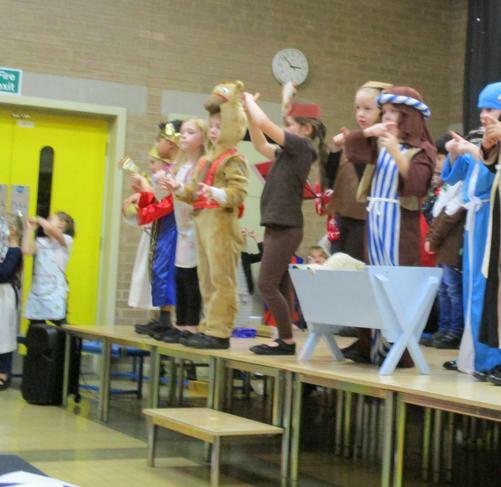 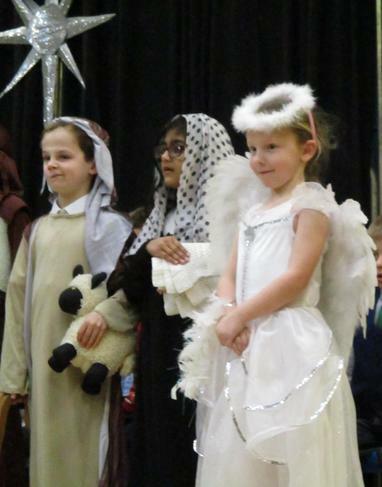 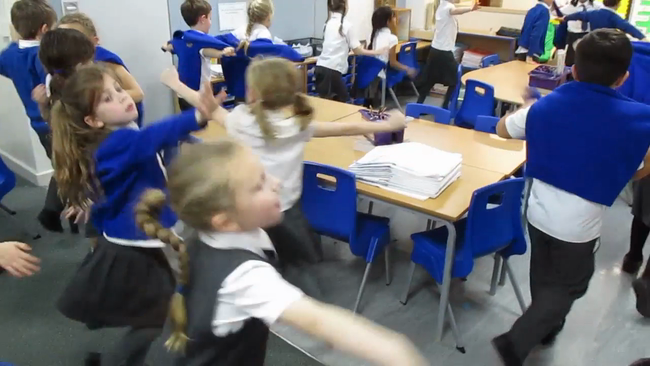 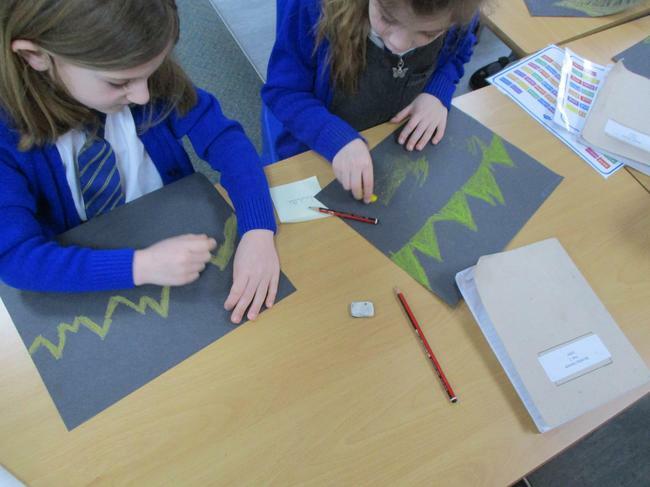 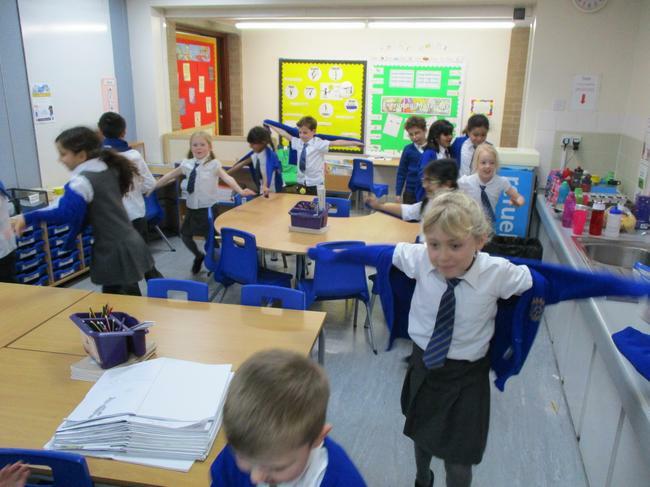 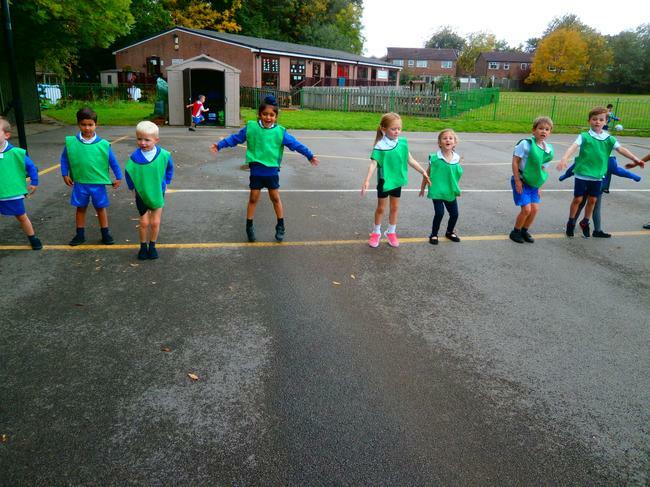 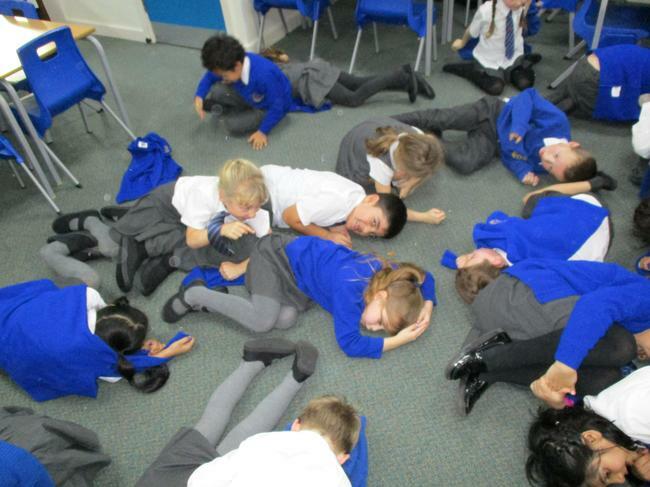 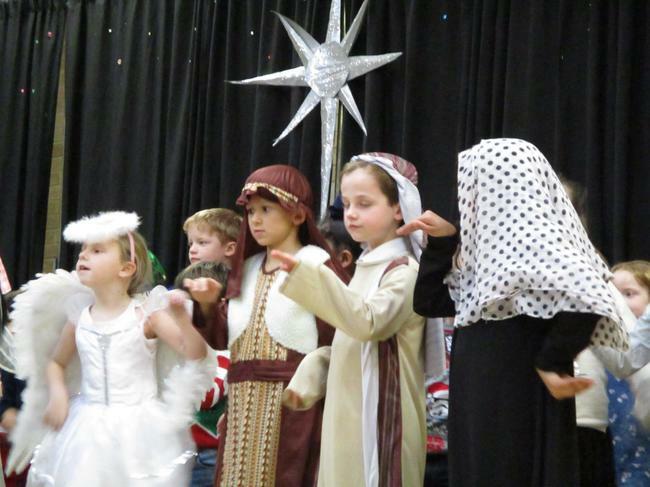 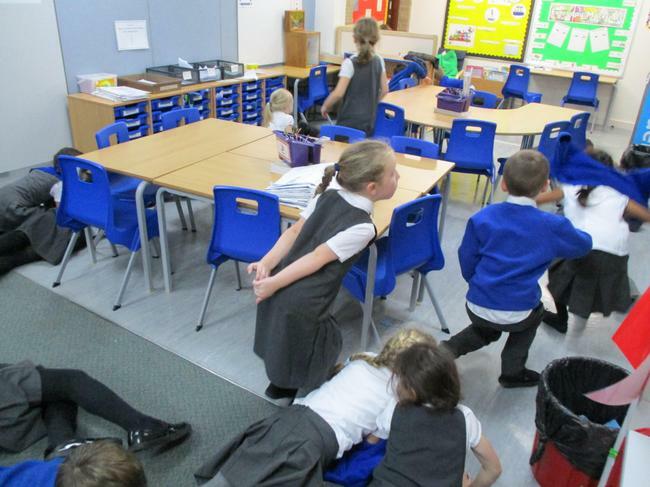 The children acted out how some animals migrate and some hibernate in winter. 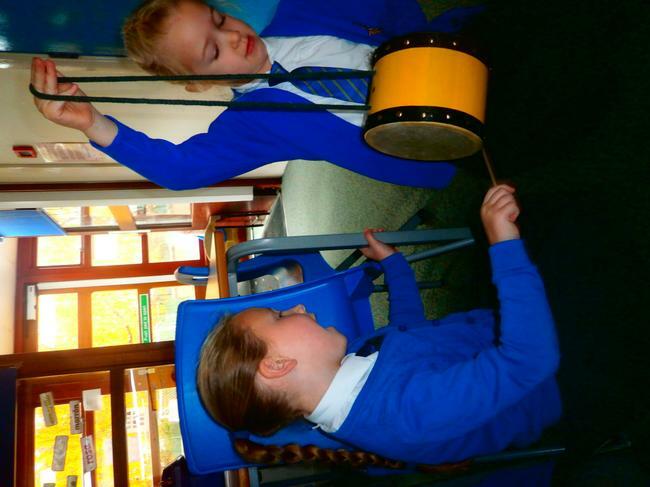 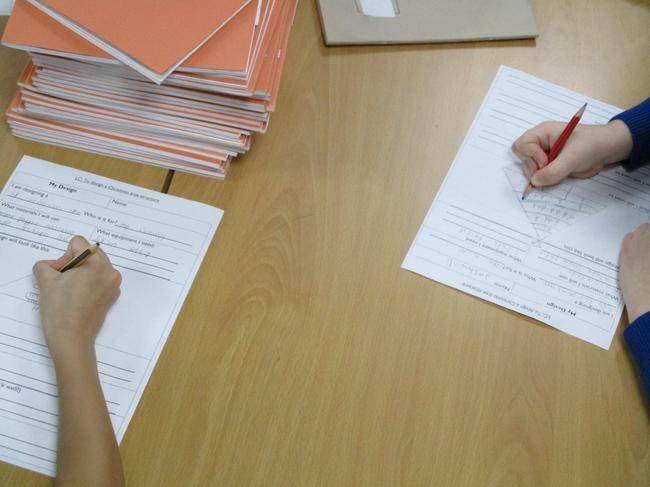 The children have been learning about musical terms- dynamics ( how the volume of a piece of music changes) and tempo- ( how the speed of a piece of music might change).They experimented using untuned percussion and started to write their own graphic notation (using symbols to determine if their musical piece was going to be loud or soft). 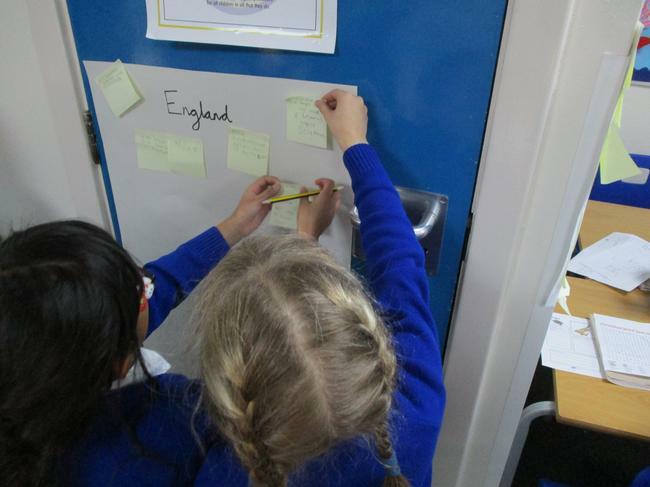 In our topic lessons we have looked at famous explorers. 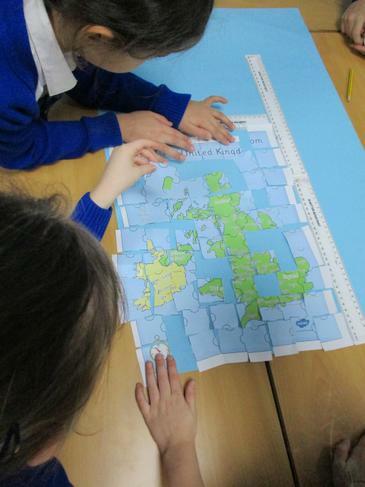 We discovered how Captain Scott explored Antarctica and kept a diary of what happened. 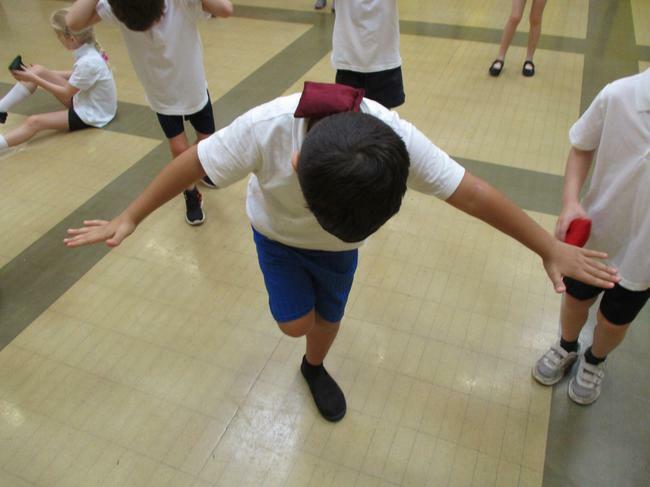 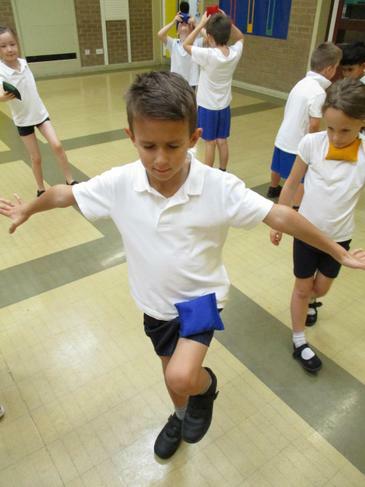 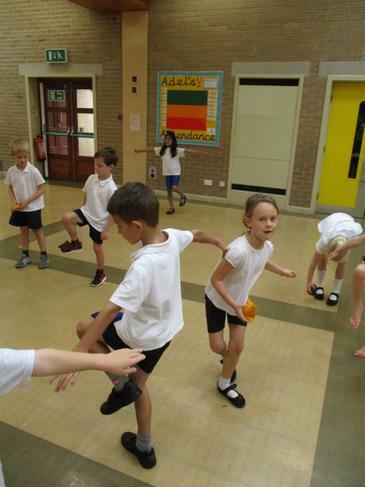 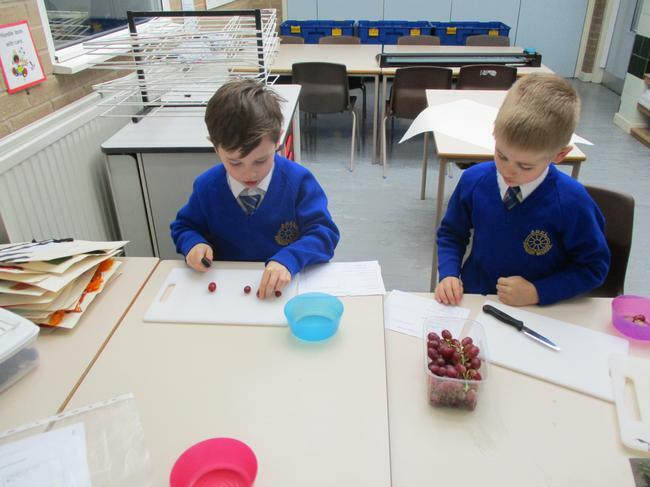 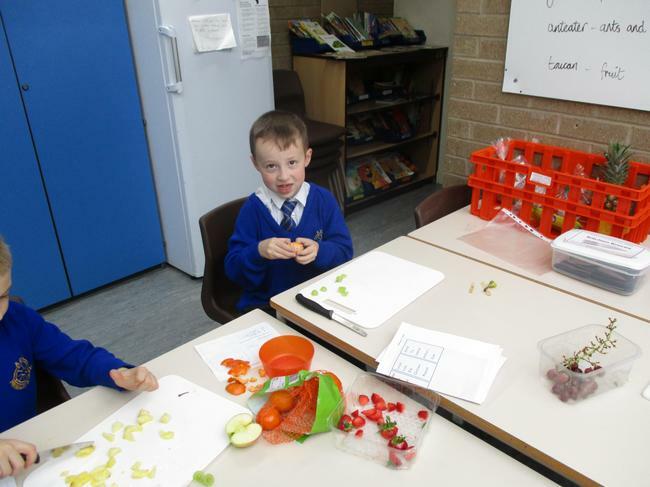 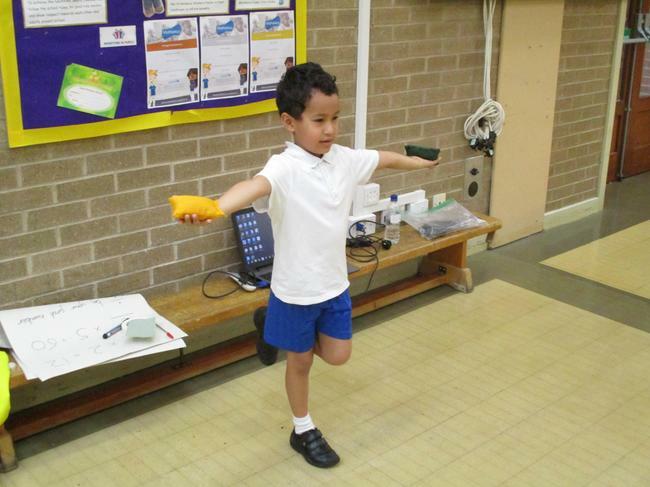 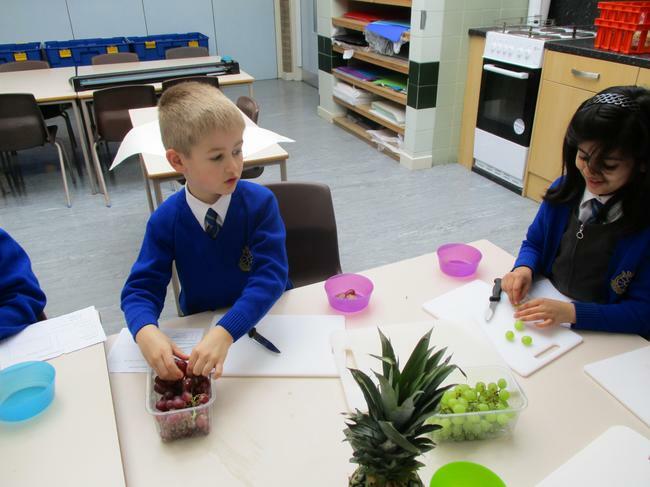 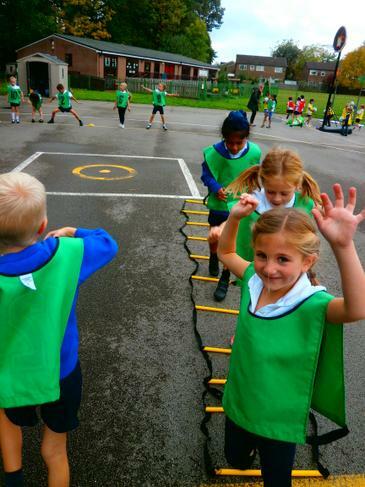 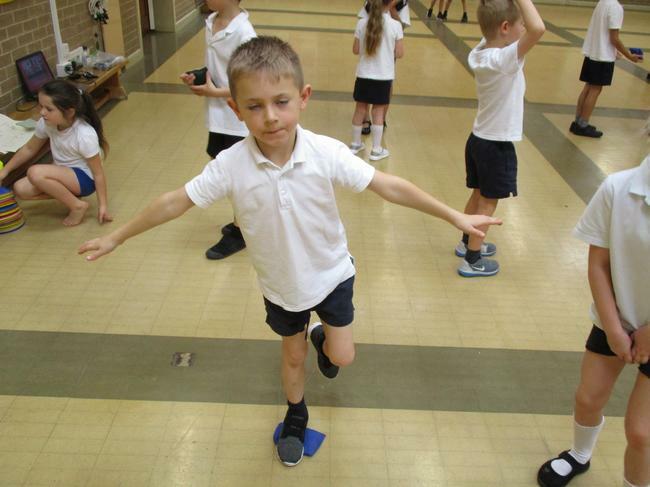 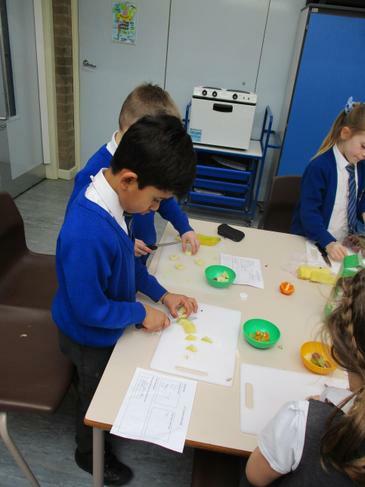 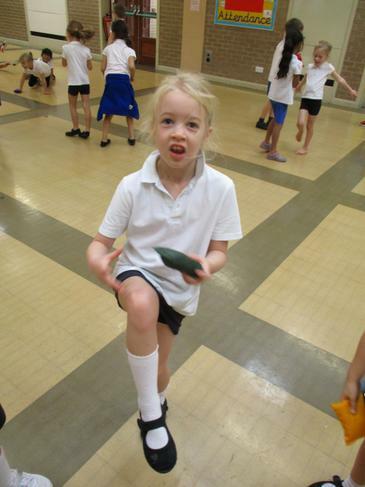 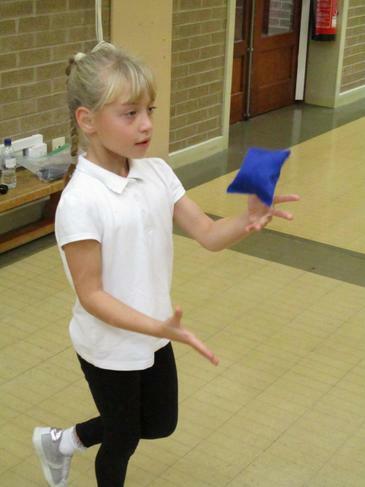 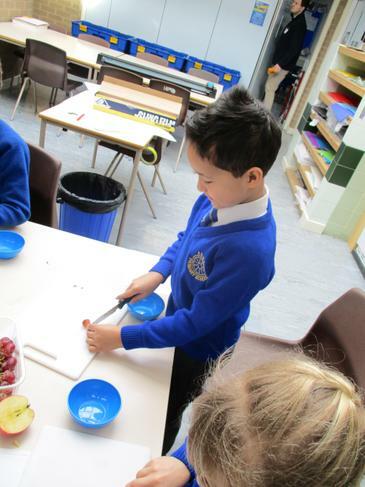 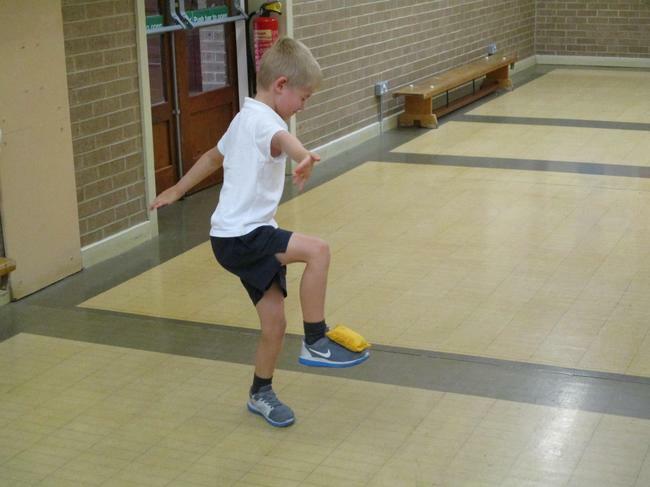 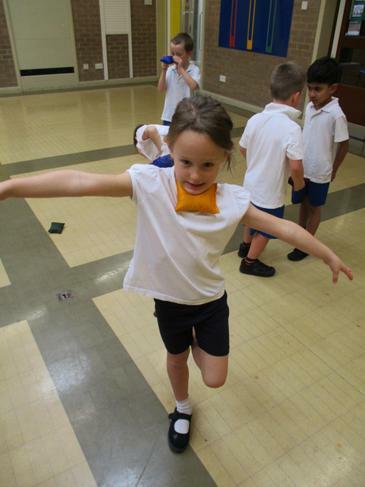 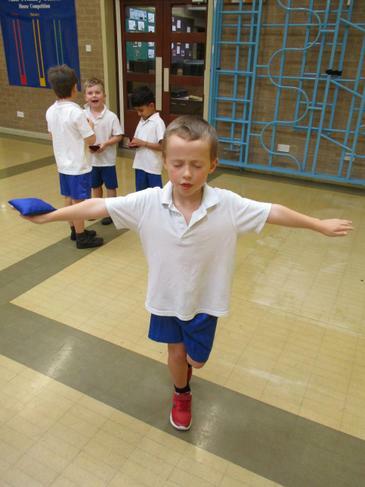 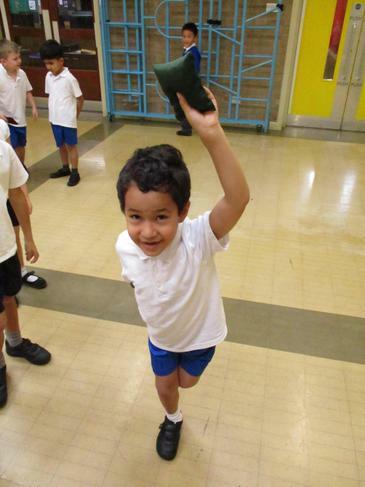 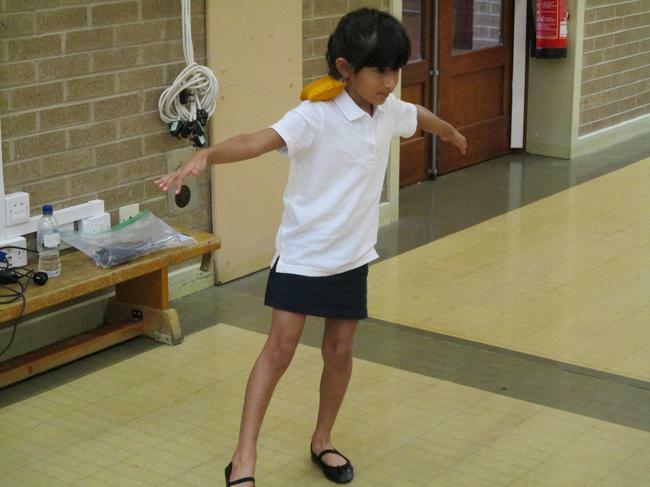 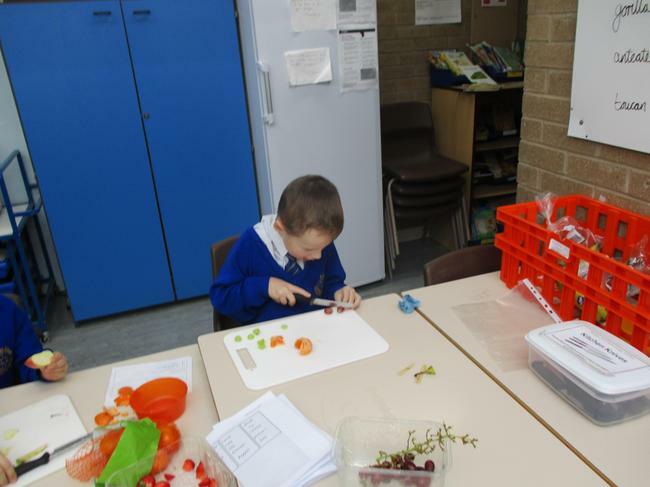 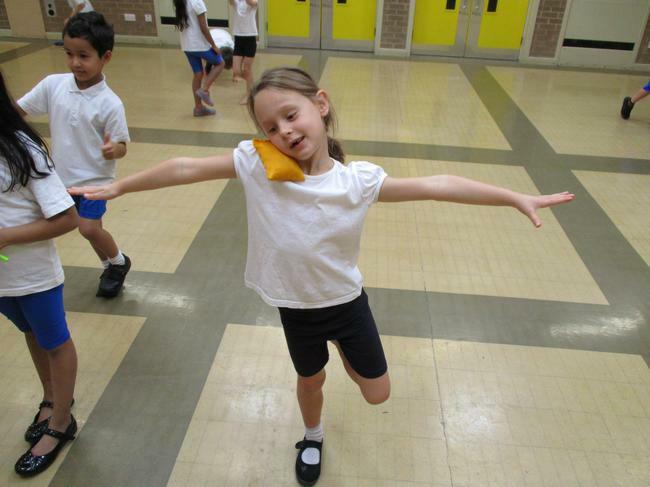 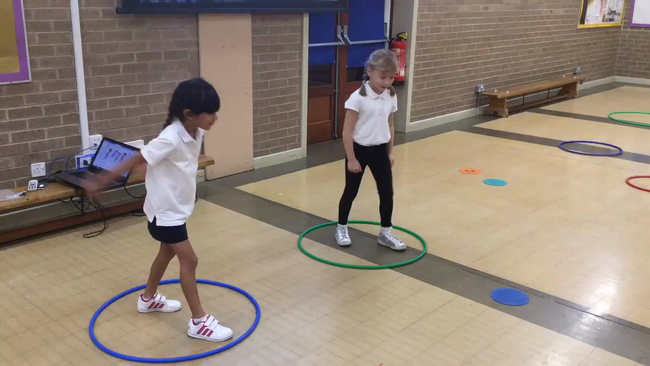 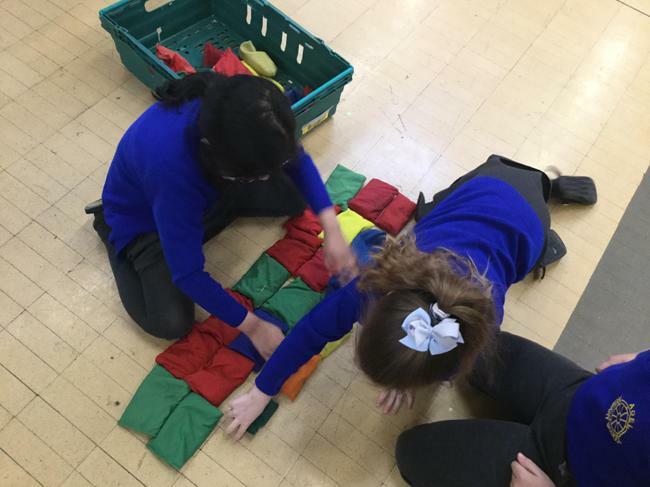 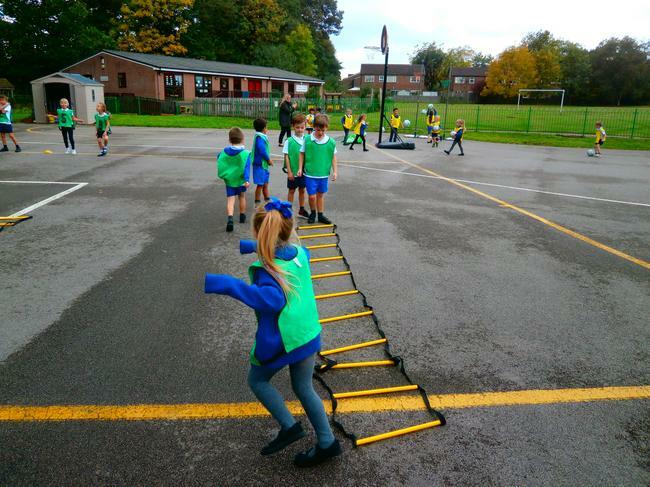 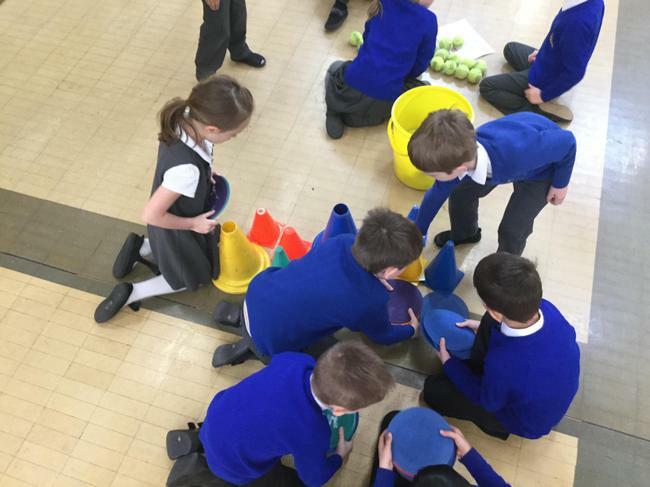 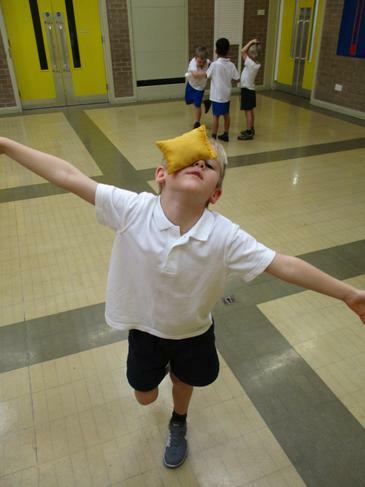 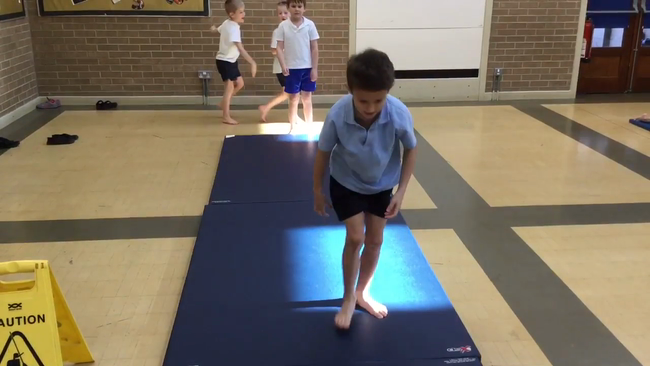 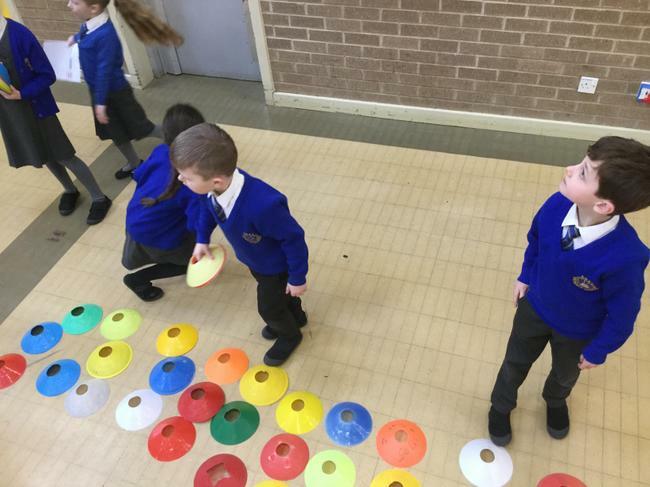 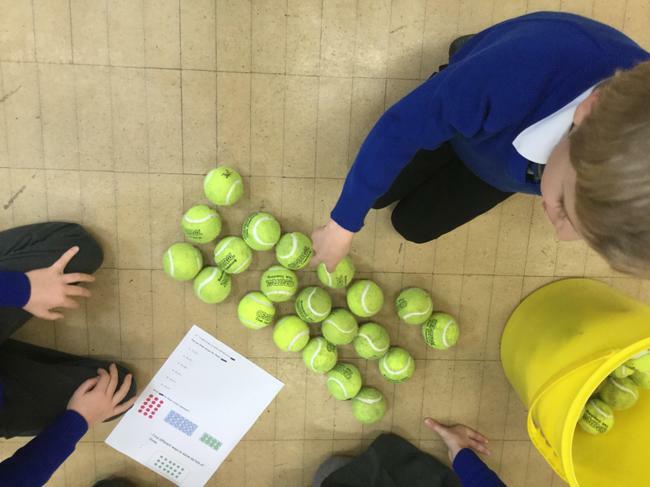 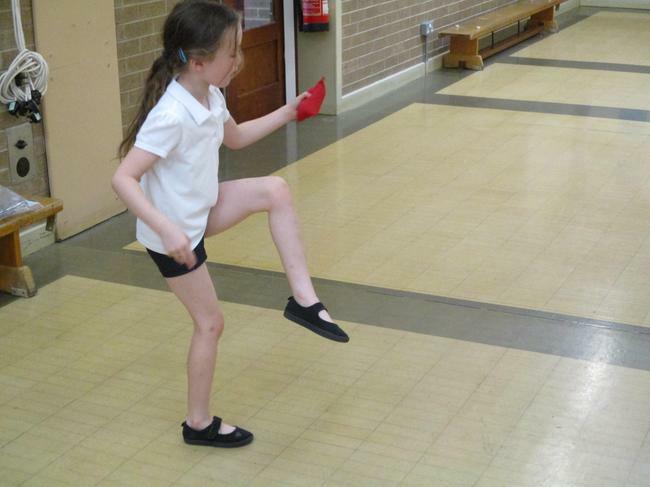 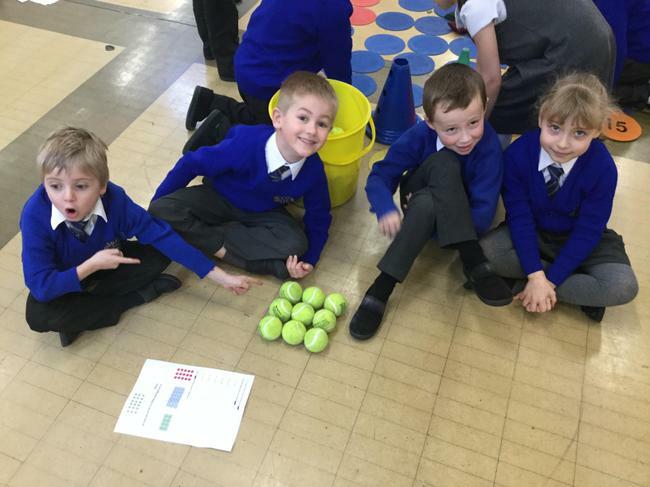 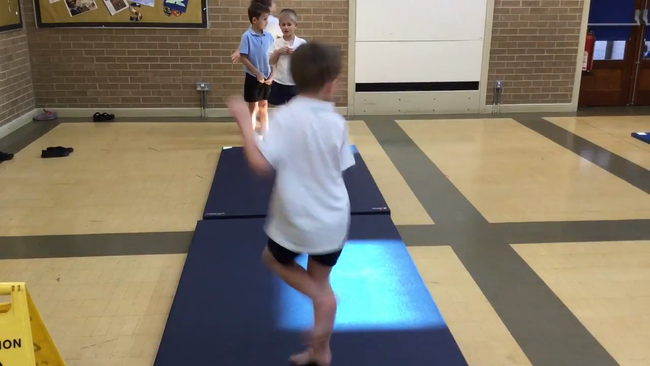 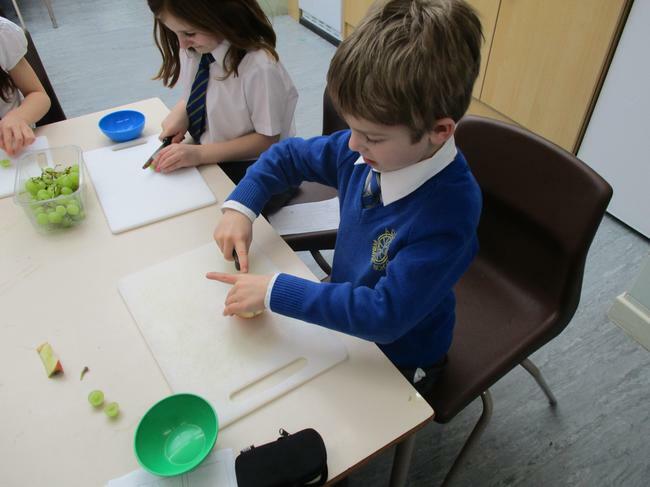 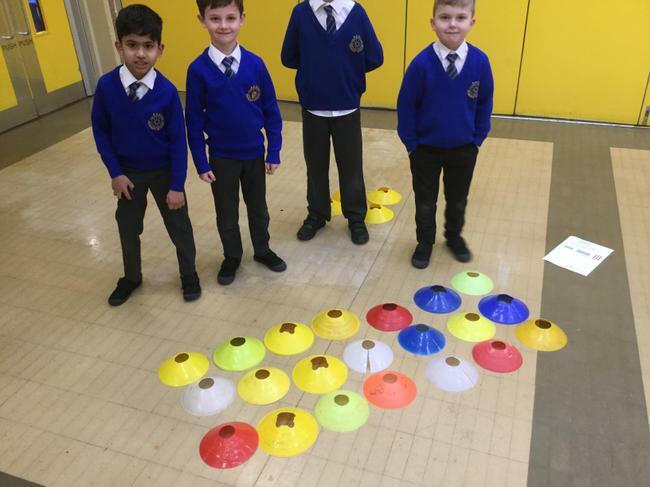 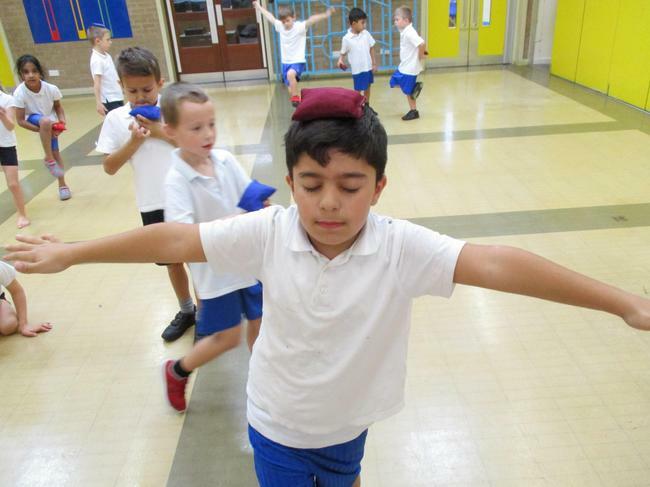 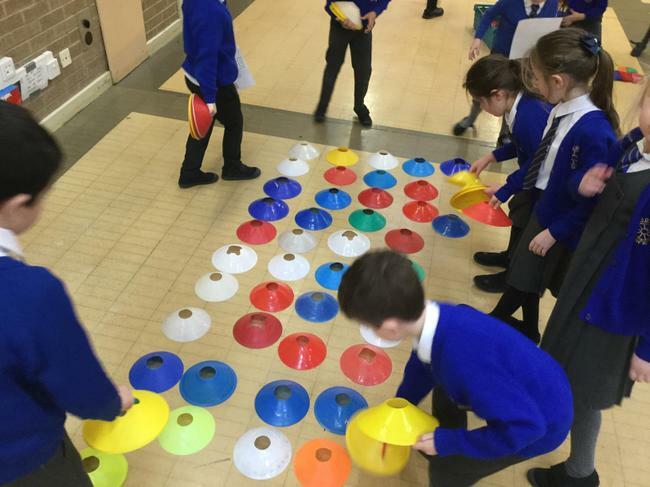 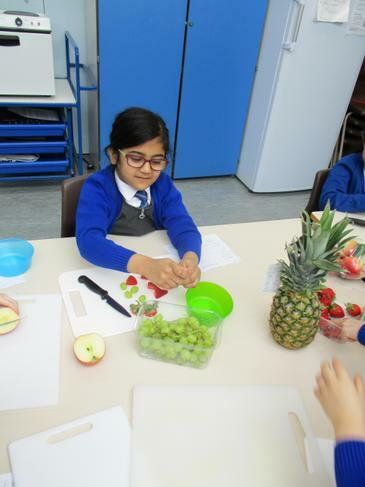 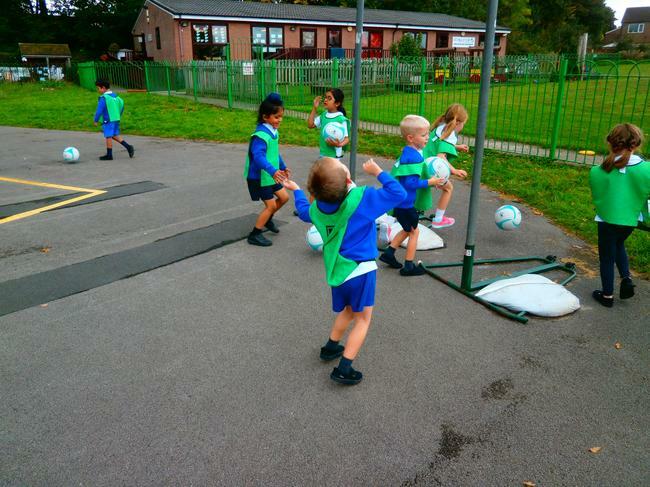 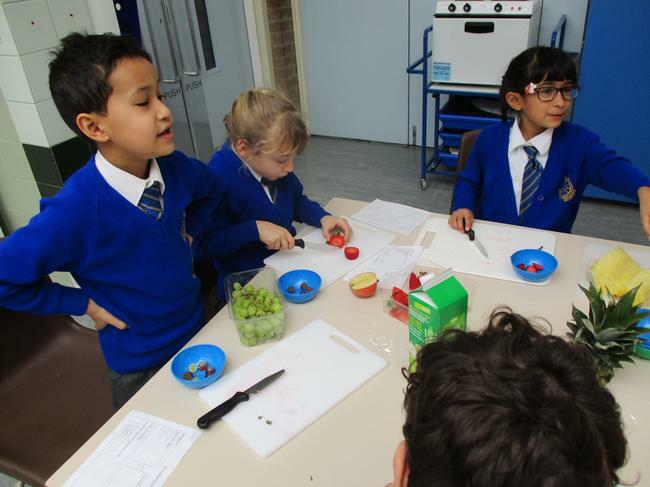 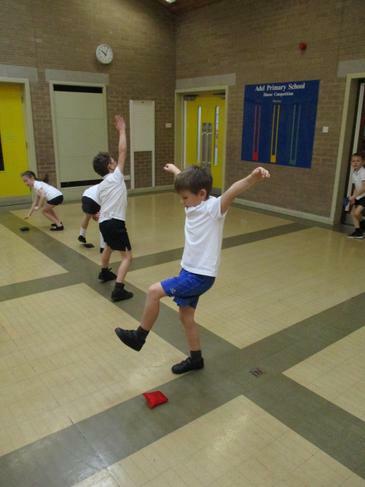 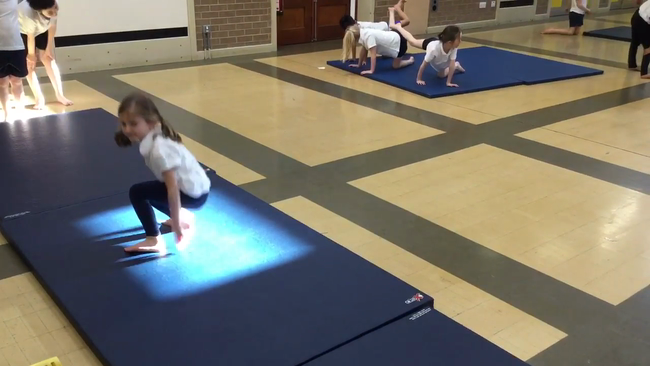 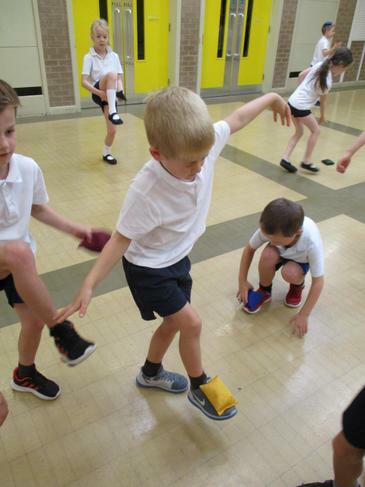 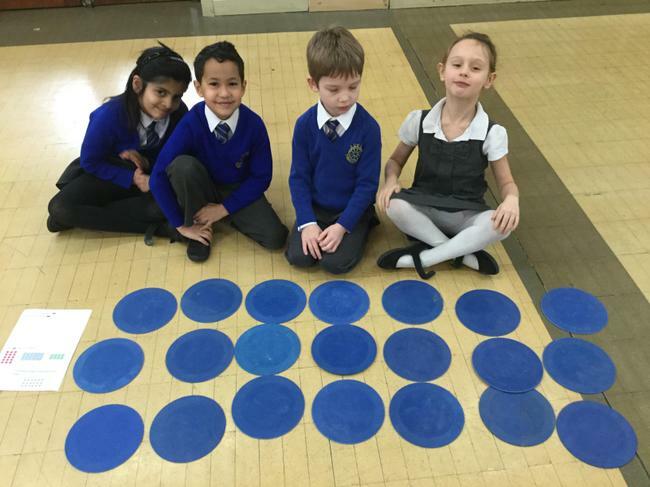 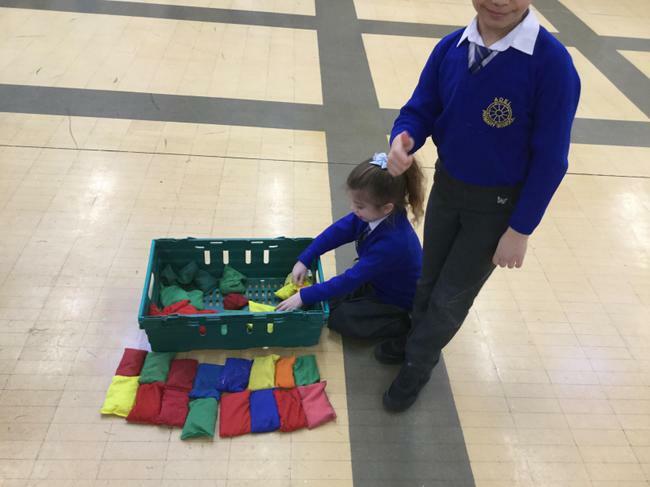 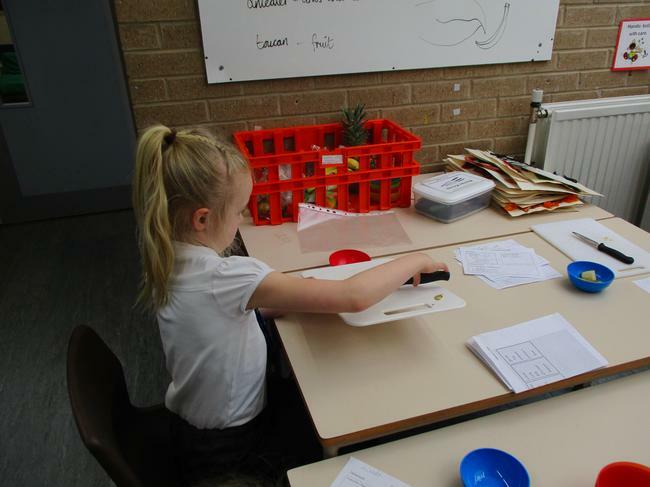 After practising one legged balances (including with their eyes closed) the children in Year 2 challenged themselves to create their own tricky balances. 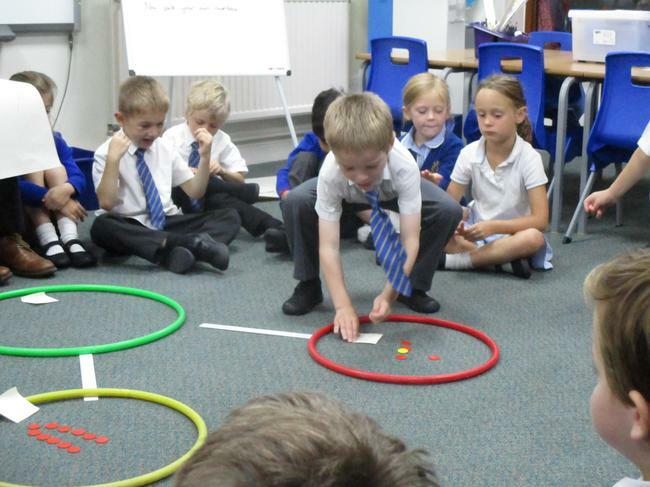 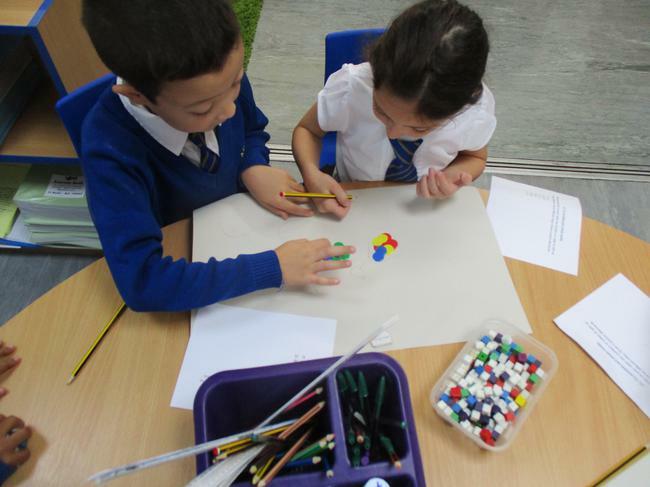 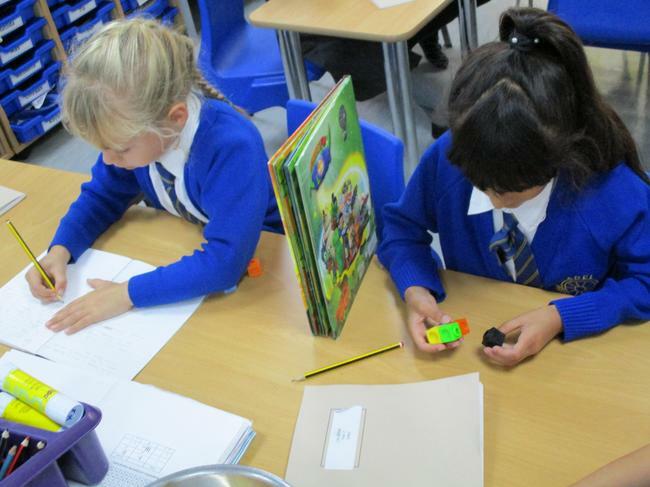 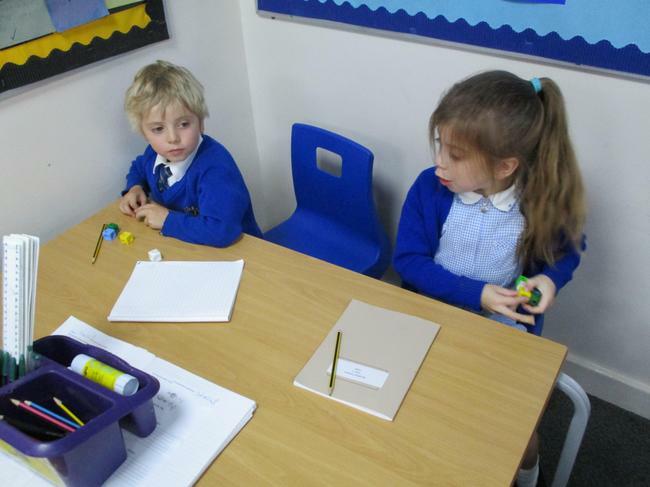 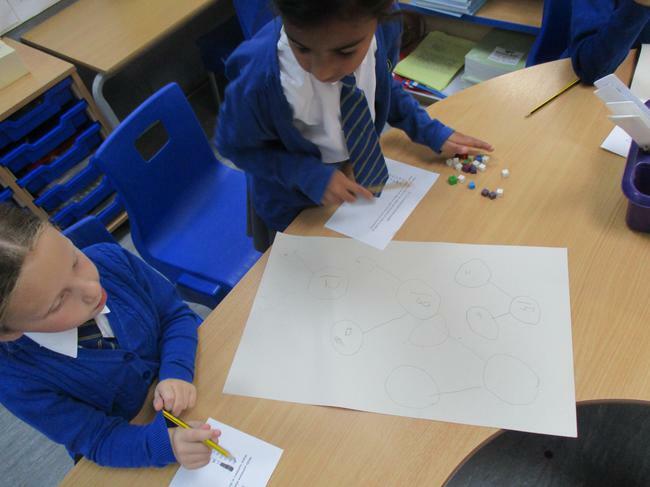 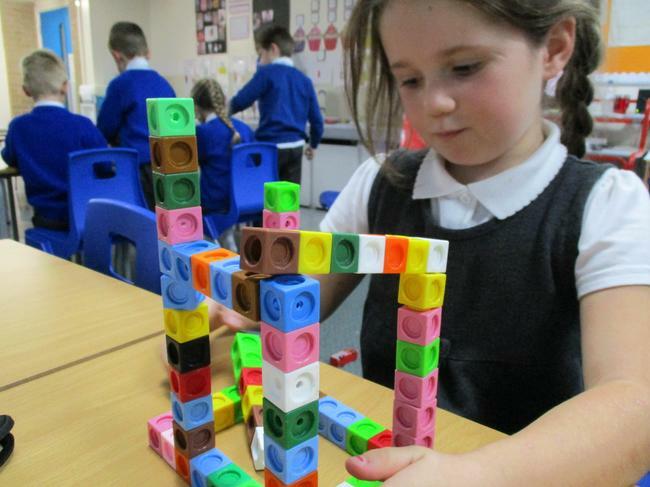 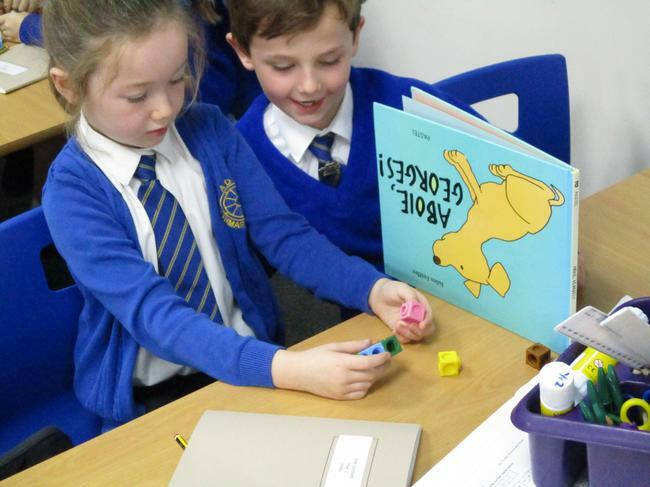 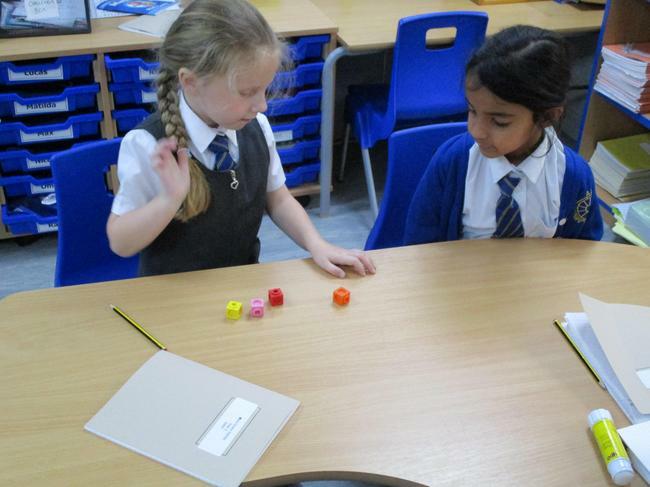 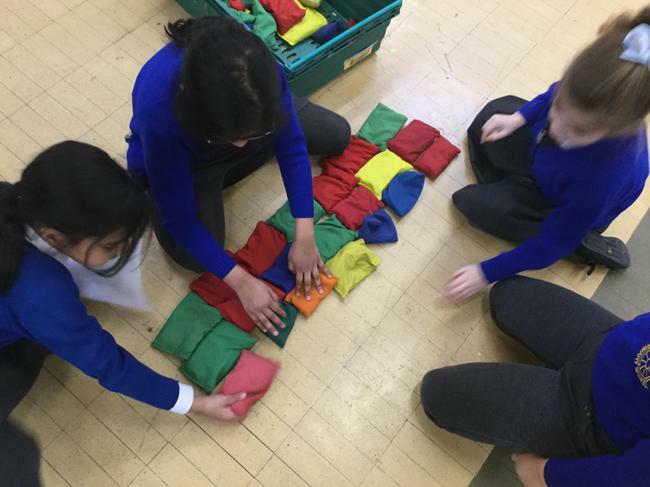 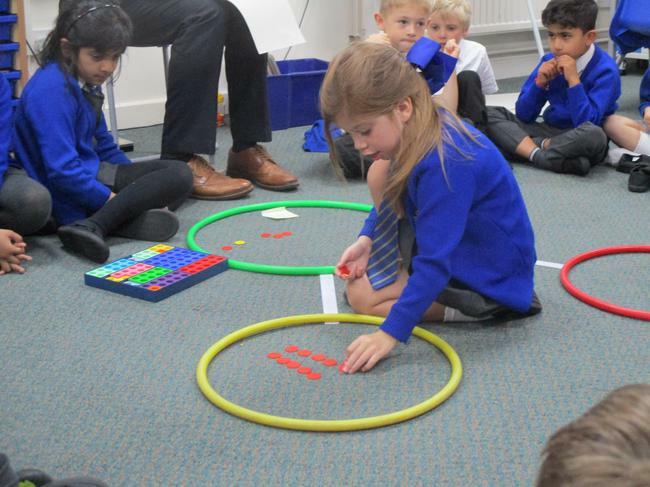 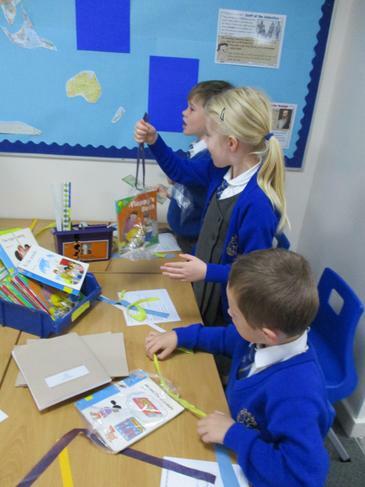 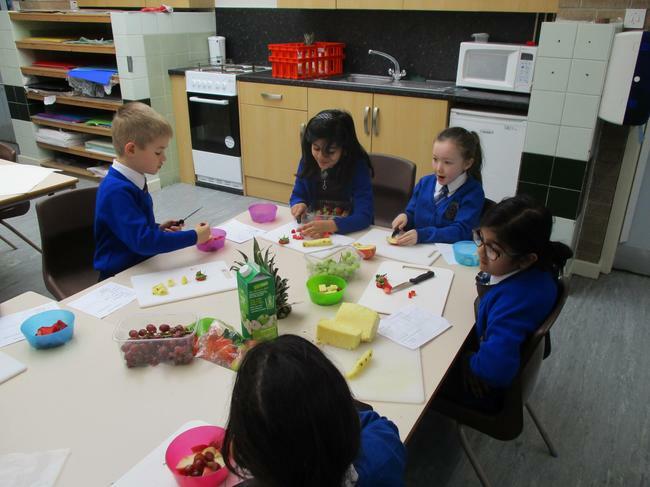 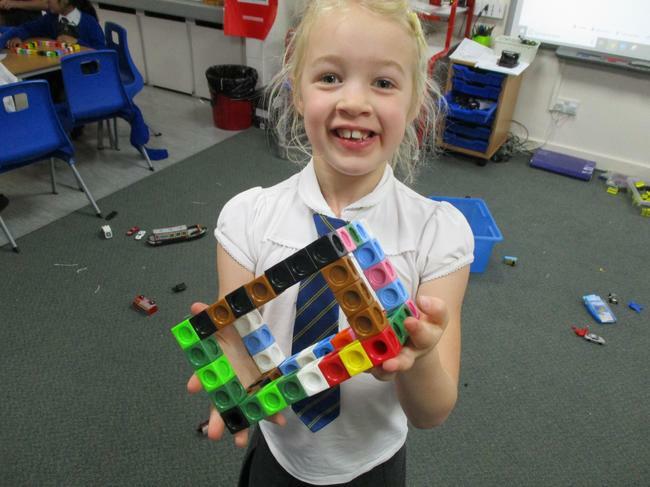 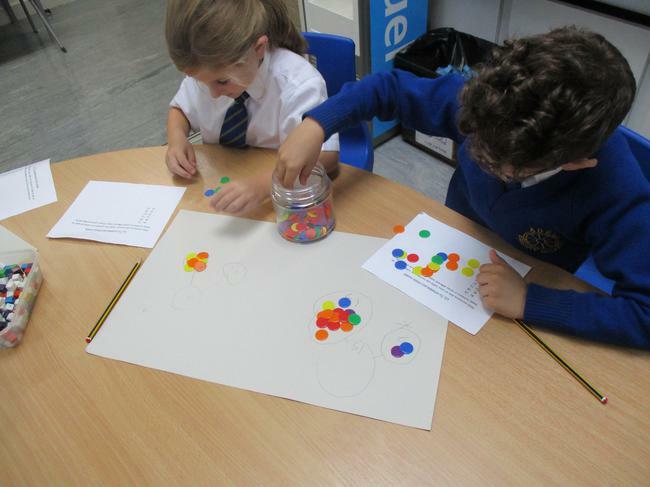 Year 2 used multilink cubes to practise giving each other instructions. 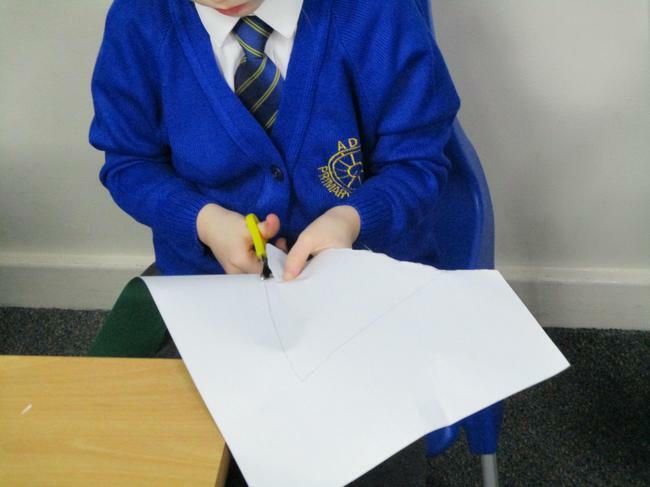 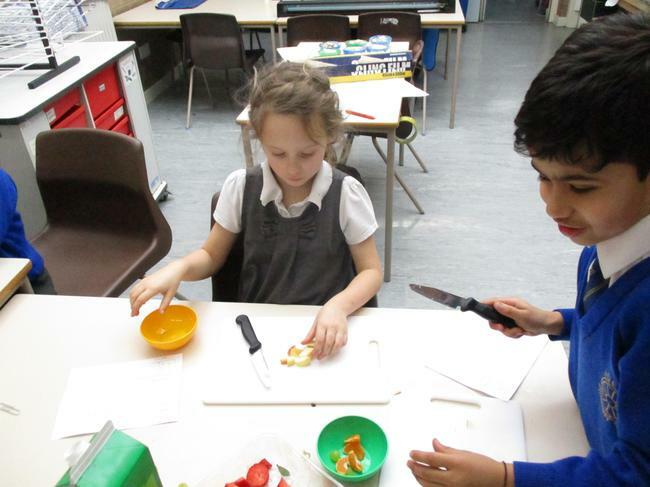 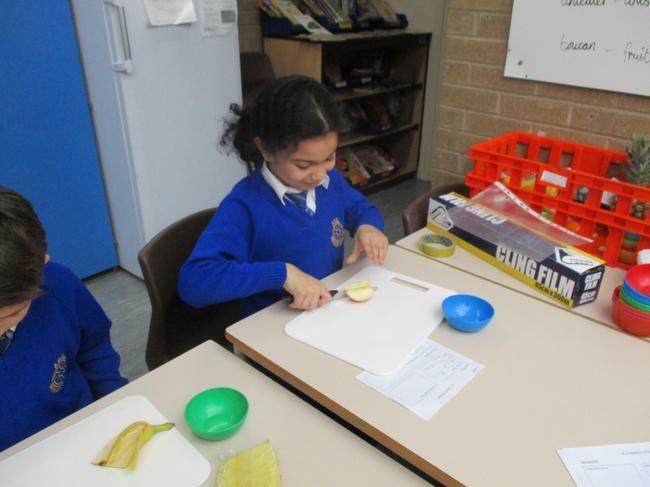 They had to design a shape and instruct their partner on how to make it. 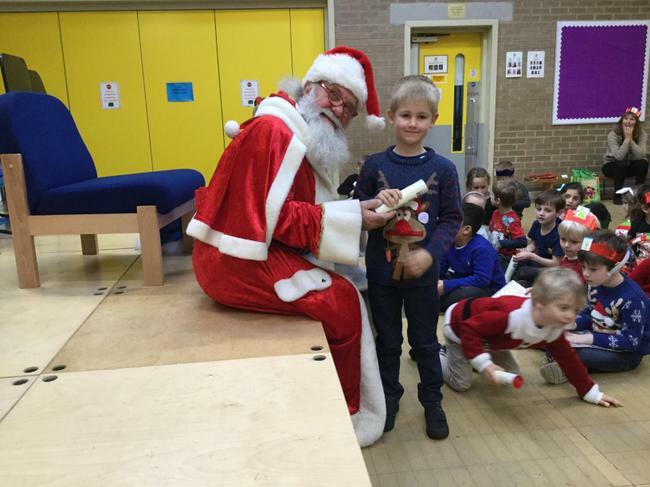 No peeking! 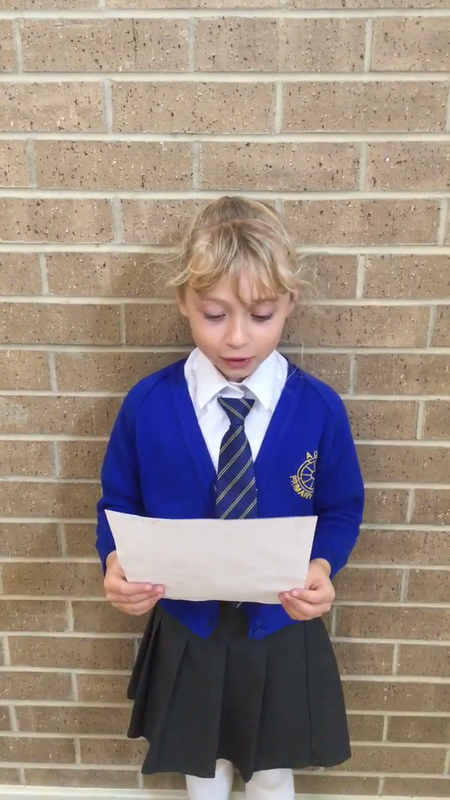 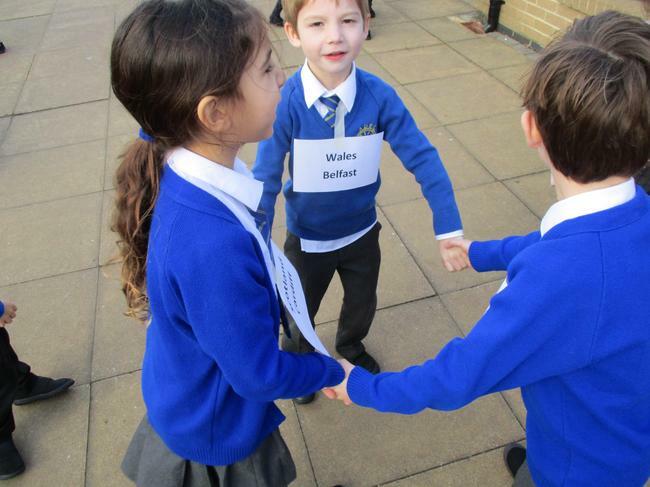 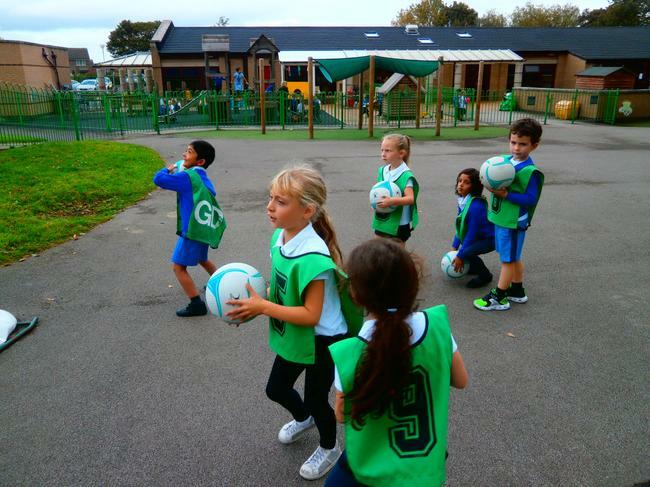 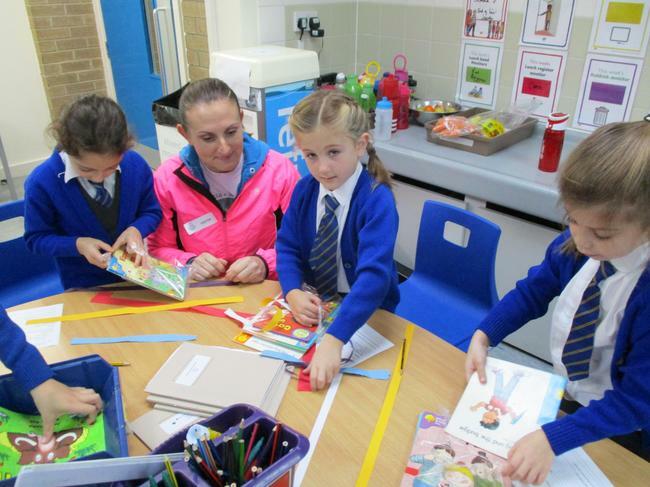 Year 1 and 2 completed the sponsored activity in aid of the NSPCC campaign: Speak Out. 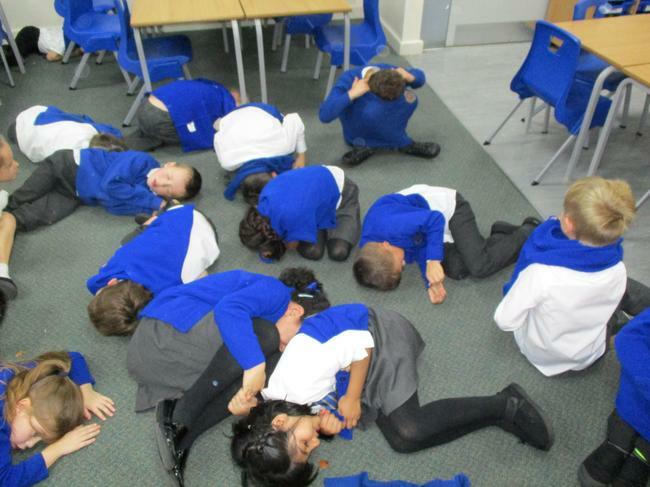 Stay Safe. 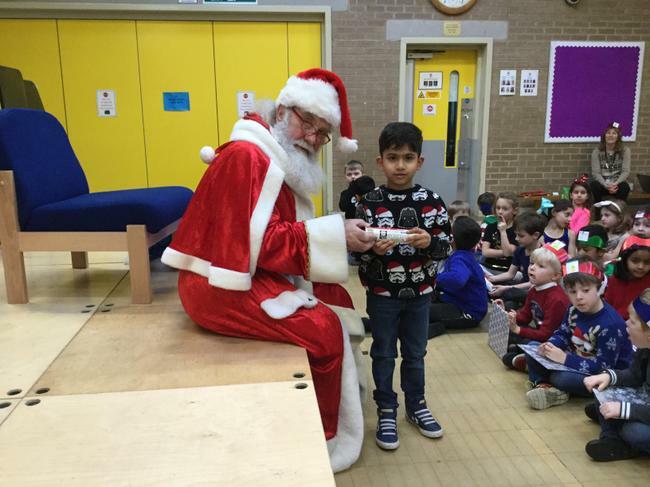 With Buddy. 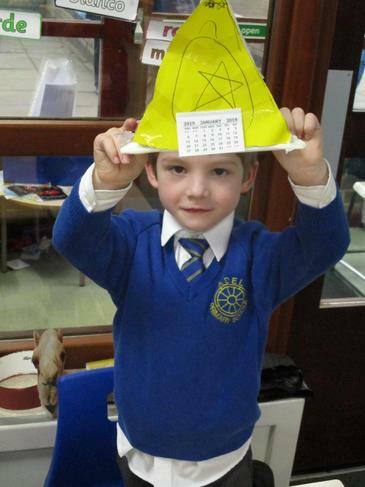 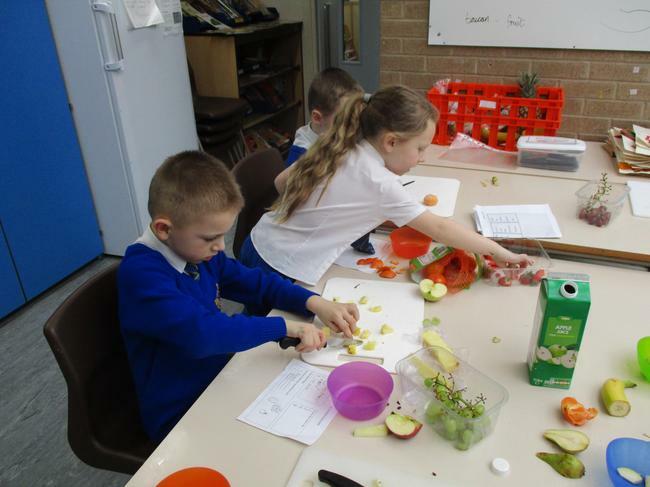 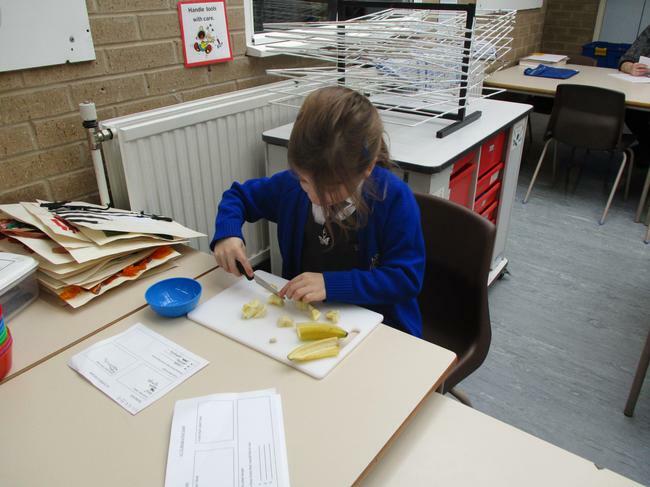 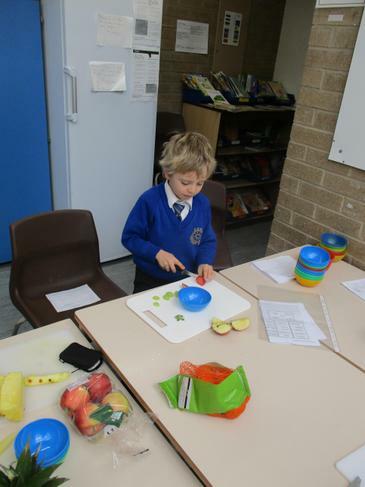 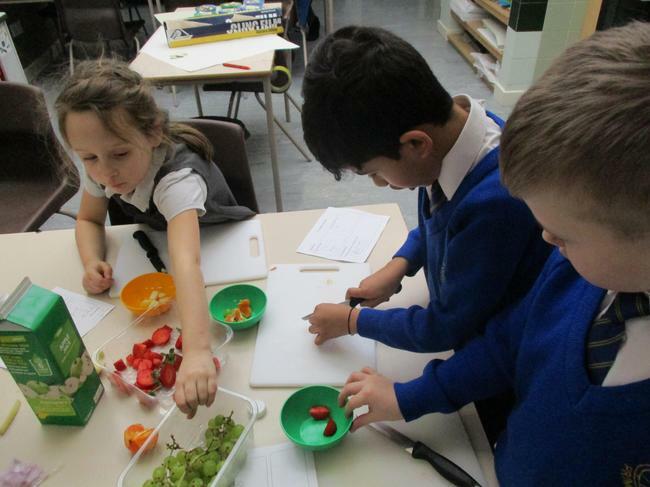 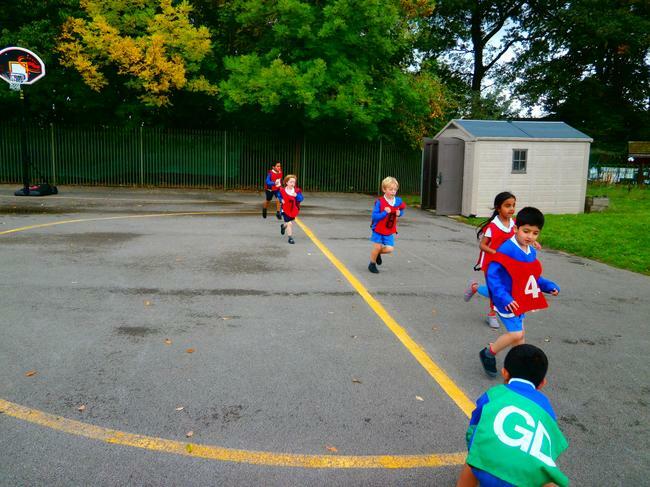 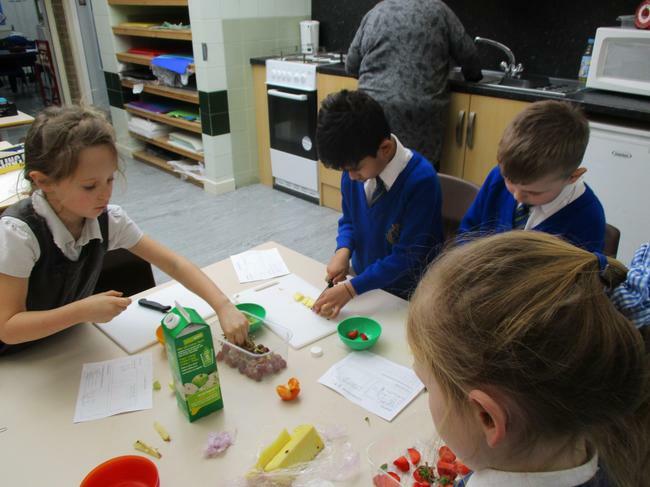 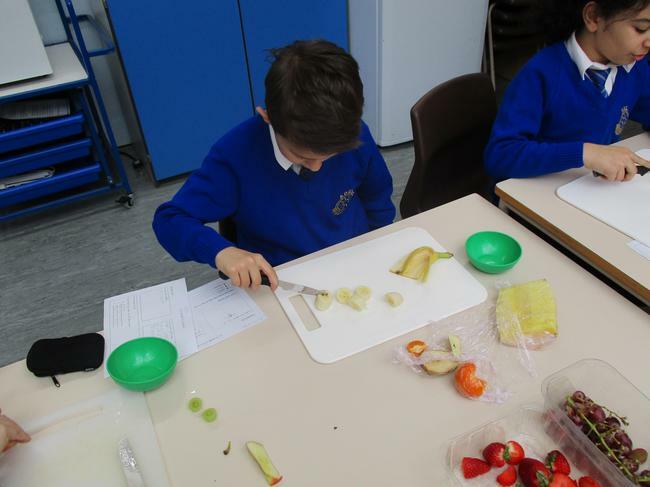 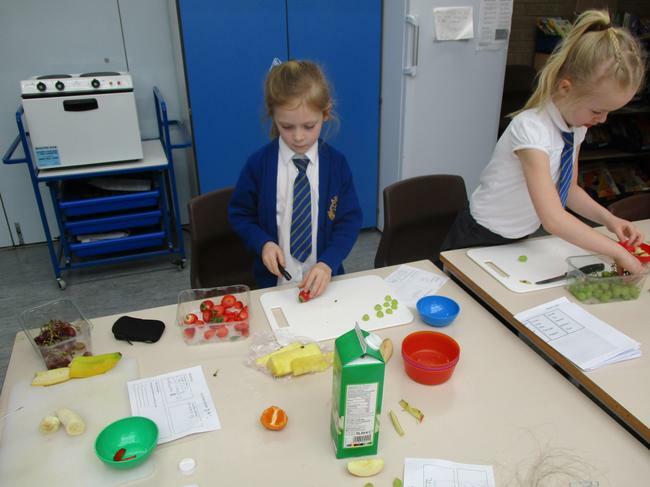 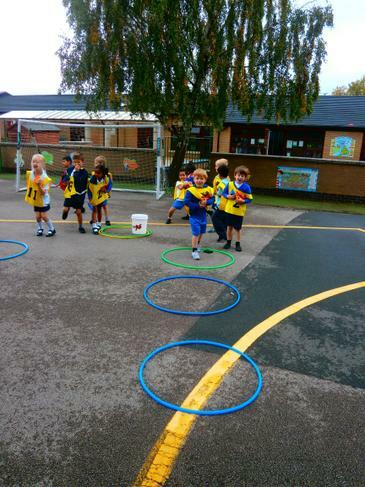 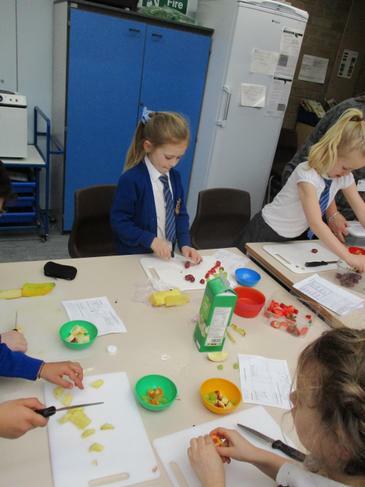 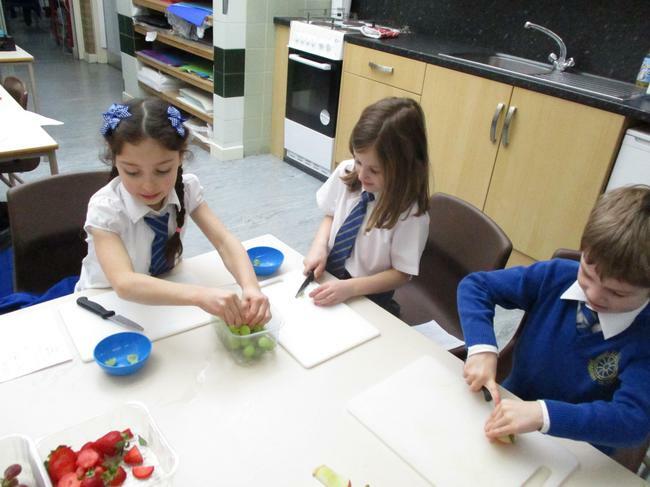 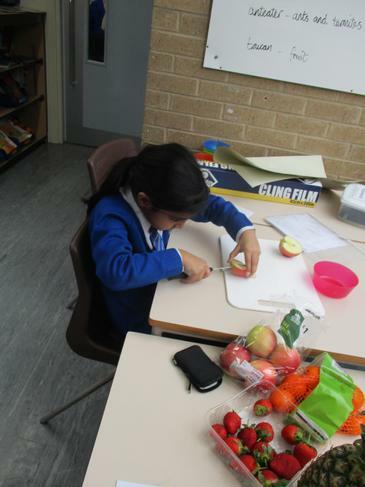 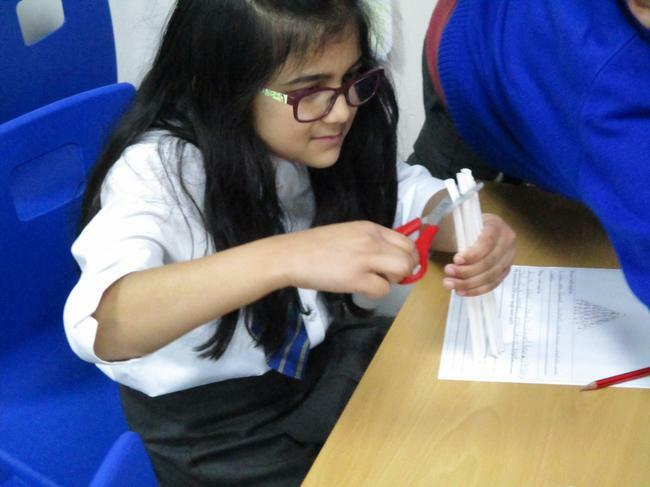 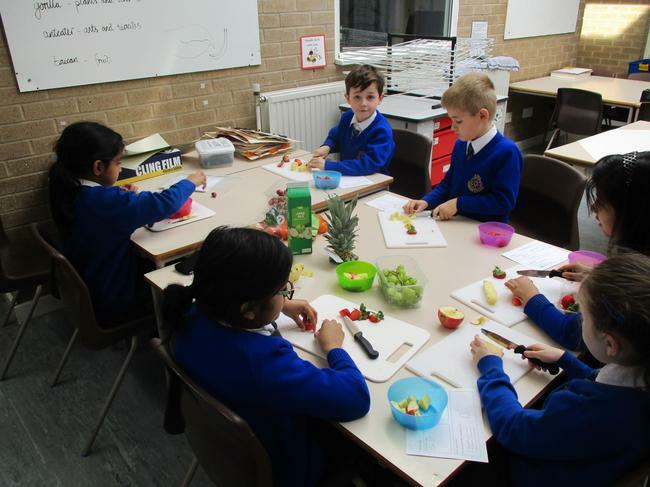 Our topic this half term is: Explorers! 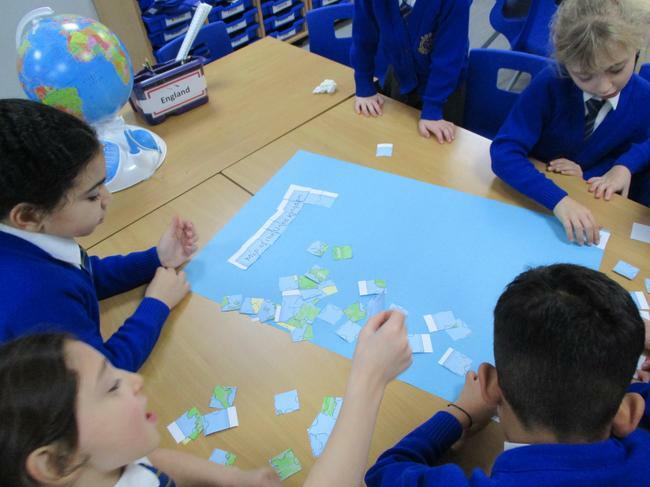 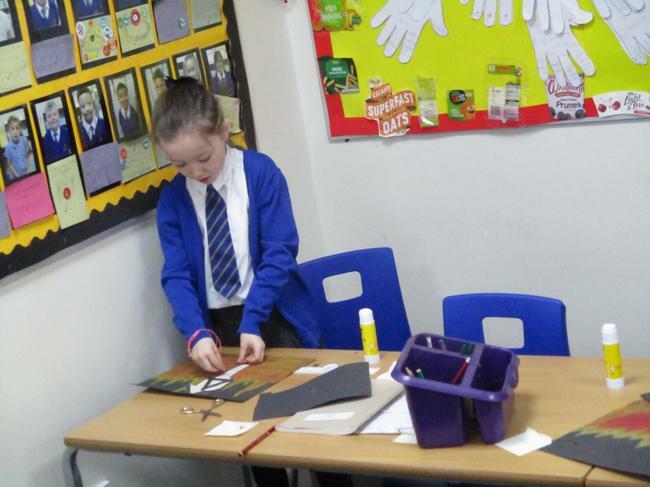 Sorting out significant people in history. 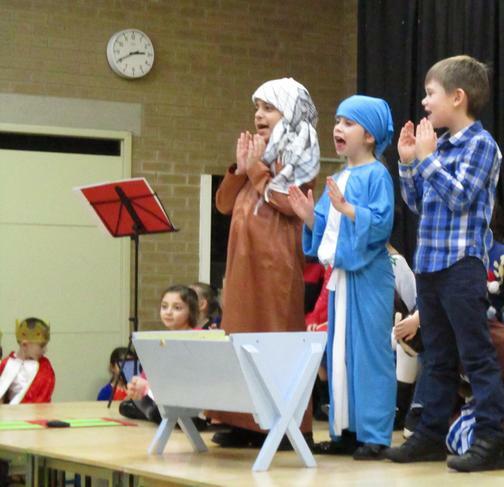 Who do you think is the most important? 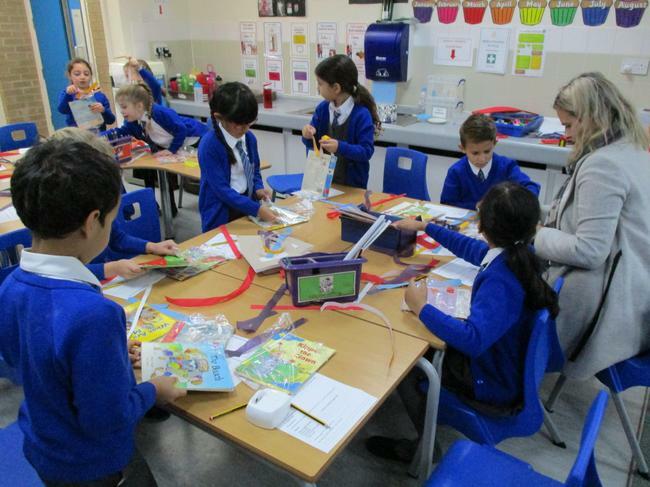 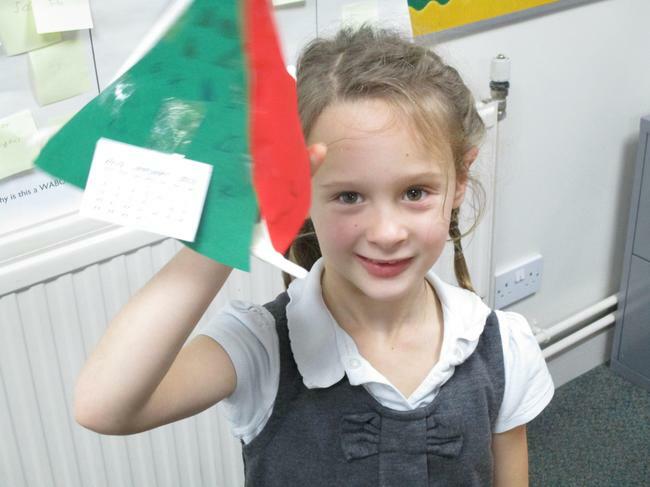 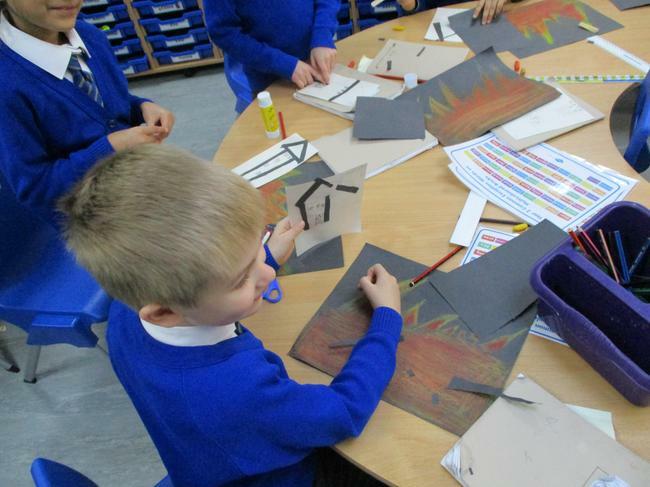 Year 2 have been revising their Spanish colours this week. 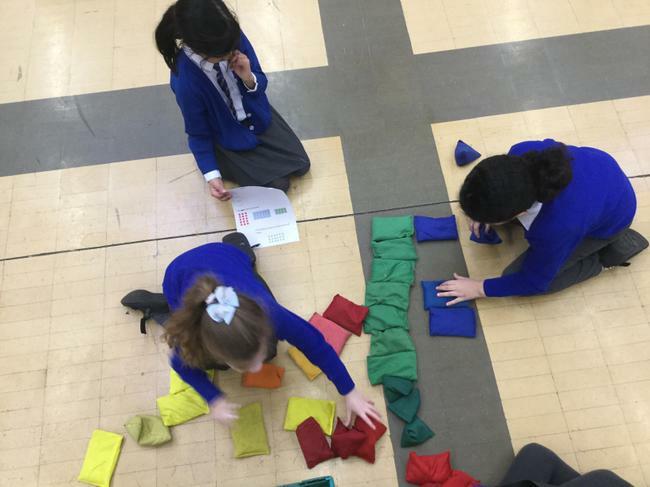 Can you sing a song to help you learn Spanish colours? 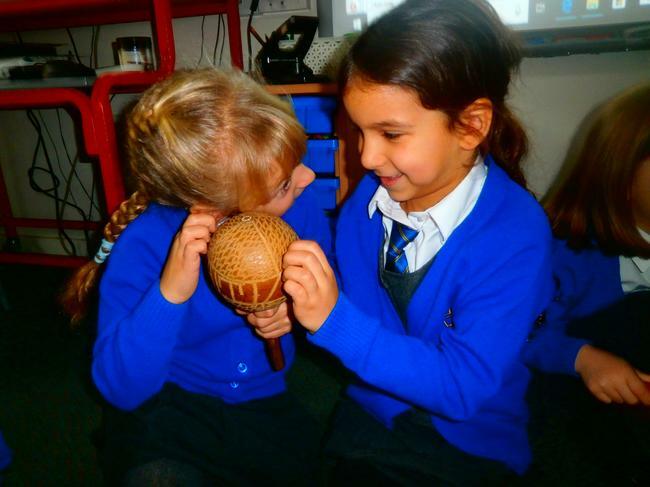 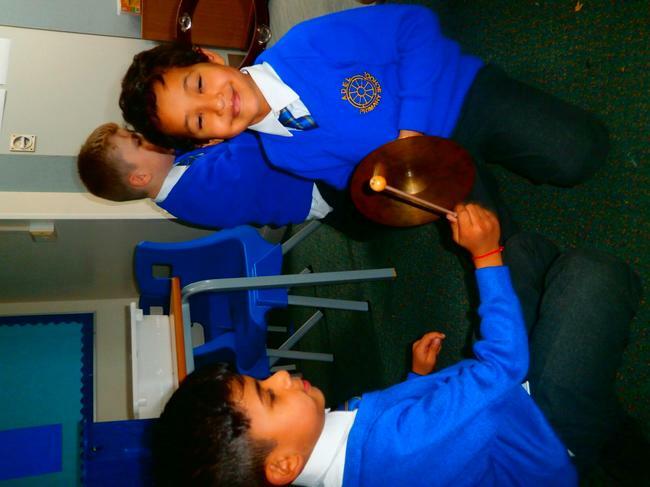 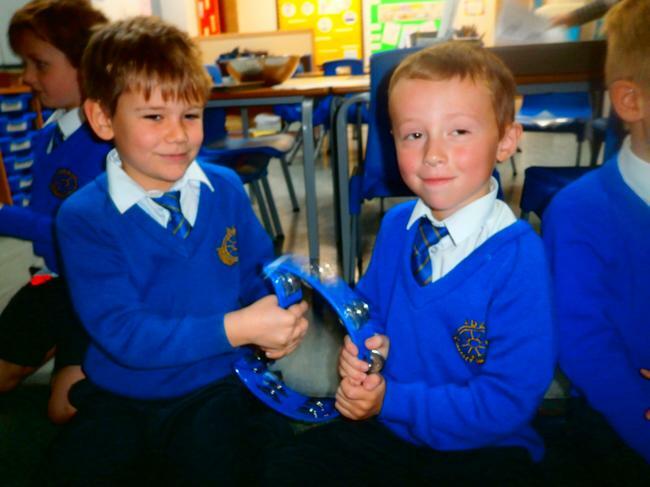 Year 2 have learnt songs and had a conversation in Spanish focusing on greetings. 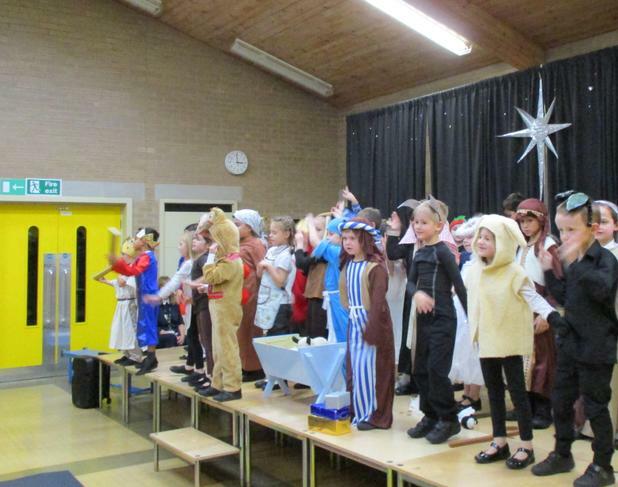 They were fantastic!